This morning’s service of Morning Prayer was the last time Beth Aiken, our Director of Music and church organist, would play at St Bride’s before she moves on to a new challenge and a new church in Belfast. 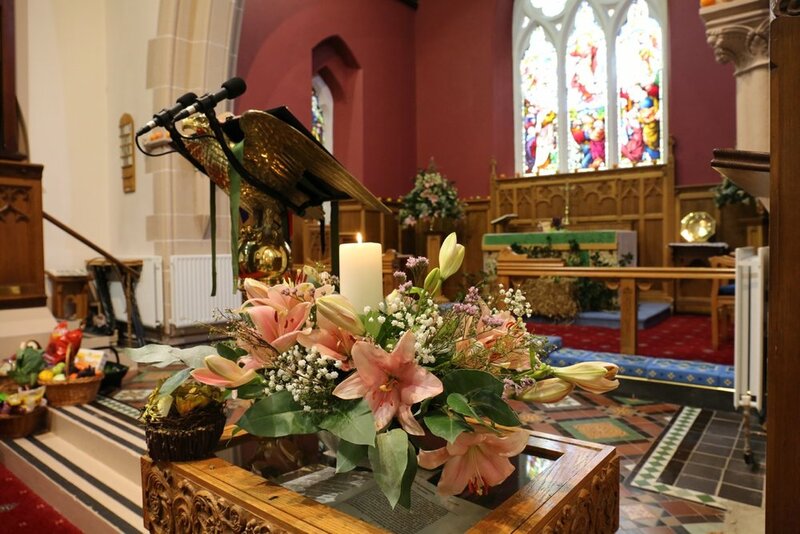 Beth takes up a new post in St Mark’s in Dundela in the east of the city, beginning next Sunday. 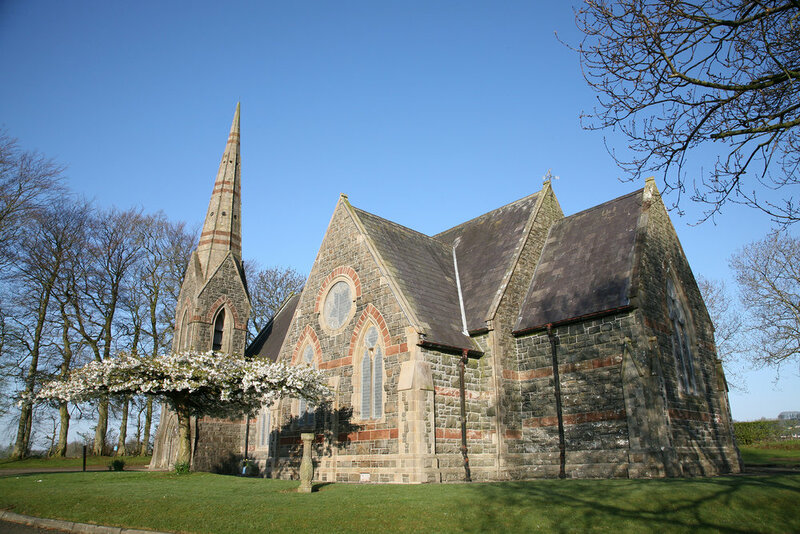 St Mark’s is well known on the Holywood Road and has a strong link to one of the world’s best known writers, CS Lewis, who attended St Mark’s in his early life. Beth has been at St Bride’s for five years and has taken music and choral singing to a new level in the church and this will be a stable foundation for a new organist to build on when appointed. Beth was encouraged to participate in the Organ Scholarship Scheme which she gratefully embraced and completed with distinction. 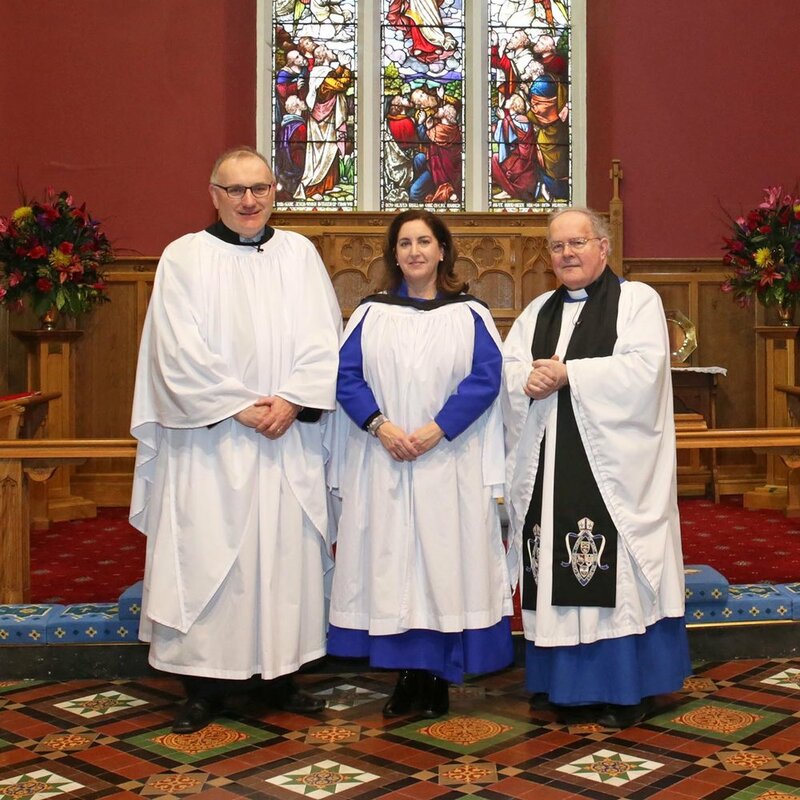 She was presented with her completion certificate at a service in St Anne’s Cathedral on 23rd September, 2018. Beth’s considerable contribution to the musical life of the church during her tenure in St Bride’s was gratefully acknowledged by Rev. Canon David Humphries who, on behalf of everyone, wished her well in her new position. However Beth and her family will still remain as parishioners so they will continue to participate in the life of the church. 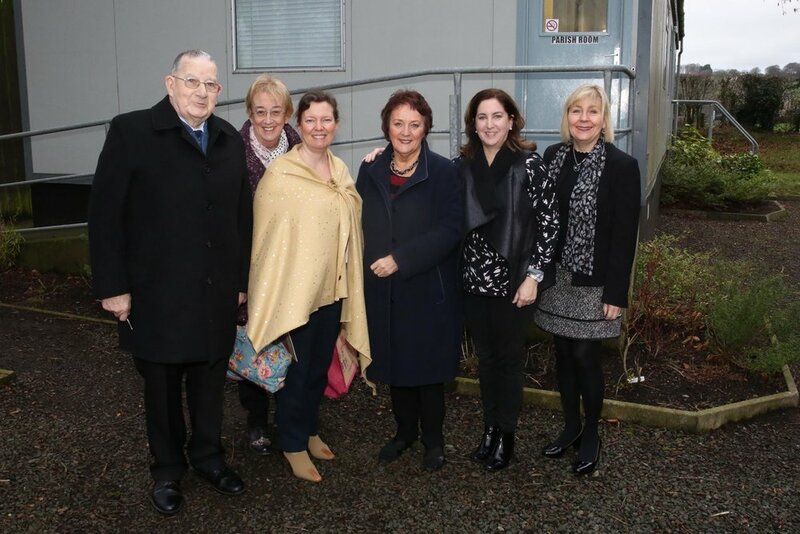 This morning also saw the departure of Pam Winter who will be moving to St John’s in Ballyclare in the New Year. Pam has been in St Bride’s for many years and has been an active member of the choir for much of her time in the church. Best wishes are extended to her and her family as she takes a new path in her life. The annual Carol singing at the airport raised the wonderful amount of £738 from very generous travellers. Well done to everyone who took part in support of Christian Aid. 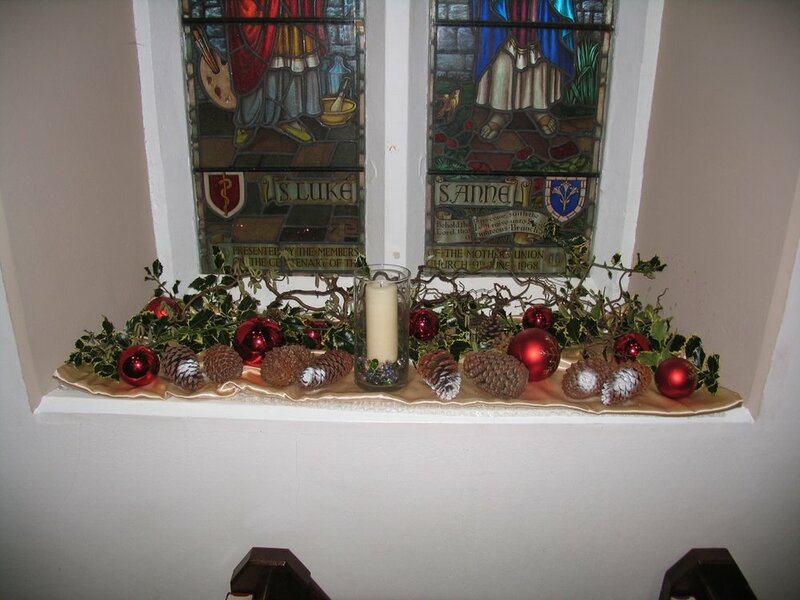 In the past week there has been a tremendous amount of work carried out in decorating the church with a Christmas theme. 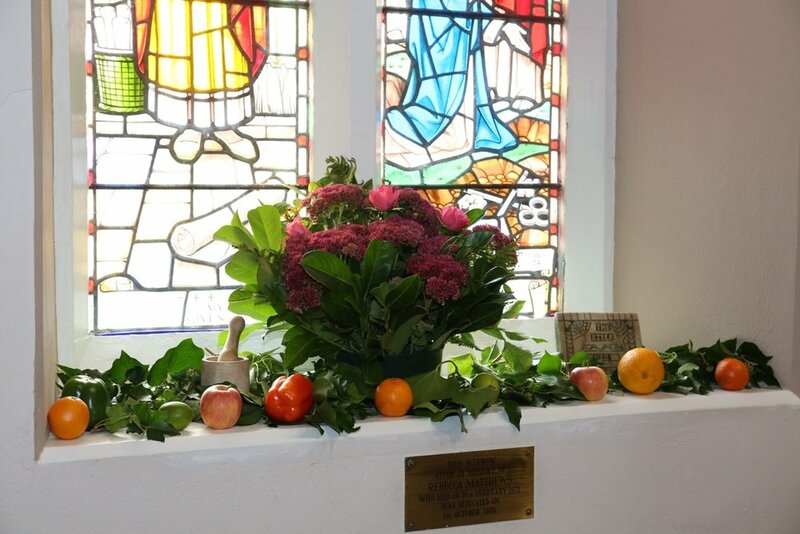 Irene Paget and Iris Maughan have been busy designing the beautiful floral and window displays that are so prominent around the church. 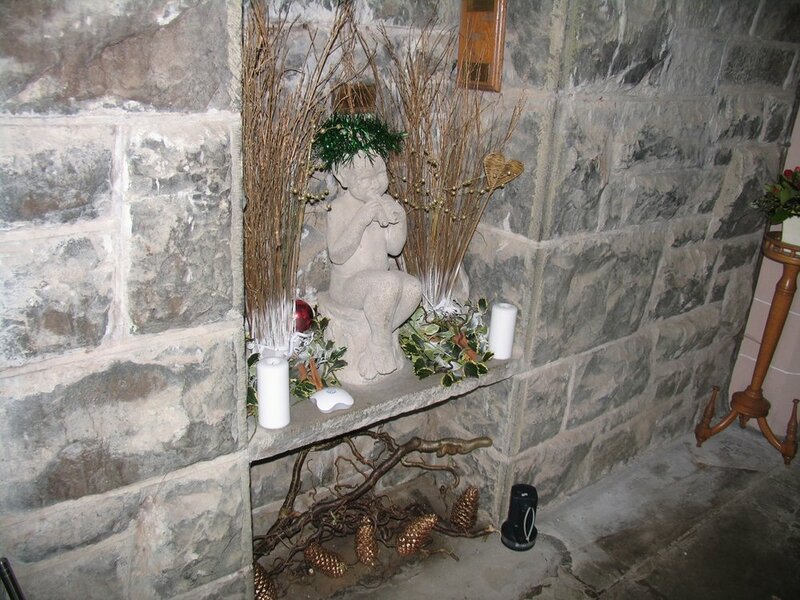 The church hall entrance area was also beautifully decorated by Betty Girvan and her daughter Louise to create a grotto for the arrival of Santa just after the switching on of the Christmas tree lights last Saturday evening. Betty got creative in a very different way as she made caricatures of each of St Bride’s choir members and they are on display on a sill below the stained glass window dedicated to St Matthew. The fun part is identifying each person! Sincere thanks must go to all of these ladies for their wonderful work and for what they do on an ongoing basis in decorating the church with lovely floral displays. They are greatly appreciated by everyone. The young people in the church Sunday School have been practising hard over the past weeks in preparation for their performance of the Nativity scene and today during the service of Holy Communion they told the story of the birth of baby Jesus. Everyone was dressed in a character costume and they all had important roles in putting the message of Christmas across, watched intently by parents, grandparents and the congregation. The young people also sang some Christmas songs which our organist had been teaching them on Sunday mornings. Thanks and well done must go to the them all for the hard work they have done and for making the Nativity scene so enjoyable to watch. Thanks to Eleanor, Ashley, Beth and everyone who helped get the young people ready for this very enjoyable day. Despite the dreadful weather conditions this evening a good number of people braved the elements to come to see the lights of the Christmas tree switched on. Before the formal ceremony everyone sang Carols accompanied by Ballyclare Victoria Flute Band. 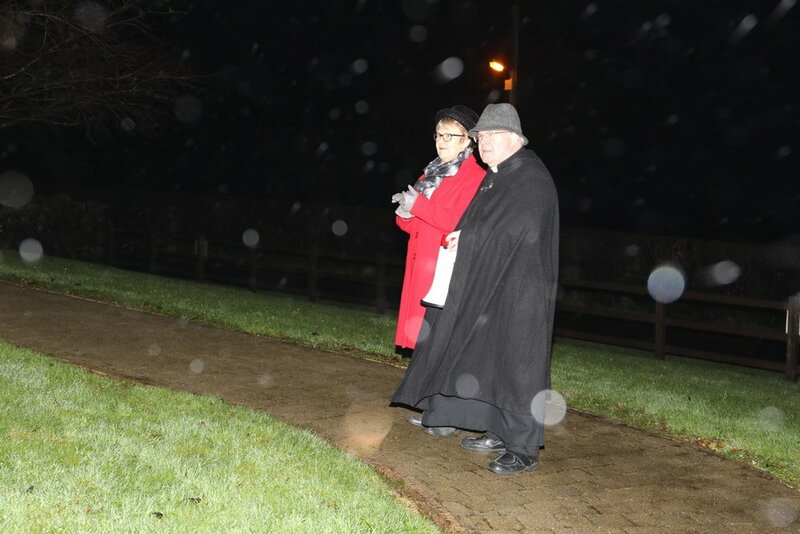 Alderman Vera McWilliam represented the Mayor of Antrim and Newtownabbey Borough and when everyone had assembled outside she pressed the button to illuminate the tree, much to the delight of everyone there. 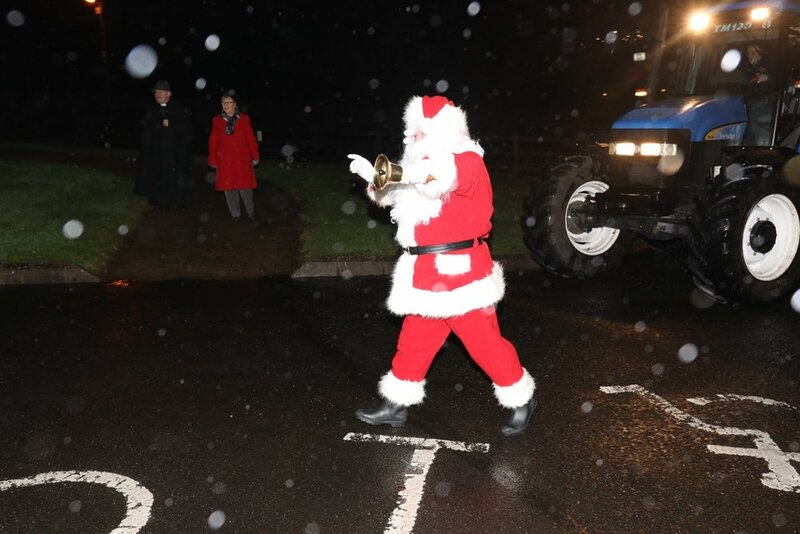 A short time later there was a visit by Santa Claus himself who stepped down from a big blue tractor which was a wonderful surprise for the children. Santa quickly made his way inside out of the bad weather and gave all the children a present from his sack. 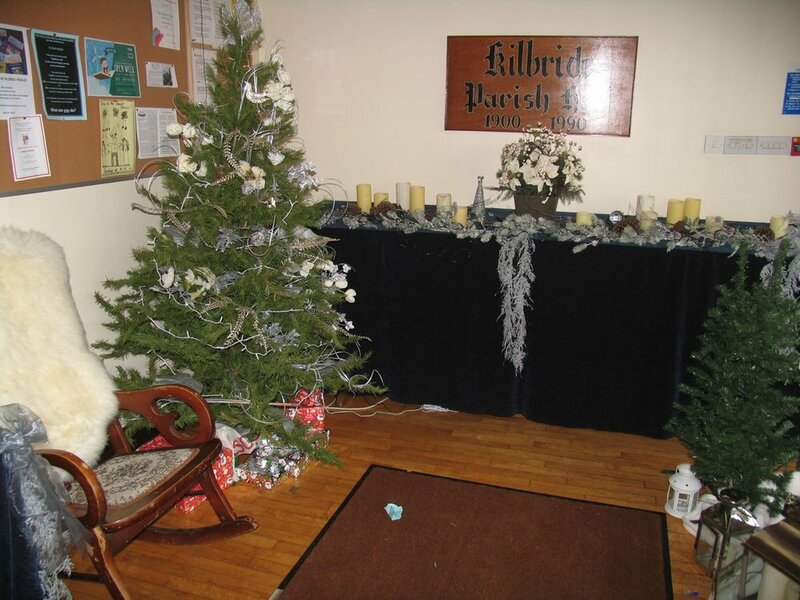 Adults and children then enjoyed refreshments inside in the warmth of the hall. The draw was also made for the wonderful Christmas hampers and seven lucky winners will enjoy their contents over Christmas. The annual Masonic Carol service was held in St Bride’s this evening and as always the church was filled to capacity as everyone enjoyed singing their favourite Carols. Guest choir for the service was the senior choir from Kilbride Central Primary School and lots of mums and dads were in attendance, listening to the choir performing Christmas songs. The service was conducted by our own rector and the nine lessons were read by masons from various local preceptories. The Church Ladies’ Group has just put the finishing touches to seven beautiful Christmas hampers, each one packed with delicious treats for the festive season. Tickets for the ballot are available for £1 each from any of the Ladies’ Group. The draw will take place on Saturday, 15th December following the switching on of the Christmas tree lights. A group of twelve parishioners and friends watched Ulster play Cardiff Blues yesterday afternoon at the Kingspan stadium in Belfast. Although not the most exciting match to watch Ulster came out on top with a 16 - 12 win. A good afternoon was had by all watching from the comfort of the family stand. 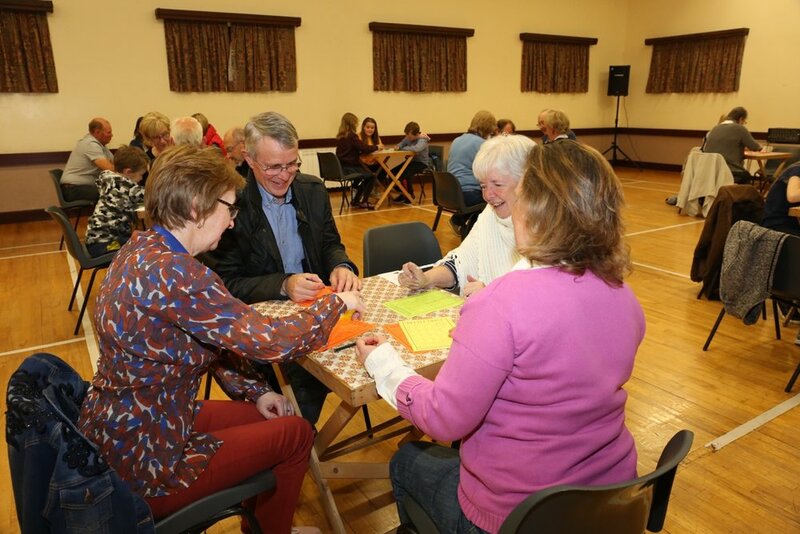 Despite the very cold temperatures outside, the church hall was packed for an evening of traditional music, poems and yarns provided by a number of our own congregation and friends of the church. 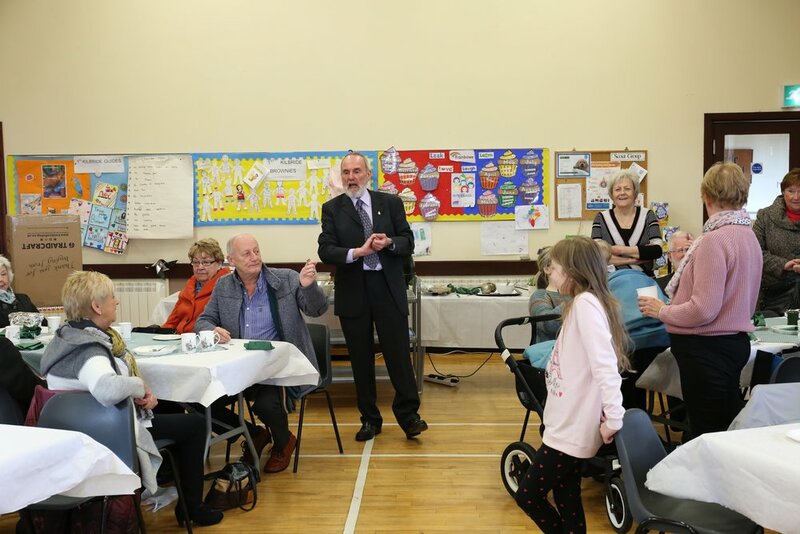 Taking part were John Walker who sang and played accordion, Isobel Crowe sang accompanied by her husband Wilfie, Jack McKinney told some entertaining stories, Barbara Rea read some poetry while David Rea told a few entertaining stories accompanied by his 'dog'! No church evening would be complete without our own Tom Andrew telling some tall tales and reciting some epic poetry about local folklore. He didn't disappoint! Thanks must go to George and David Rea for getting all the artists together for what was a wonderful evening. Thanks also to the Ladies' Group for providing the usual tasty supper. The ladies of St Bride’s, with a few friends, began the Christmas festivities early as they enjoyed their annual Christmas outing to the Templeton Hotel in Templepatrick. Everyone enjoyed a delicious meal and the lively conversation around the tables in what was a thoroughly relaxing evening before the hustle and bustle of Christmas preparations get started in the next few weeks. Today marked the 100th anniversary of the signing of the Armistice at 11.00am on 11th November 1918, signifying the end of the Great War. 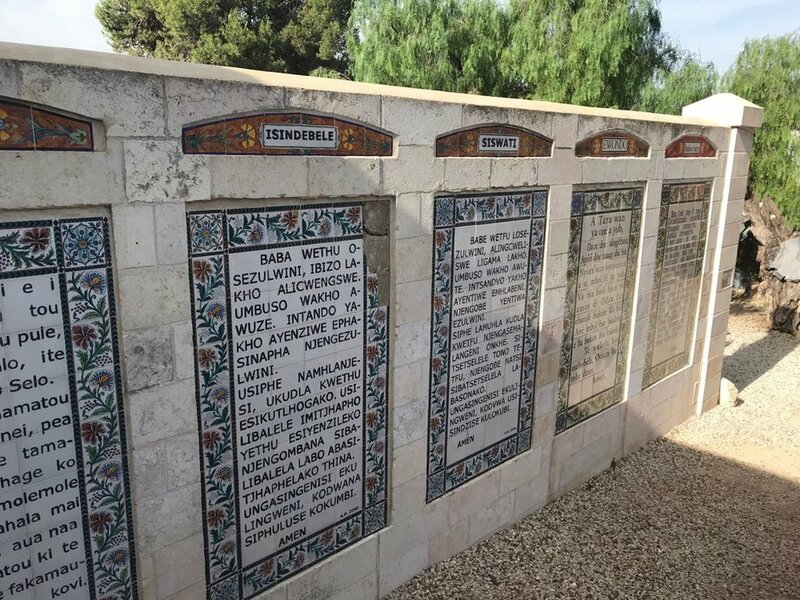 Hundreds of thousands of British military personnel had died in the conflict with countless others left maimed and with physical scars, both physical and mental. St Bride’s commemorated this significant anniversary by remembering in particular the men with connections to the church who answered their country’s call in two world wars but who ultimately would never return. 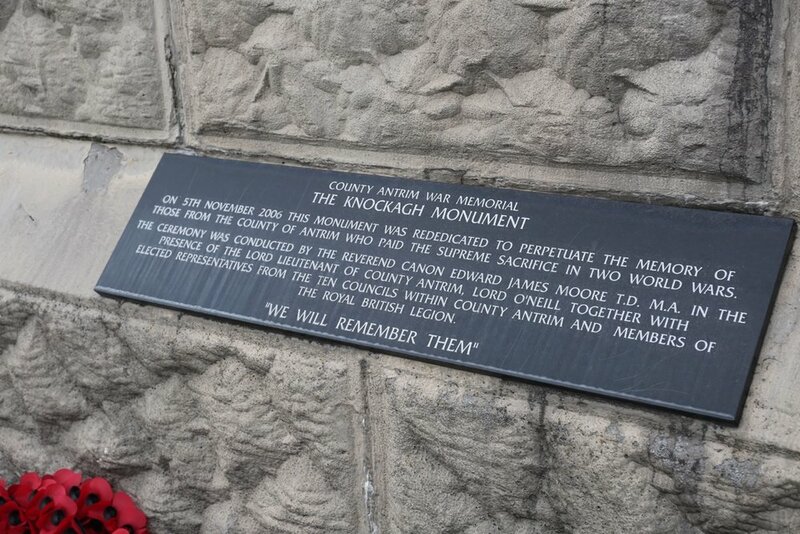 Men from the church served with British and Irish regiments as well as Canadian and Australian forces and twenty four men are remembered on the church memorial. The service included the recitation of poems written by three well known war poets, namely Wilfred Owen, Laurence Binyan and John McCrae. 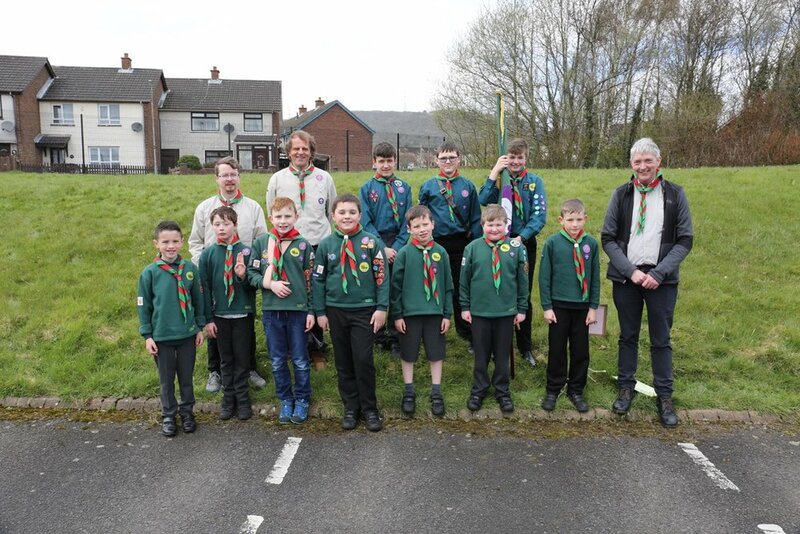 Former military personnel as well as young people from the Guides and Scouts formed the colour party. Cub Scouts from 1st Kilbride Scout Group laid a wreath at the war memorial during the main Ballyclare and District remembrance service. The latest edition of The Herald parish magazine is now available to view on this website. Follow the link on the Useful Information and Links page. A special service of Evening Prayer was held in St Bride’s this afternoon during which two new Parish Readers were commissioned by the Warden of Readers for the Diocese of Connor, Rev. Kevin Graham. 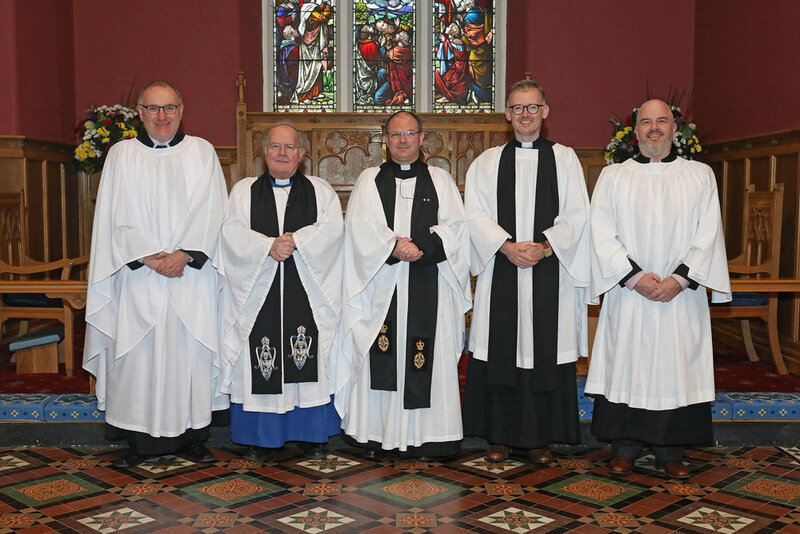 David Holmes was appointed as Parish Reader for St Bride’s and Michael Ogilby for St John’s in the United Parish of Ballynure and Ballyeaston (Ballyclare). David and Michael received their licences from Rev. Graham, authorised by the Bishop of Connor, Rt Rev. Alan Abernethy. 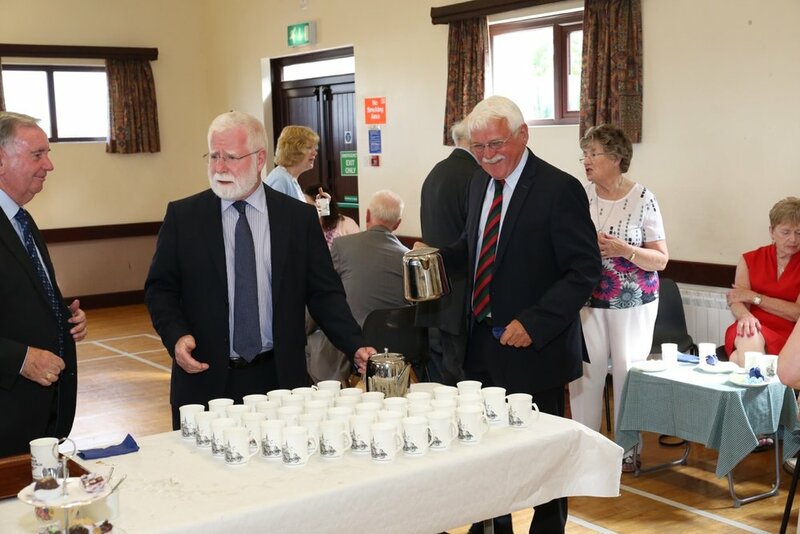 Parishioners from the three churches enjoyed refreshments in the parish hall immediately after the service. Members of the Ballyclare branch of the Royal British Legion were present at this morning’s service as they presented a new standard to be dedicated in advance of Remembrance Sunday, which this year will mark 100 years since the end of the First World War. The new standard was dedicated by Rev. Canon David Humphries and he is pictured above with the Royal British Legion colour party. 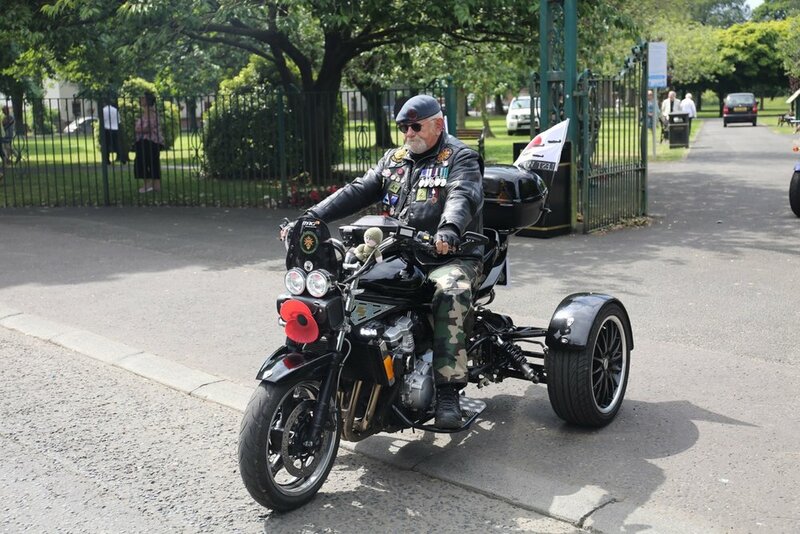 The Royal British Legion carries out tremendous work in the caring for those who have suffered as a result of service in the armed forces as well as their dependants. A lot of people have been very busy in the past few days decorating the inside of the church and tidying up the grounds ahead of this morning’s Harvest Thanksgiving service. All their efforts were rewarded as the church looked beautiful and was almost full for the service conducted by our own rector and with special guest preacher, Rev. 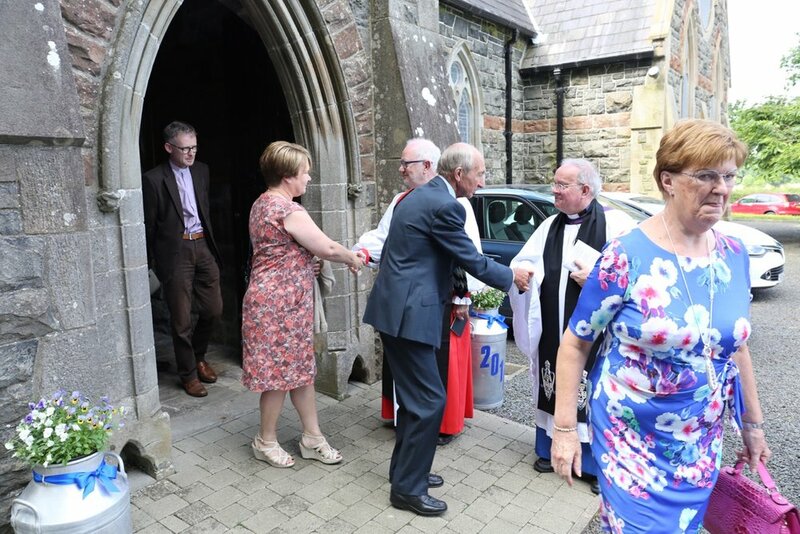 Canon David Brown, who is rector of Knocknagoney. 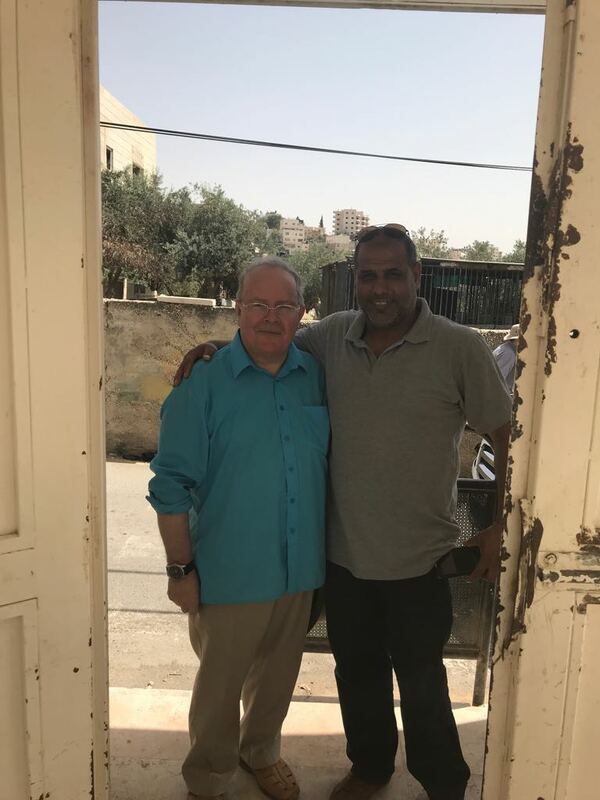 Both rectors have known each other for many years as they studied at theological college together and have been good friends ever since. The choir began the service with the introit, ‘Praise God for Harvest-time’ and later sang the anthem, ‘Great is Thy Faithfulness’. 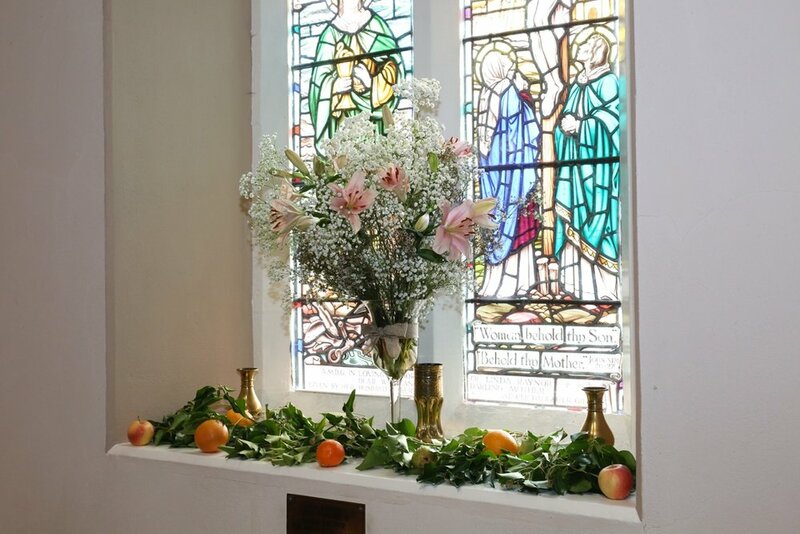 The produce donated and used for decorating the church will be sold with the proceeds going to the Jeel al Amal orphanage in Israel. 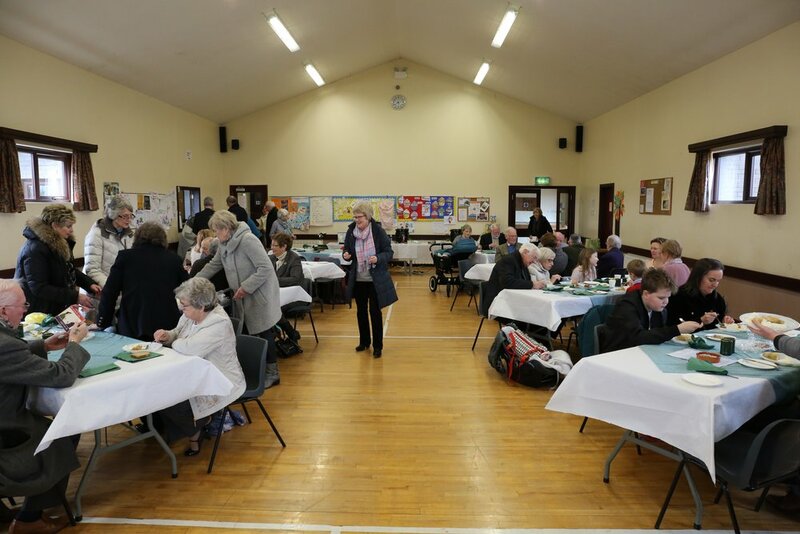 The six ladies of the group calling themselves ‘A Class Act’ certainly lived up to their name as they provided a magnificent evening of entertainment in the parish hall. 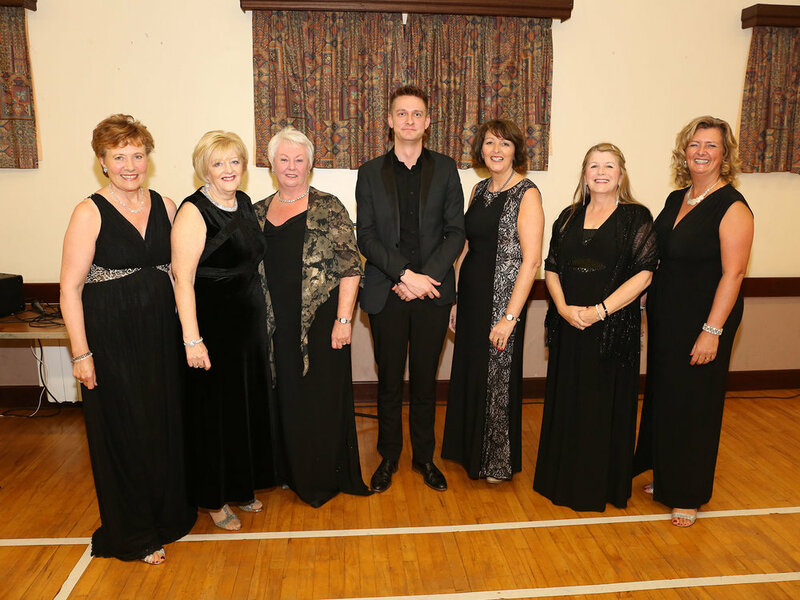 Gillian, Gaile, Helen, Judith, Diane and Valerie, accompanied by pianist Keith McAlister, performed a wide variety of well known songs from the shows and musicals as well as pop and sacred songs, all of which were well received by an enthusiastic audience. Solos sung by a number of the ladies complemented the group performance and added a beautiful musical variety to the show. However it wasn’t all about singing as Gillian interspersed numerous jokes between songs as well as some hilarious sketches where she was joined by other group members. 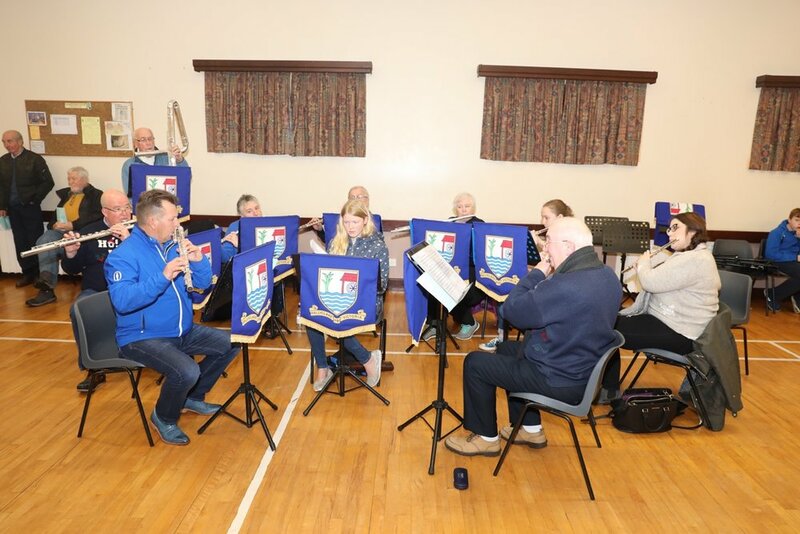 The group’s performance in Kilbride was arranged by Kathryn Hamill who also provided a delicious and unusual supper of crackers, cheeses, cured meats, pate, hummus and various dips during the interval. The evening was a resounding success, thoroughly enjoyed by all and sincere thanks must go to Kathryn for arranging it. Today was a special day for our Musical Director, Beth Aiken, as well as four other organ scholars who have successfully completed their studies and who were all presented with their certificates by the Dean of St Anne’s, The Very Rev. Stephen Forde, during an organ scholarship choral evensong in the cathedral. Beth has been tutored during the three year course by Dr Joe McKee, a familiar face in St Bride’s, and he was in attendance to see all of his scholars receive their certificates. Our Rector, Rev. Canon David Humphries, also took part in the presentation as the outgoing chairperson of the organ scholarship scheme and he congratulated the scholars on reaching what is the culmination of three years intense study and practise. David has handed over the role of chairperson after six years to Rev. Canon John Auchmuty, Rector of St Columba’s at Knock in Belfast. Beth also took part in an organ recital prior to the main service playing Chorale Prelude on Eventide by Hubert Parry and Elegy by Herbert Sumsion. A number of parishioners from St Bride’s were there to support her and all enjoyed the service and refreshments at the end. The church was looking particularly beautiful today in the autumn sunshine for the wedding of Lynsey McLeod and Thomas Johnston. A slightly unusual form of conveyance to the church for Thomas in the shape of a New Holland tractor! Lynsey’s was also something not seen too often at St Bride’s as she came in her uncle’s 1935 vintage Rolls Royce. 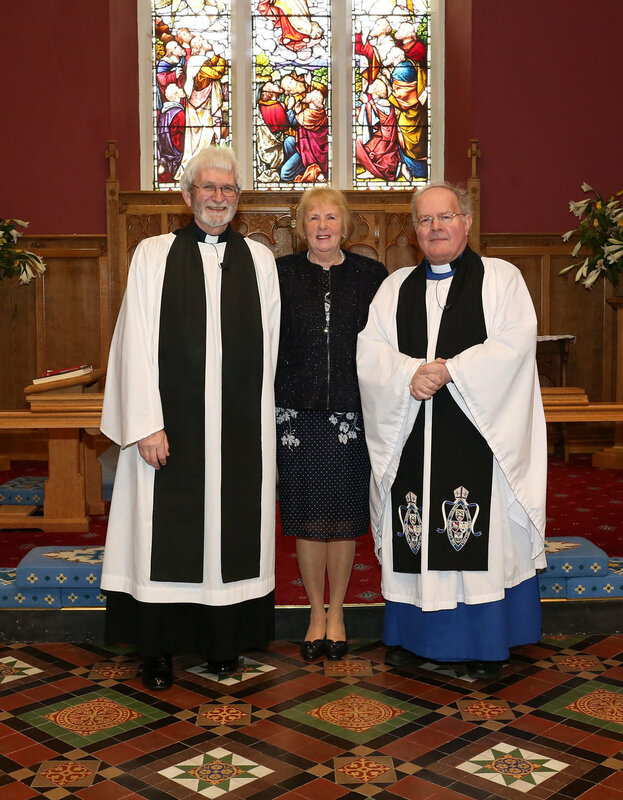 Canon David Humphries officiated at the ceremony and was the first to congratulate them as Mr & Mrs Johnston. Congratulations to them both from everyone in St Bride’s as they begin their married life together. Storm Ali made its presence felt this morning at the Rectory as some large limbs were broken off some trees. The drive was blocked for a time until a chain saw and a few willing volunteers did a clear up. Firewood for the cold months ahead! A lot of debris on the car park at the church hall as well. This evening’s Beetle Drive was thoroughly enjoyed by all who attended, both young and old. 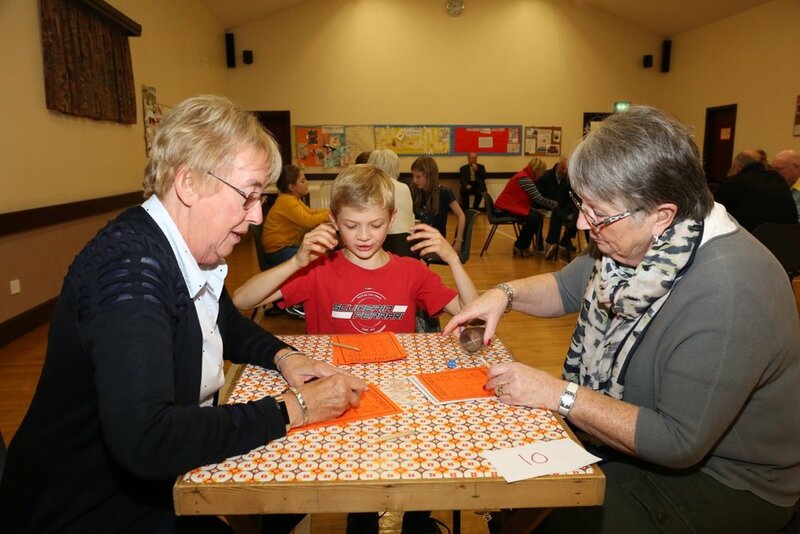 There was friendly banter around the tables and the rattling of dice in shakers was intense to say the least as everyone tried to throw the sometimes elusive ‘6’ to get started. Concentration was the order of the day as the shaker was passed around the table at speed in an effort to complete the ‘beetle’ first. Another good evening’s fun with some great prizes on offer for the winners. The refreshments at the interval were enjoyed too and thanks to all who helped make this evening a success. 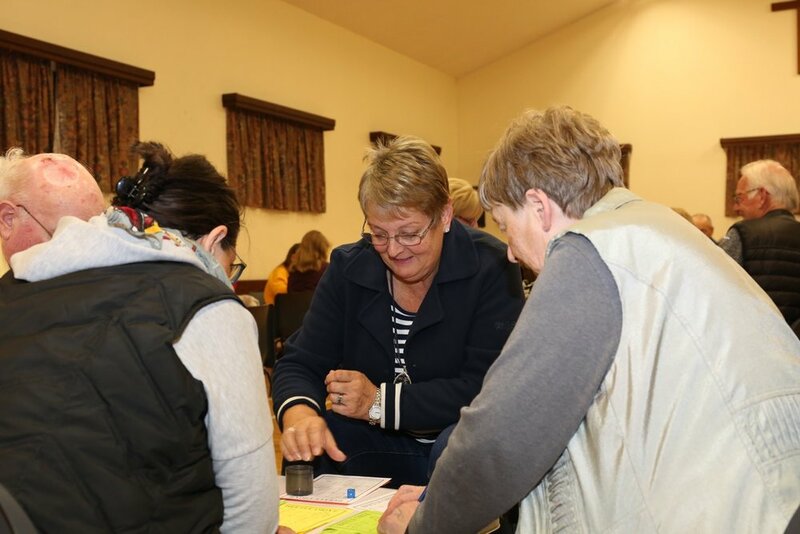 It was the first meeting of Kilbride Parish Ladies’ Group and the parish room was well filled as the ladies watched Katie Gardiner demonstrate how to decorate cakes and cup cakes. Katie runs a business in Ballyclare called Fairy Tree Cakes and supplies all manner of beautifully decorated cakes for all occasions. 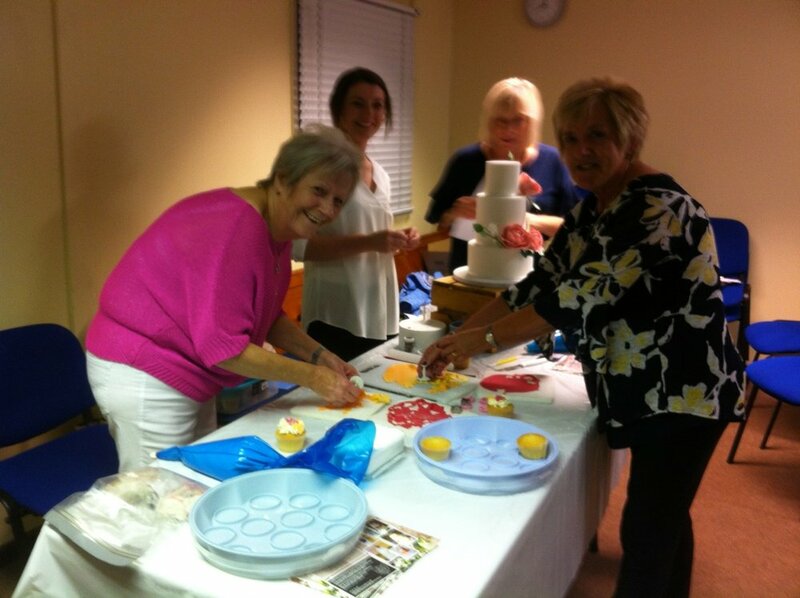 It was very much a hands-on event as Katie brought some cup cakes to allow the ladies to practise their skills - and they got to eat them at the end! A thoroughly enjoyable evening to start the new season and sincere thanks to Katie for coming. This morning's service of Morning Prayer included the baptism of a baby girl. 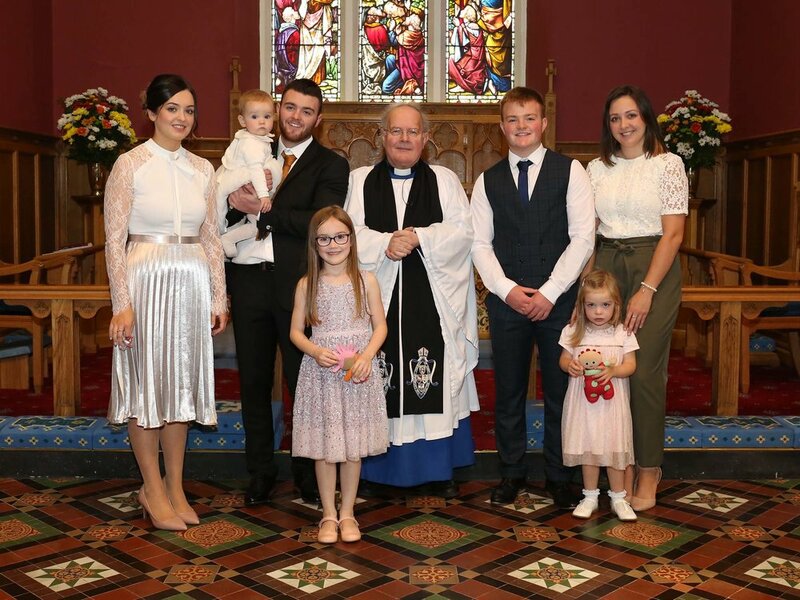 She was baptized Anna and is pictured below with her mum and dad, Carla and Jack, her older sister Evie, godparents Gillian and Oran, together with Rev. Canon David Humphries. Tonight's walk was the last week-day outing of the season. The late evening daylight has all but gone so unfortunately everyone will have to wait until the Spring when the evenings stretch again and the weather turns warmer. 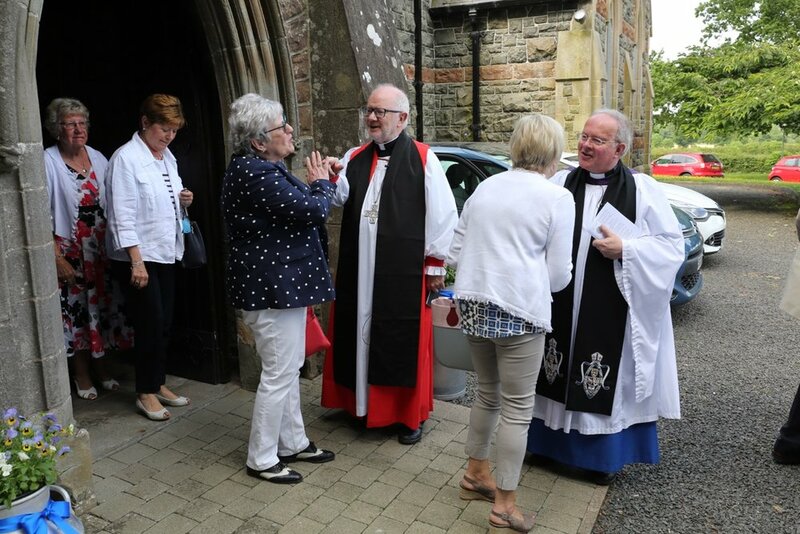 Our Rector's former parish church, St Molua's, is just across the road from the Stormont estate entrance so an invitation was extended to its parishioners to join us for the evening which happily they did, led by the new Rector of the church, Rev. Emma Rutherford. 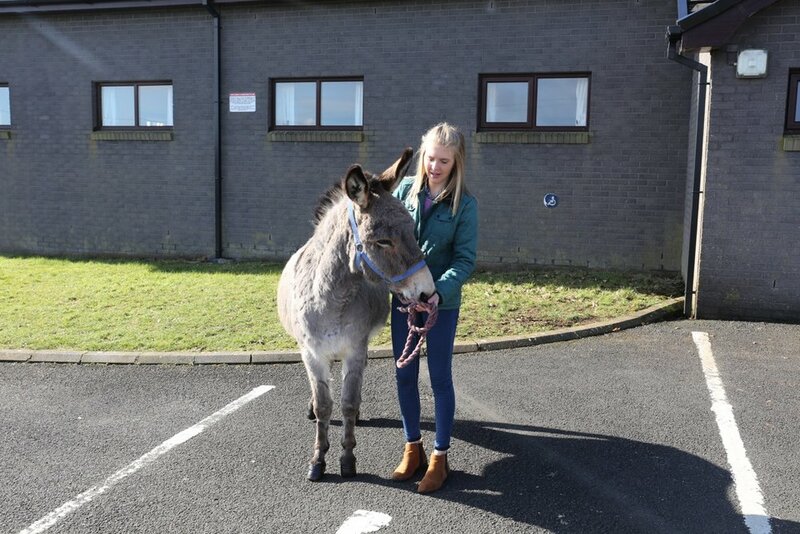 Emma has been in position for almost a year and clearly has become familiar with all the pathways around the estate as she navigated precisely through the wooded areas, eventually reaching the front of Parliament Buildings. 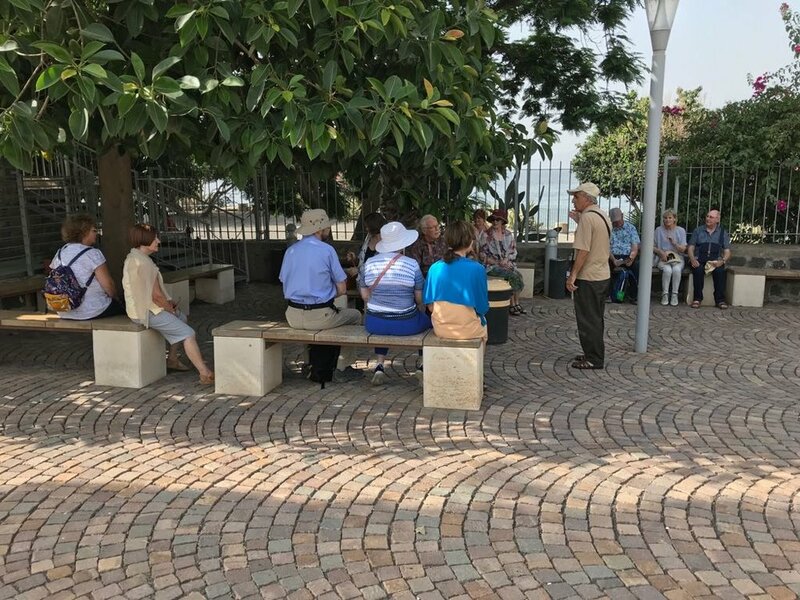 We were grateful for an impromptu talk on the estate's history by a Stormont walking guide who chanced upon us and volunteered his services. For many from St Bride's this was the first time to explore the expansive and beautiful grounds that make up the estate either side of the Prince of Wales Avenue that leads to the impressive parliament building just beyond the statue of Lord Carson. This evening five different churches were represented and with a record turnout of thirty two people, oh and a dog! 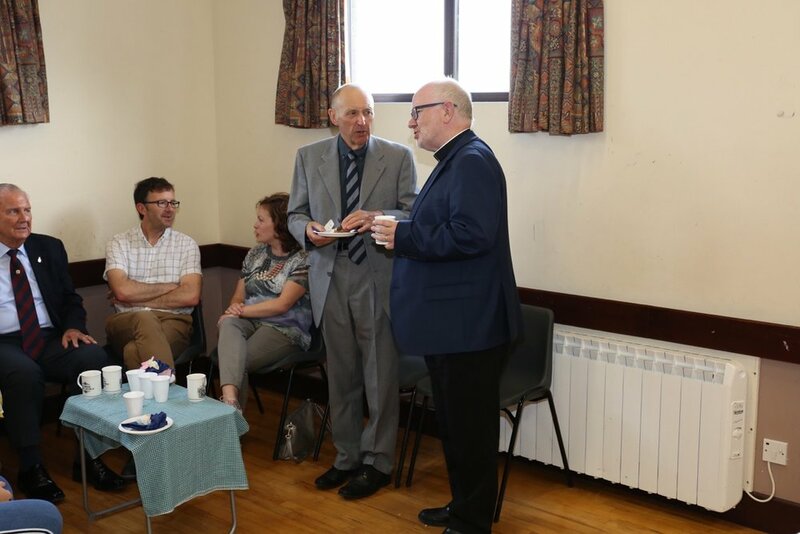 The customary cup of tea was enjoyed at the end in St Molua's church hall, at the kind invitation of our new friends from the church. A wonderful evening combining exercise and good conversation with outreach to other like-minded people. The start of something new that may be built on in the future. Sincere thanks again to Rev. Rutherford for her hospitality. The recent wet weather, combined with mild temperatures has seen a burst of growth in the grass around both the church and the Rectory so the grass-cutting team was in action again this evening, taking advantage of a dry day to tidy up the grounds. Weeds were sprayed, edges trimmed and grass mowed so all is neat and tidy again. Like last year there is another good crop of cooking apples on the trees around the Rectory. Not quite ripe as yet but give them another month or so and they'll be ready for making apple tarts or jam. Belfast was the venue for this evening's walk, along the banks of the river Lagan where it winds its way through the outskirts of the city at Shaw's Bridge. 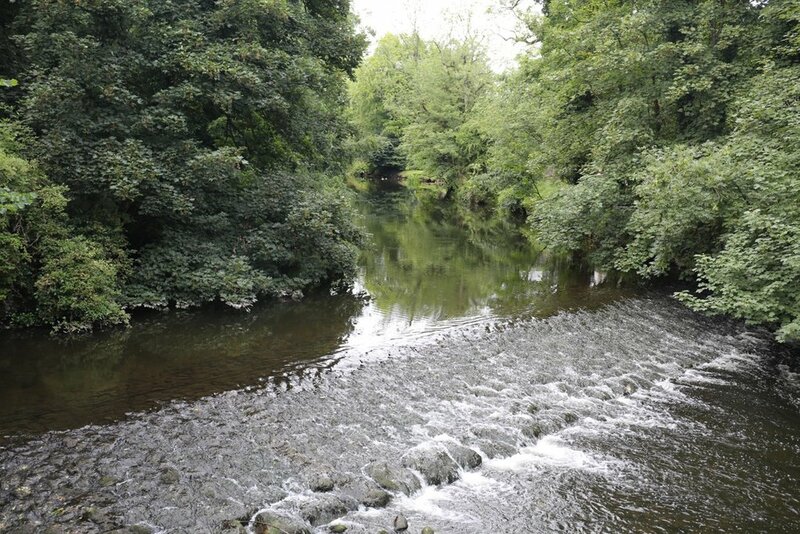 The trail began at Minnowburn bridge and followed the tow path upstream to Gilchrist's bridge near Edenderry before crossing over to the Co. Antrim side of the river and following it downstream past Barnett's Demesne, Shaw's Bridge and into Clement Wilson park. The walkers then crossed the Lagan again and made their way along the side of the long-since abandoned canal to the Lock Keeper's Cottage near the end of Newforge Lane. Sadly the facilities were closed and as daylight was fading fast and rain was threatening everyone pressed on back to the carpark, just in time as the first drops started to fall. An enjoyable evening spent exploring another new walk for most with St Bride's, St John's and All Saints' again represented. 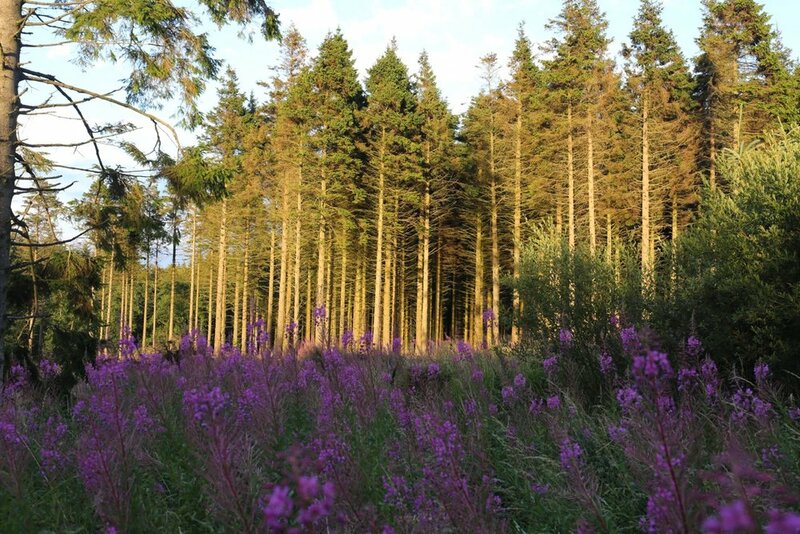 Next week will be the last walk of the season as the nights lengthen and autumn beckons. 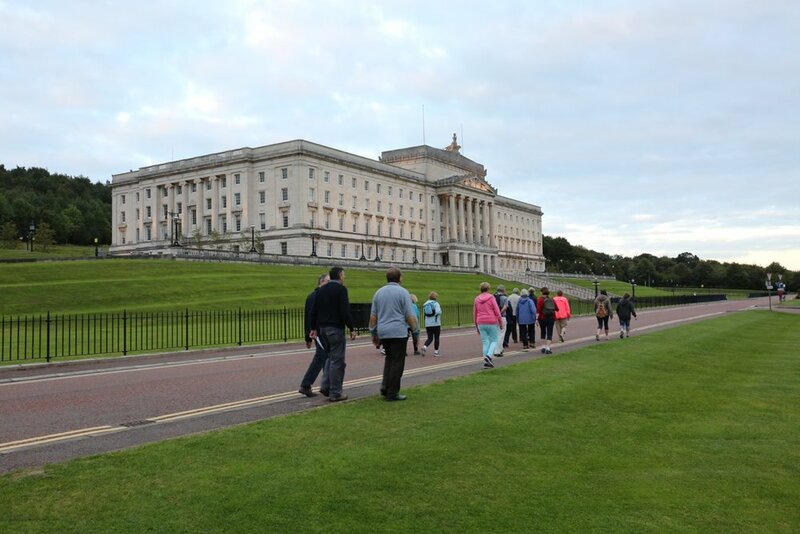 It will be around the Stormont estate and it is the intention to meet up with parishioners from St Molua's at Stormont and St Columba's at Knock to have a combined walk and hopefully some social interaction afterwards in a coffee shop at Ballyhackamore. The walk will start from St Molua's church car park at 7:00pm. For those coming from Ballyclare meet as usual in the town hall car park at 6:20pm. It was a pleasure to welcome a guest organist to this morning's service of Morning Prayer as Julian Moller took over the organ bench for the day. Julian is an accomplished and highly experienced organist who helps out at numerous churches as and when required. He was delighted to be back at St Bride's after a break of about twenty years but hopefully it won't be as long until he is back in Kilbride again. 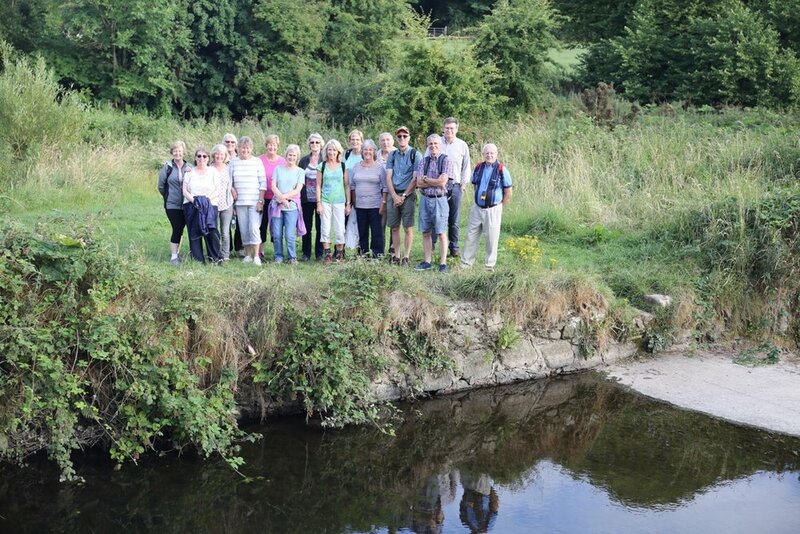 The rambling group was back in Co. Antrim this evening for a walk a little closer to home. It started just off the Doagh Road near Cloughfern and the walkers made their way up the hill to a point near the TV mast where they were able to admire the views across Belfast Lough and into Belfast. 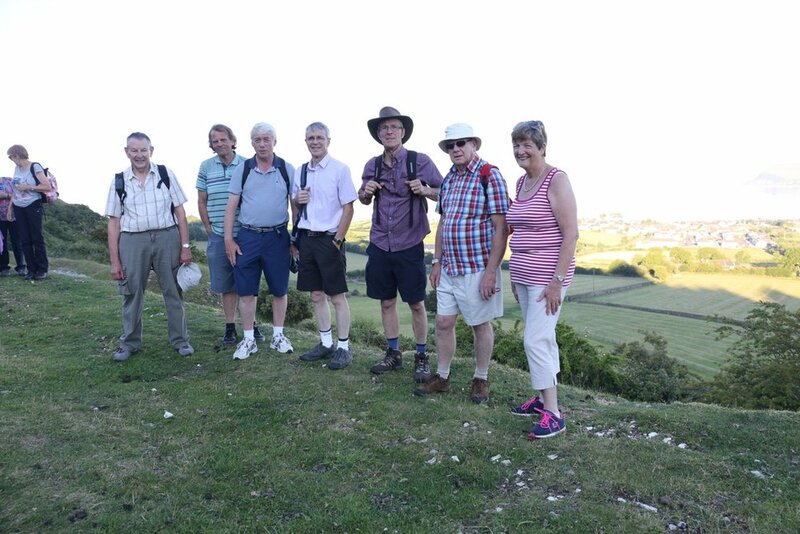 It was a balmy evening and with temperatures up and a challenging hill or two everyone was glad of a rest at the top. The main route wound its way up, down and across Carnmoney Hill, eventually dropping down onto the Doagh Road and back to the start. Another thoroughly enjoyable evening even though it was a little more strenuous than previous walks. 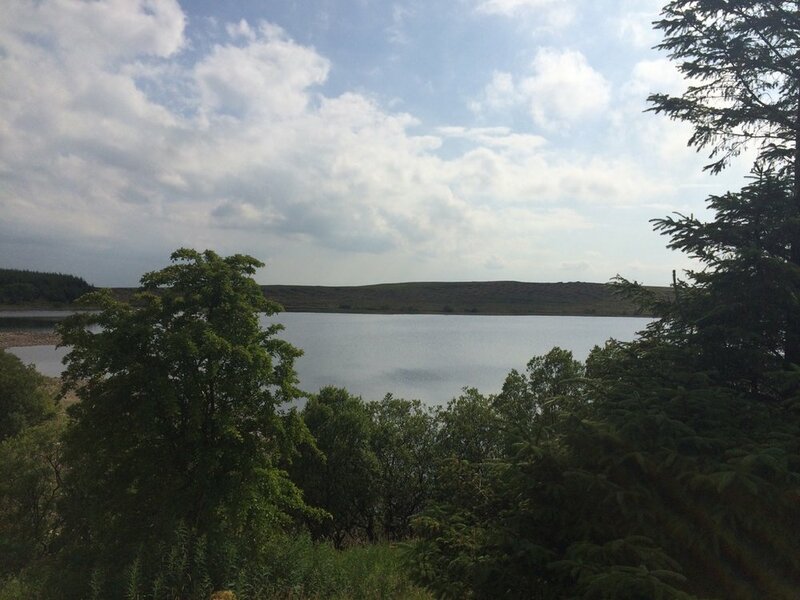 The evenings are closing in so there will only be two more walks before the rambling season ends on 4th September. This evening's walk was again in Co. Down as the rambling group explored an historic part of east Belfast following the Connswater Community Greenway. The walk joined the Greenway at Dixon Park on Grand Parade and that name would be significant later in the evening at a location near the end of the walk with a strong family tie to St Bride's. 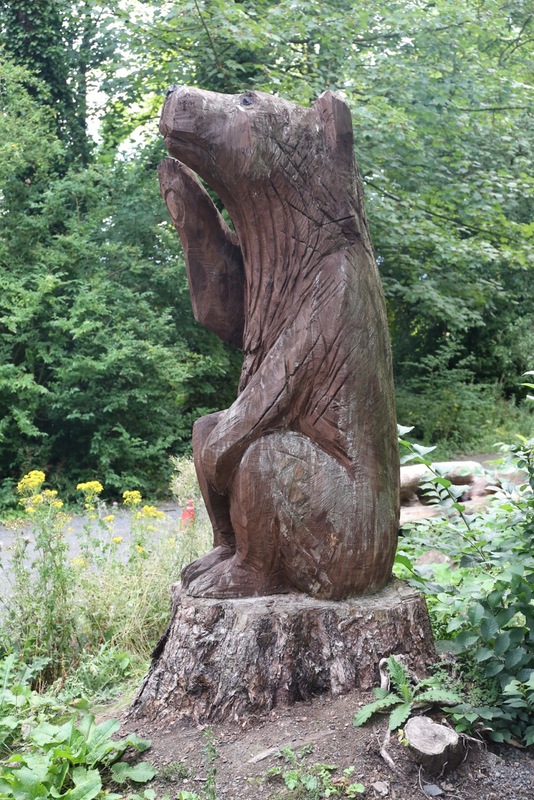 The ramblers followed the pathway as it wound its way along the route of the Connswater river, crossing the Beersbridge Road and Newtownards Road before stopping off as CS Lewis Square to admire the sculptures of characters made famous by the famous local author. Continuing on and still following the now tidal section of the river they crossed Mersey Street and passed King George V playing fields as the Oval football ground, home of Glentoran FC, came into view. 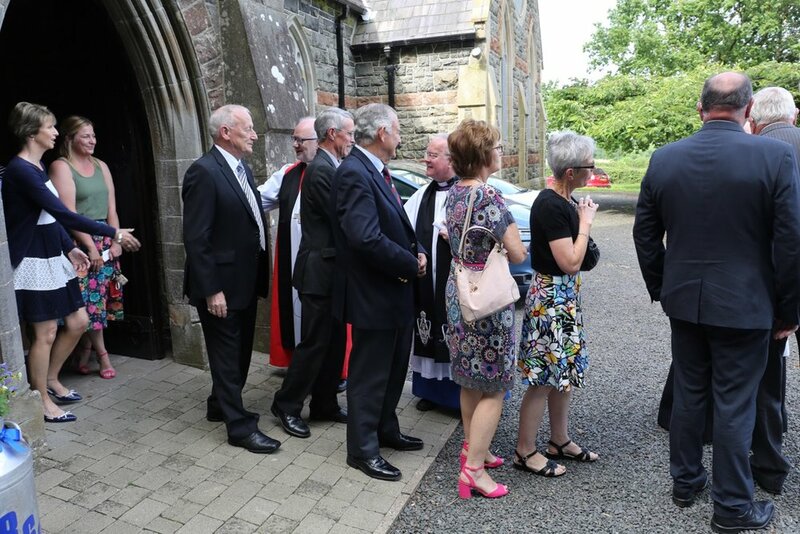 This was the link to St Bride's as one of the church's parishioners is Robin Dixon, 3rd Baron Glentoran, whose predecessor Herbert Dixon took the title 1st Baron Glentoran when raised to the peerage. Herbert Dixon was a Unionist MP representing East Belfast in the 1920s. 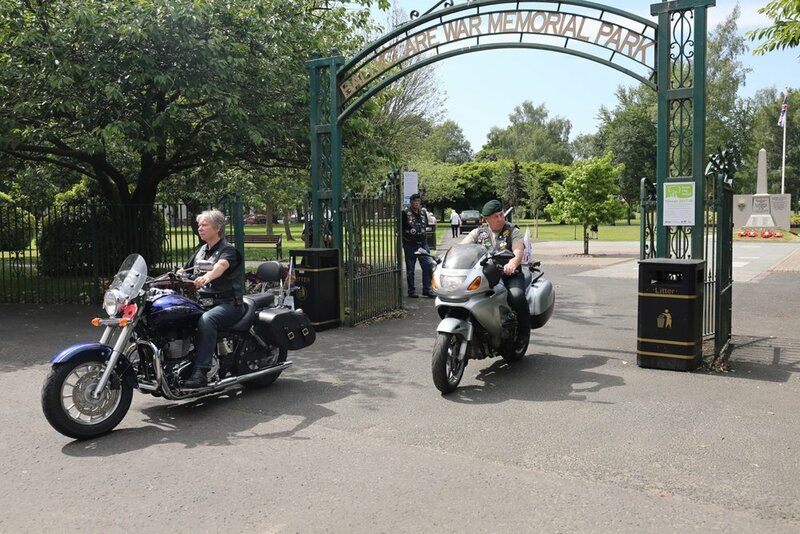 The final part of the walk was a circuit around Victoria Park with a backdrop of the Harland and Wolff cranes and the Bombardier aircraft factory. Rain had threatened at times but thankfully never materialised and a very enjoyable walk concluded in a coffee shop at Ballyhackamore. 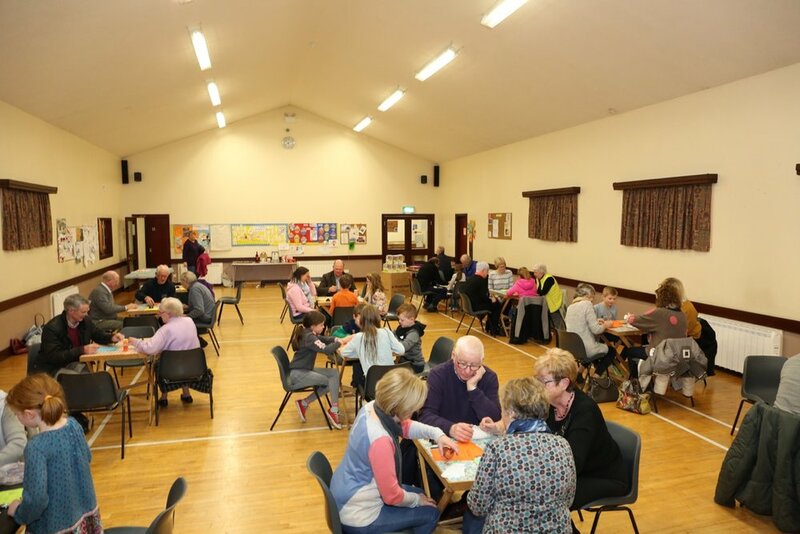 Four separate parishes were represented as walkers from All Saints' in Antrim, St Columba's in Knock, St John's in Ballyclare and St Bride's came together for the evening. The new Parish office is now in operation and for the first few months it will be open on Monday mornings only from 9.00am until 12.00 noon. 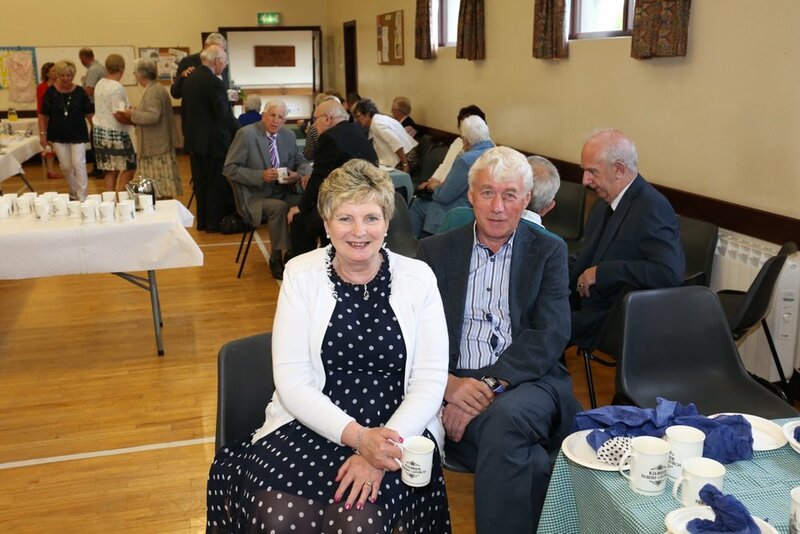 Iris McCormick has taken on the role of Parish Office Secretary and she can be contacted in the office using the new office phone number - 028 9334 1248. 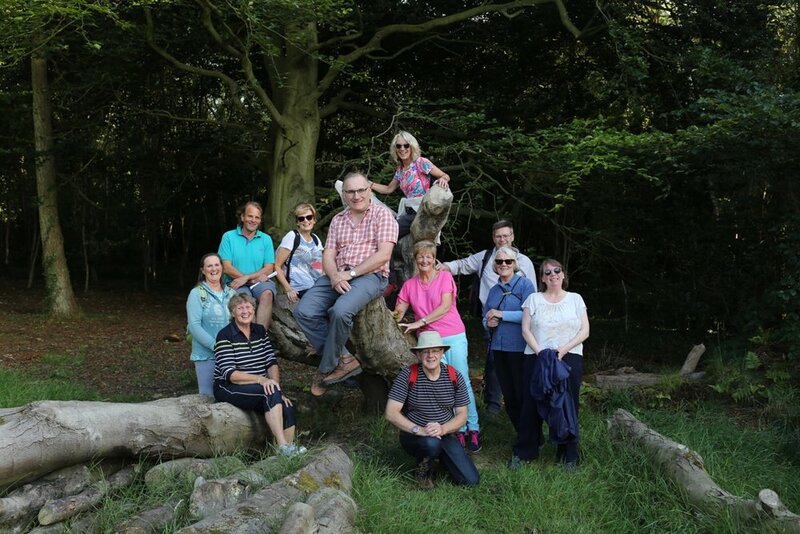 The rambling group was again very fortunate with the weather this evening, enjoying pleasantly warm and dry conditions as it ventured beyond Co. Antrim to a hidden gem near Holywood, Co. Down. 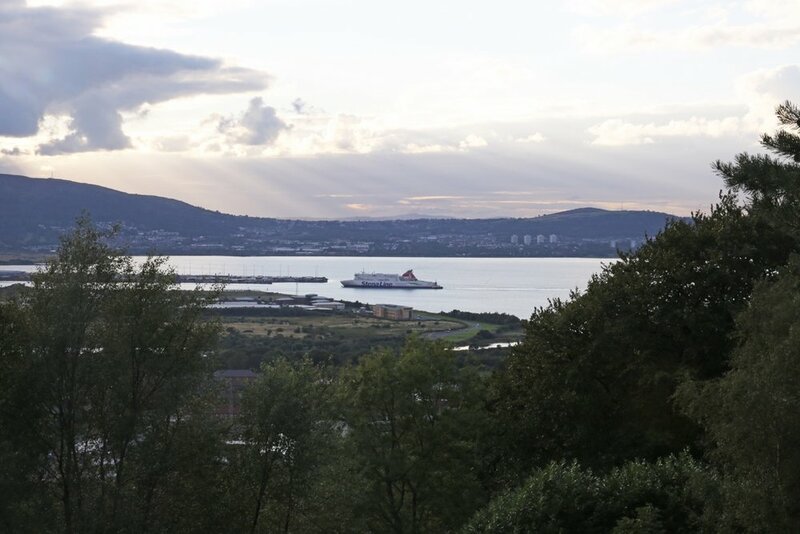 Redburn Country Park is a little known venue just above the town with beautiful views across the docks, George Best Belfast City Airport and across the lough to the southern shores of Co. Antrim. 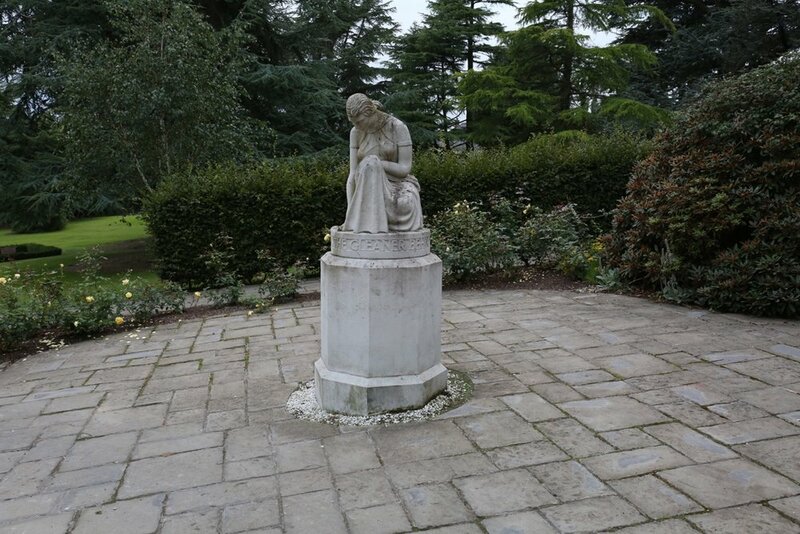 The park was formerly part of an estate owned by a prominent business family, the Dunvilles, who built a large house in the grounds in 1866. The family had made its fortune in the production of whiskey in a large distillery near the Great Victoria Street and Grosvenor Road area of Belfast (the well known Northern Ireland football team Distillery was formed by the company in 1880 to provide recreation for the company's workers and played its home games on a pitch near the works). Sadly little evidence remains of the original Redburn House as it eventually fell into disrepair after the Second World War and was demolished in 1972 to be replaced by a nursing home. 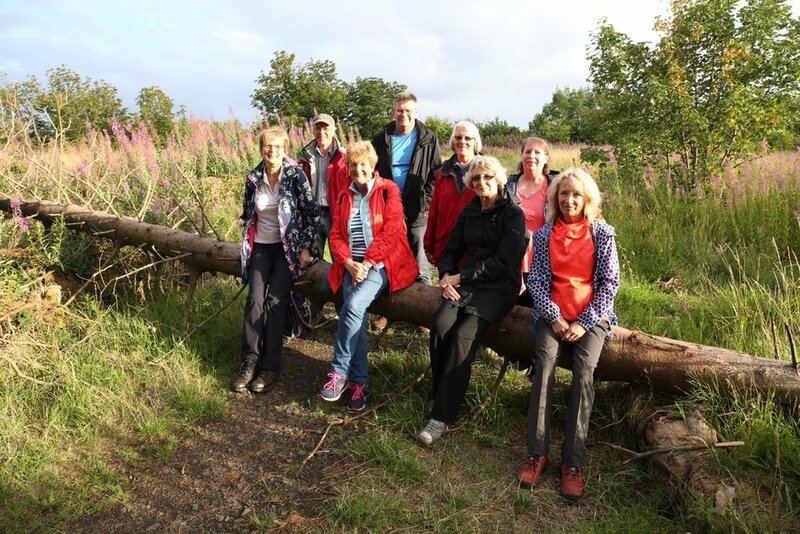 From the walking group's perspective the park was a wonderful location as pathways wound their way through native woodland gradually climbing to open ground at the top where a panoramic view from Kilroot to Divis opened up that included large parts of the Harbour Estate. A thoroughly enjoyable evening was had by all and was finished off with a chat over a coffee at the 'Golden Arches' at Connswater. Despite rather ominous, dark clouds drifting over Ballyclare when the walkers were getting ready to leave they pressed on to Woodburn forest where everyone enjoyed a brisk walk through the forest and on to the Knockagh monument. The temperature was down from previous weeks but it was still comfortable all enjoyed yet another wonderful view across Belfast Lough from the monument. 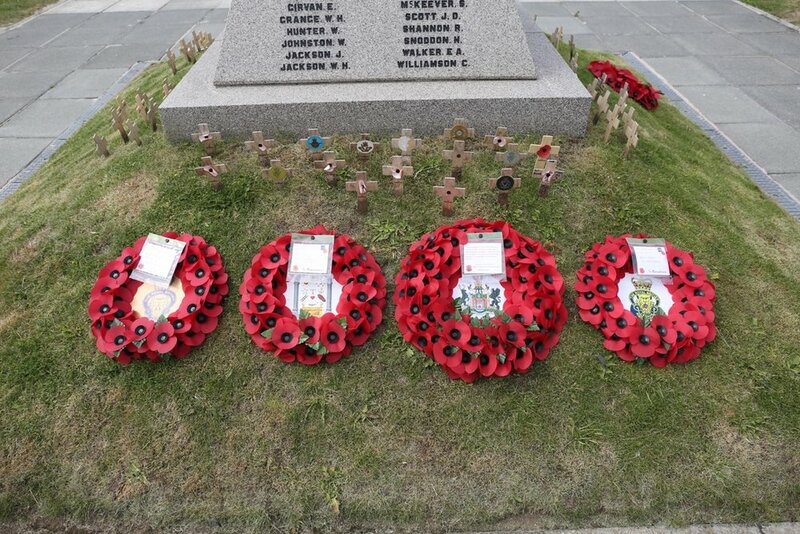 Numerous poppy wreaths were in evidence, laid by various politicians and local dignitaries on 1st July to commemorate the first day of the battle of the Somme in 1916. 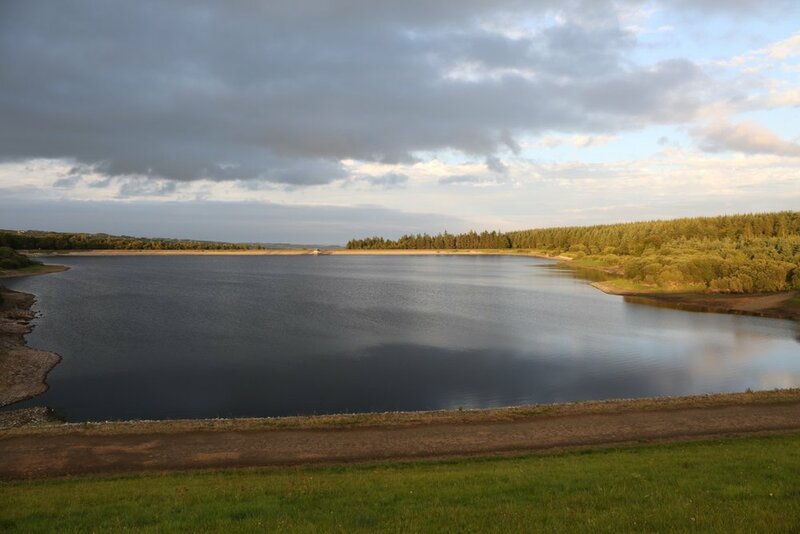 Ramblers from St Bride's were again joined by some ladies from All Saint's in Antrim and together they made the most of a dry evening, exploring the forest around the Woodburn reservoirs. This evening's ramble was a repeat of a route enjoyed by everyone last year and yet again the weather was warm and dry. 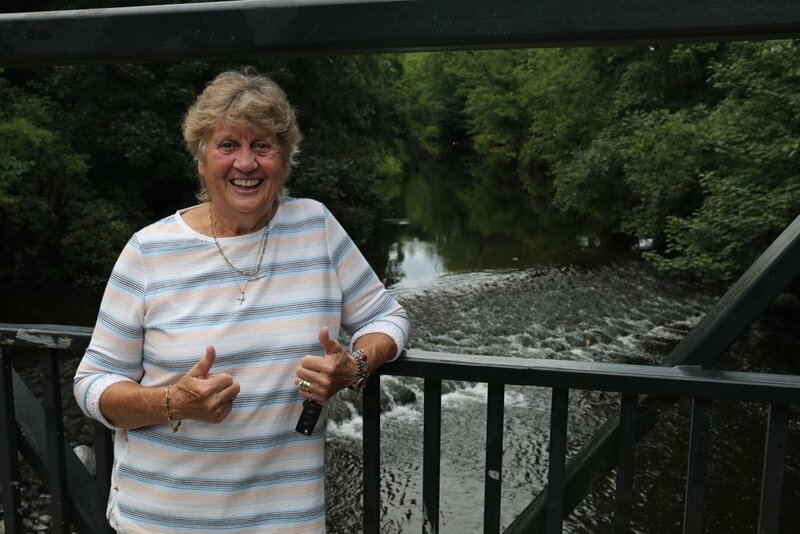 The walk started in High Street, Antrim at the gates of All Saints' Church where St Bride's ramblers were joined by some parishioners from the church and together they walked the very pleasant and very flat route along the mill race and the Six Mile Water. 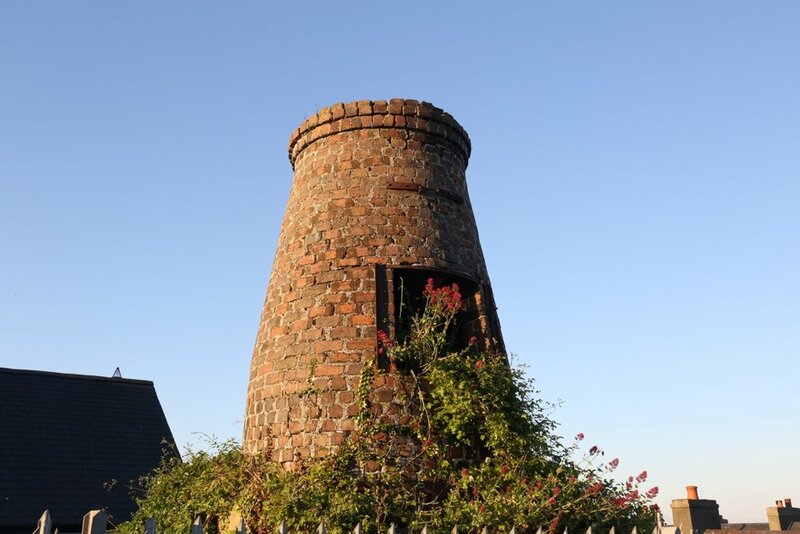 It was a walk through a lot of history of the area in that evidence of the once thriving linen industry was visible in various places along the route, including old mill buildings and a waterwheel. 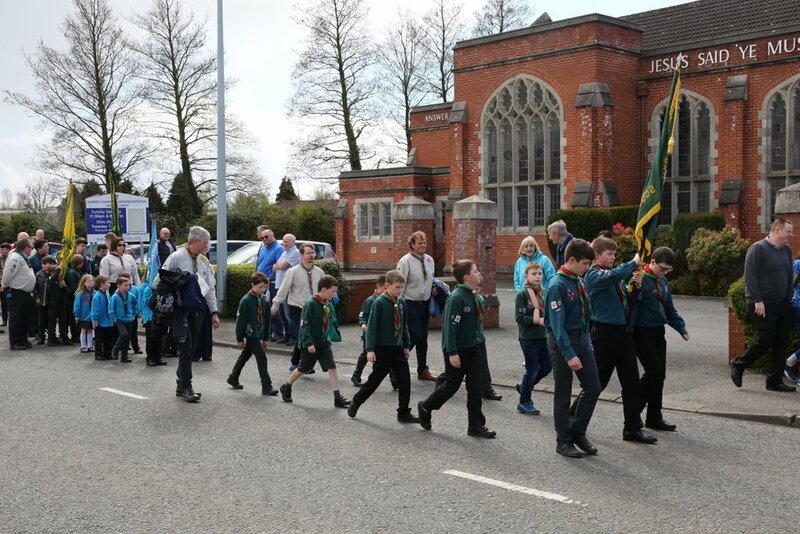 It was a thoroughly enjoyable evening and the parishioners from All Saints' were delighted to join the walk and are keen to join St Bride's again in the future. Especially for Hester in the Blue Grass State, USA! 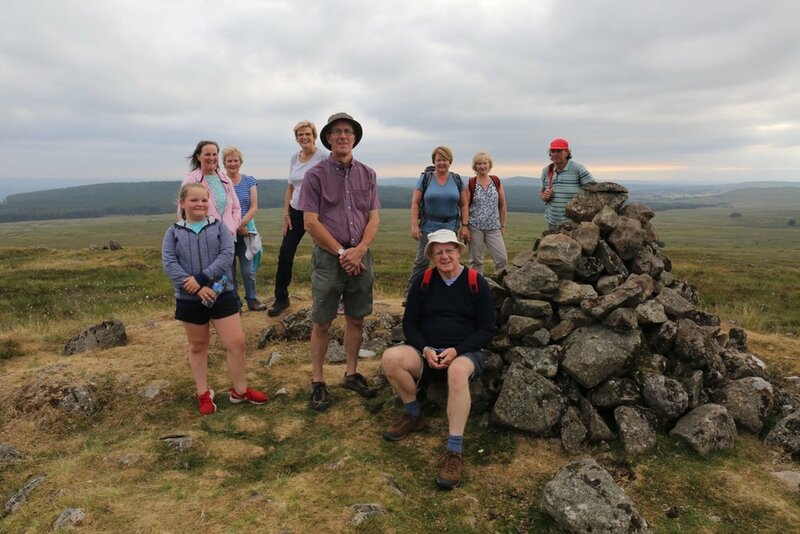 A small group made its way to the hills above Carncastle to walk another section of the Ulster Way at one of the many locations where the series Game of Thrones has been filmed. 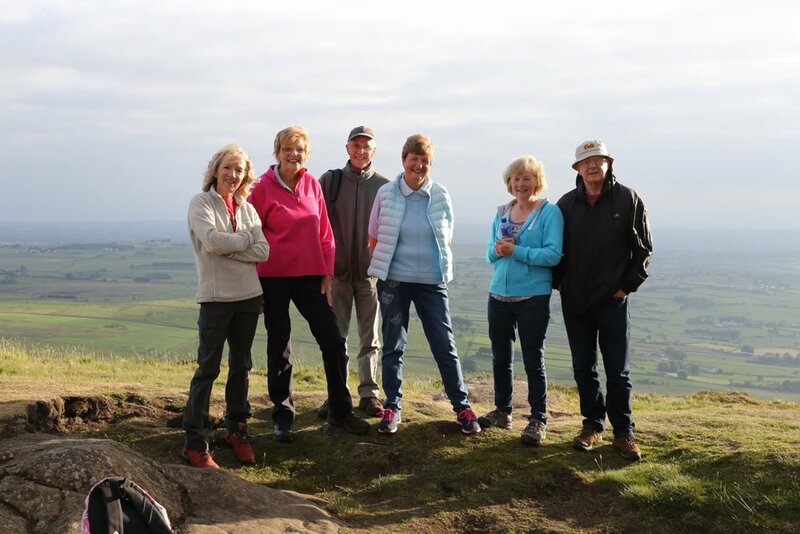 The walk began at Robin Young's car park and the group headed north towards Glenarm taking in views of Slemish, Scotland, Larne and Islandmagee on the way. Conditions were almost ideal for the two hour walk across the Antrim plateau. The rain at the weekend had made little or no impression on the often wet hills as it was completely dry underfoot making for easy walking - except for the hilly bits! Next week the group will be taking a break from the hills and will be doing a flat route along the mill race at Antrim so make a note in your diary and come along. Tuesday evening (24th July) leaving the town hall carpark in Ballyclare at 6:30pm. A distinct change in the weather was noticed this evening as the ramblers started out to walk part of the Ulster Way from Upper Ballyboley to Shane's Hill and then on to Agnew's Hill. Cloud cover was almost complete in contrast to the early morning sunshine but conditions were very good for walking as the party of ten made its way up the hills overlooking Larne and the Co. Antrim coast. Many of the places walked by the group since June could be seen from the top including Islandmagee, Divis, Slemish and Cavehill. The walk was approximately 8 km and the maximum elevation was 476m. Another enjoyable evening. 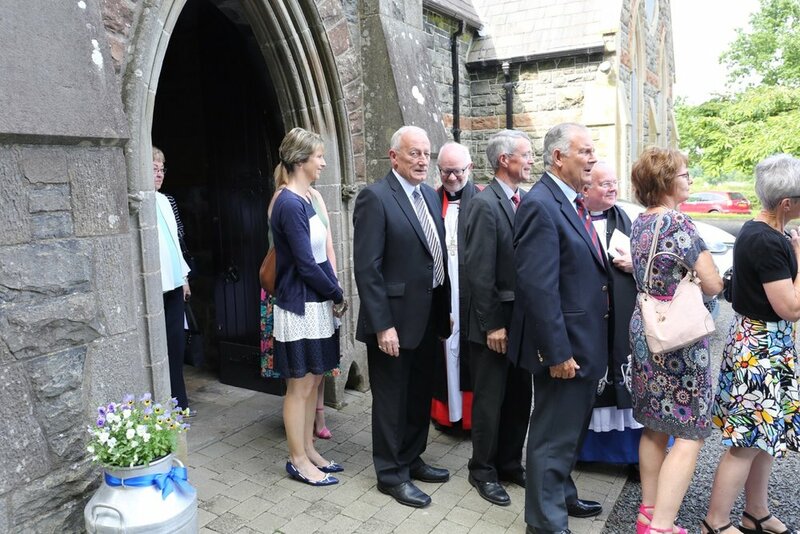 It was a warm and sunny afternoon as church bells rang in St Bride's for the wedding of Nicola Wallace and Jonathan McMullan. The church was full almost to capacity to witness the marriage of this young couple in a service conducted by Rev. Canon David Humphries. Nicola is a Beaver Scout Leader in 1st Kilbride Scout Group and other leaders and members of the Group were on hand outside to form a guard of honour as Nicola and Jonathan left the church. Congratulations to them both from everyone in St Bride's as they begin their married life together. 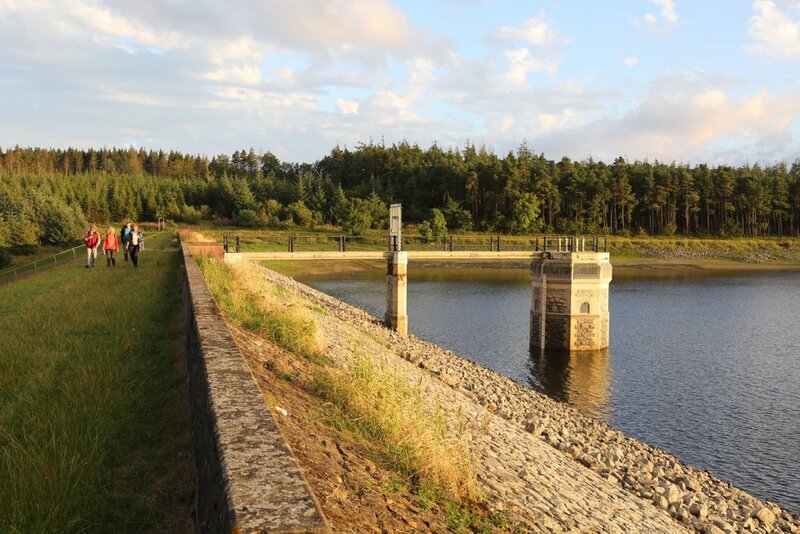 Last Friday afternoon around three dozen parishioners strolled, scooted and cycled through Ballyboley forest and around Killylane reservoir for a family ramble. The weather was warm, not hot, and the potluck barbecue that followed really hit the spot! 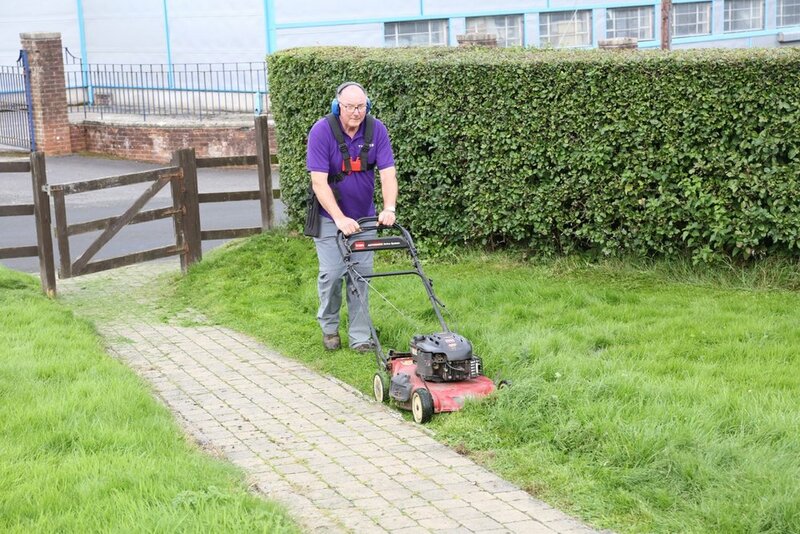 There was no sign of Alan Titchmarsh or Monty Don but the grass cutting team has been busy in the last couple of days mowing the grass around the church, the church hall and the rectory. Everything is very tidy again and the church grounds in particular will be looking good for the wedding on Saturday. 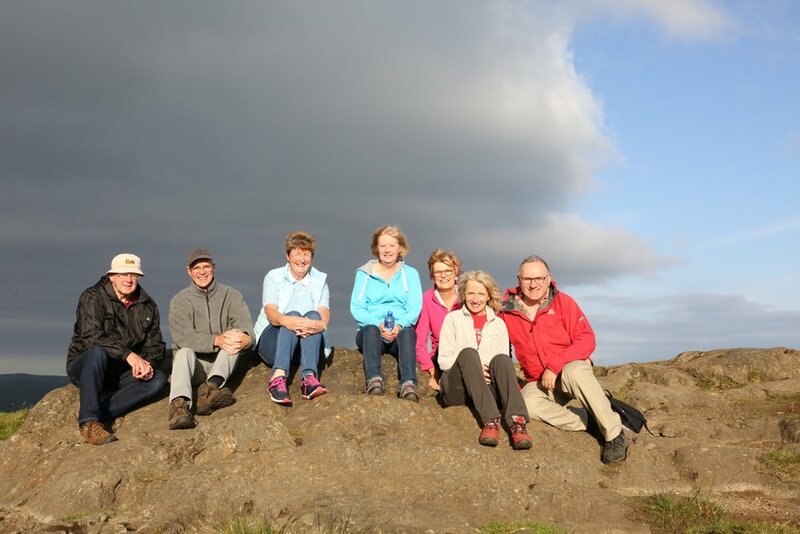 Northern Ireland continues to bask in sunshine and the rambling group took full advantage of the glorious weather to walk up Divis mountain. 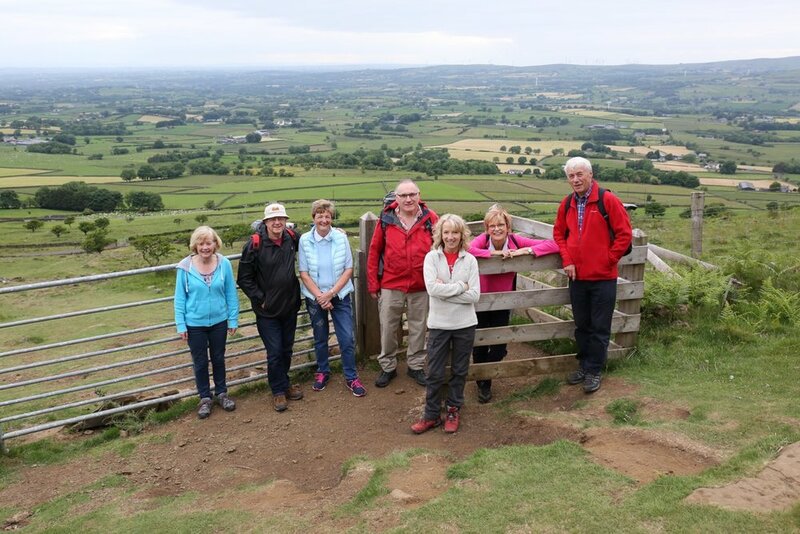 It was the first time that most of the group had been on this National trust site even though it is so close to home but everyone thoroughly enjoyed a walk of almost 6 miles and the stunning views right around Northern Ireland and beyond. 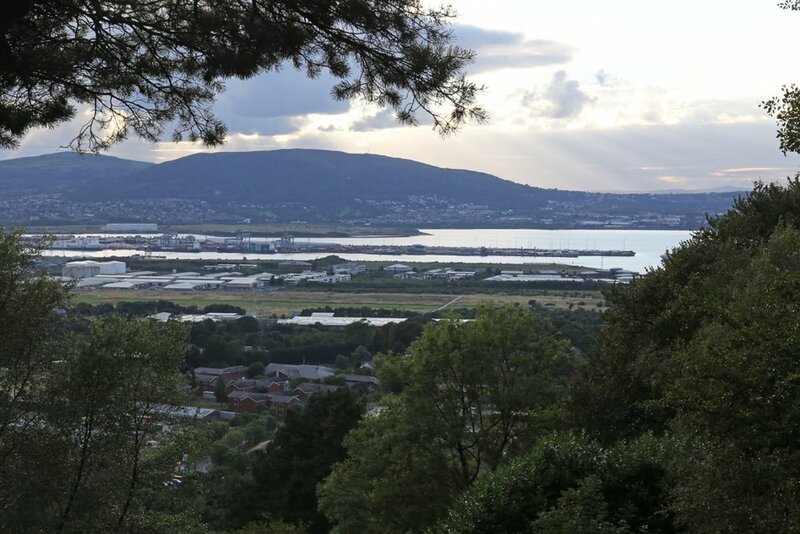 The city of Belfast and Belfast Lough were bathed in the evening sunshine with views extending beyond Newtownards right down the Ards peninsula. The Mourne mountains were visible in the haze to the south and the sun glinted off Lough Neagh to the west. The walk finished back at the National Trust car park just as the sun dipped below the horizon. This walk will certainly be repeated in the future. 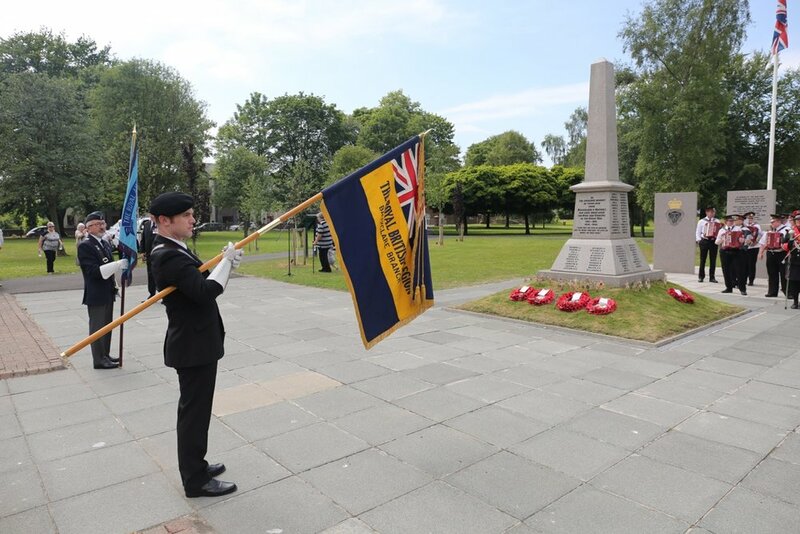 The annual commemoration of the beginning of the Battle of the Somme on 1st July 1916 took place in Ballyclare this afternoon with the service being conducted by Rev. Canon David Humphries. 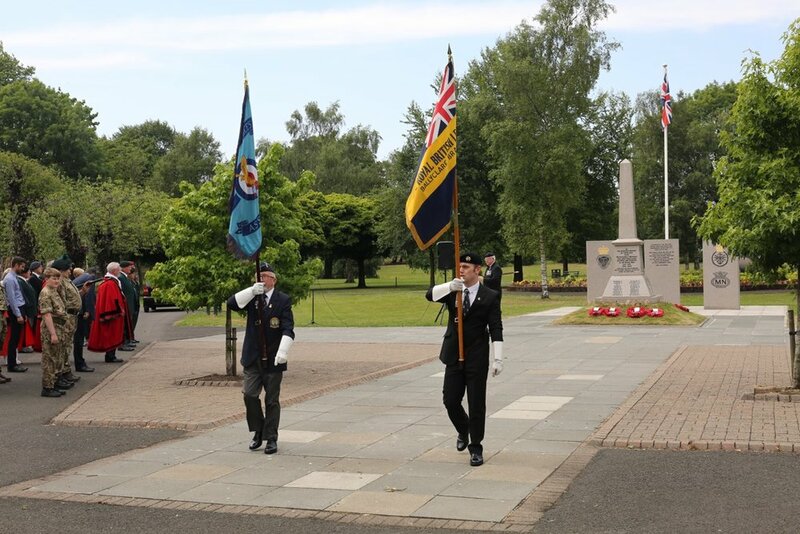 Organised by the Ballyclare Branch of the Royal British Legion, the parade began in Harrier Way and made its way down Ballyclare Main Street to the War Memorial Park. 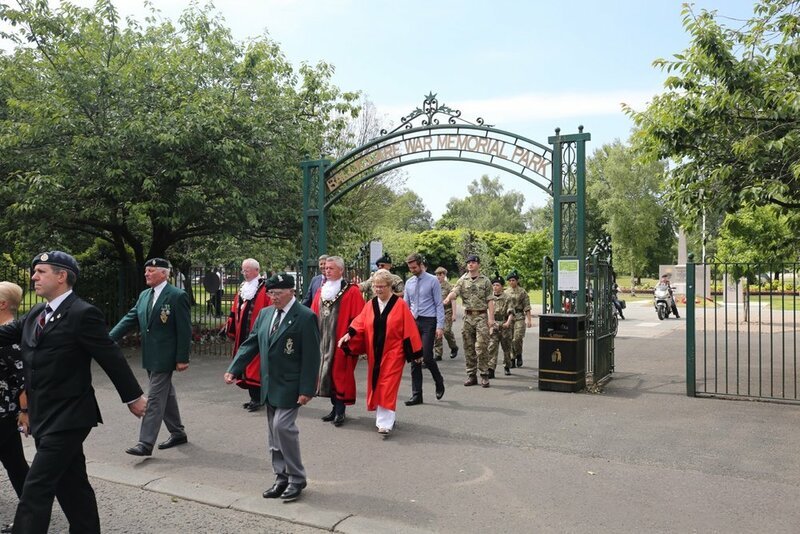 Members of the armed forces, both past and present, were represented as well as a number of local political figures including the Mayor - Councillor Paul Michael, Deputy Mayor - Alderman John Smyth, MP Paul Girvan, MLA Steve Aiken OBE and Councillors Vera McWilliam and Tim Girvan. 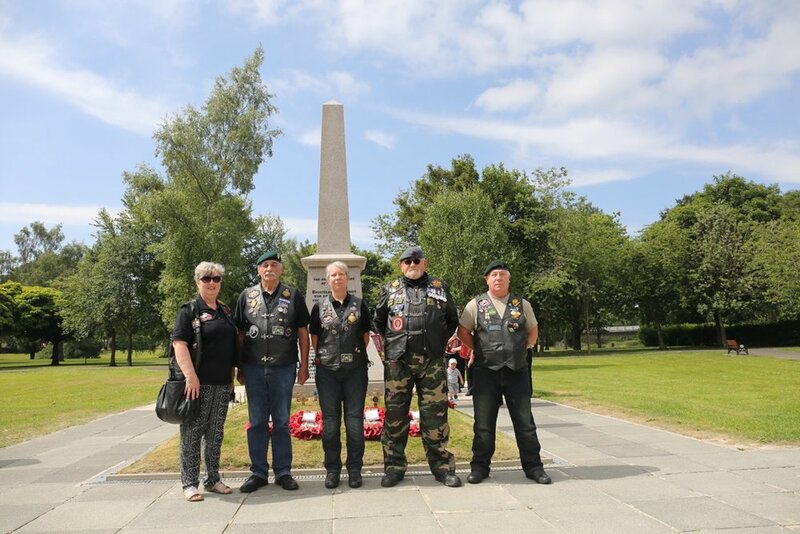 In what was a very dignified ceremony wreaths were laid on behalf of Antrim and Newtownabbey Council, the Royal British Legion and the Royal British Legion NI Motorcycle Branch before Rev. Humphries gave his very poignant address. 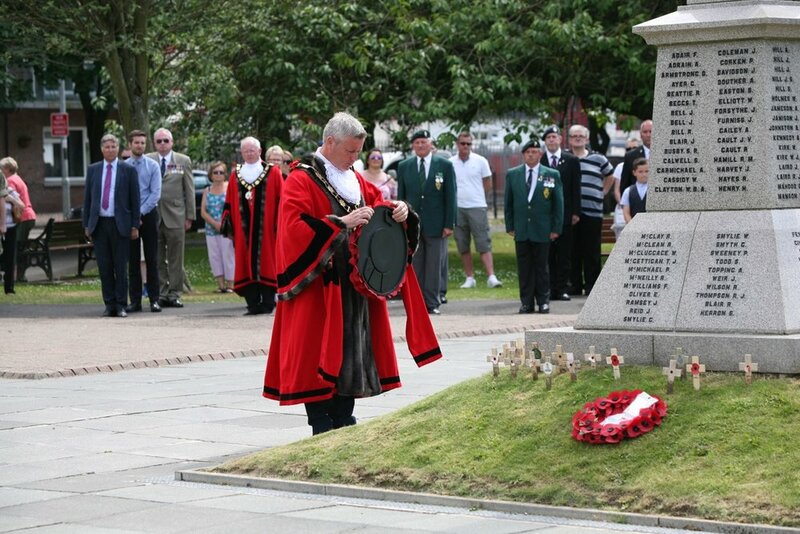 In particular he remembered the extreme sacrifice that had been made in two world wars and in conflicts since. He also acknowledged the service being given by our military personnel in the defence of our nation, both at home and abroad. 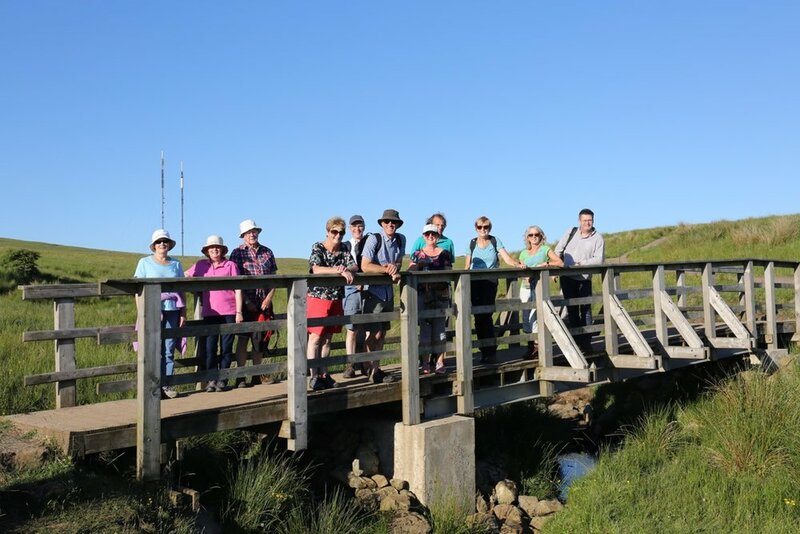 The weather today was glorious and perfect walking conditions were enjoyed this evening as the members of the church rambling group made their way up the Antrim coast to Carnlough. Cranny Falls is a beautiful waterfall tucked into a small valley on the hillside above the town and this was the main point of interest for the walk. For many it was their first time to visit this waterfall near Carnlough where the water from high up the valley cascades over a shear drop. The walkers then moved on to the old quarry workings below the limestone cliffs where the view across the bay was spectacular with the Mull of Kintyre just visible above the sea mist on the Scottish shore. On returning to the town again, and anticipating a well earned '99', there was more than a little disappointment when it was discovered that the ice cream machine in the local shop had broken down! 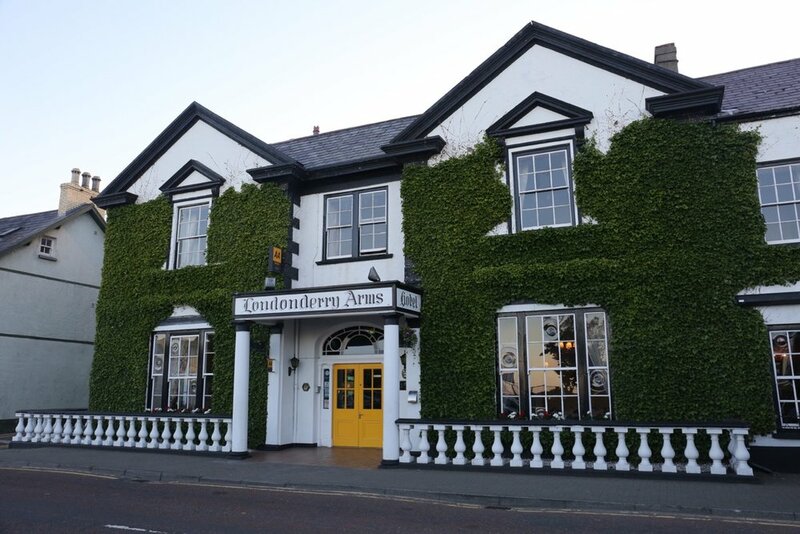 However refreshments were enjoyed up the street in the Londonderry Arms Hotel. 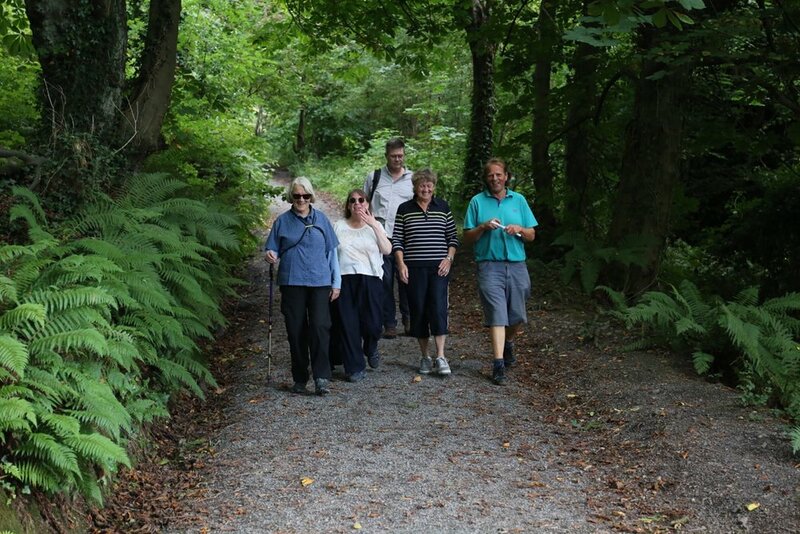 If you haven't been on a walk this summer as yet please do consider joining us. Walks have been taking place mainly on Tuesday evenings and most walks aren't too strenuous for anyone with a reasonable level of fitness. Make contact through the 'Contact Us' page of this website or through the Facebook page if you're interested. 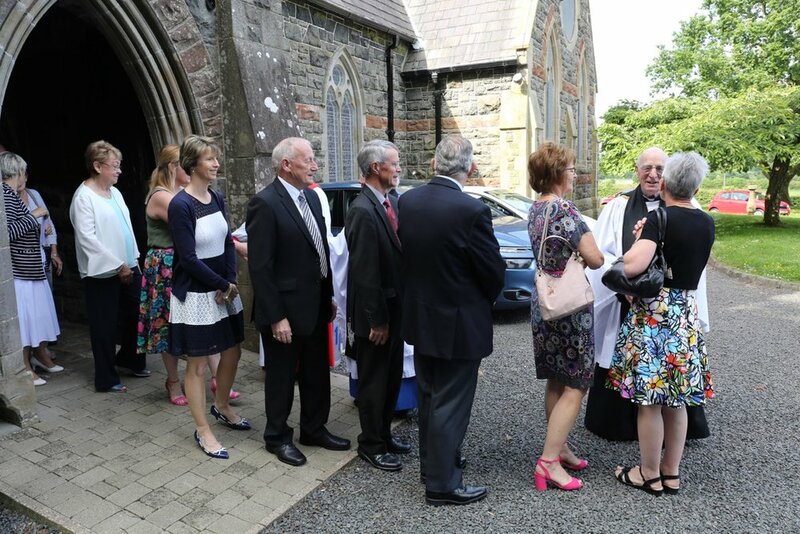 This evening almost fifty parishioners and friends enjoyed a delicious dinner in the Ross Park Hotel, near Kells, to celebrate the 150th anniversary of the consecration of St Bride's on 9th June 1868. This was the last main event in the church's celebration of this very significant anniversary. Special guests for the evening were Rev. Canon and Mrs Ken Ruddock and Rev. and Mrs Clyde Irvine. Rev. 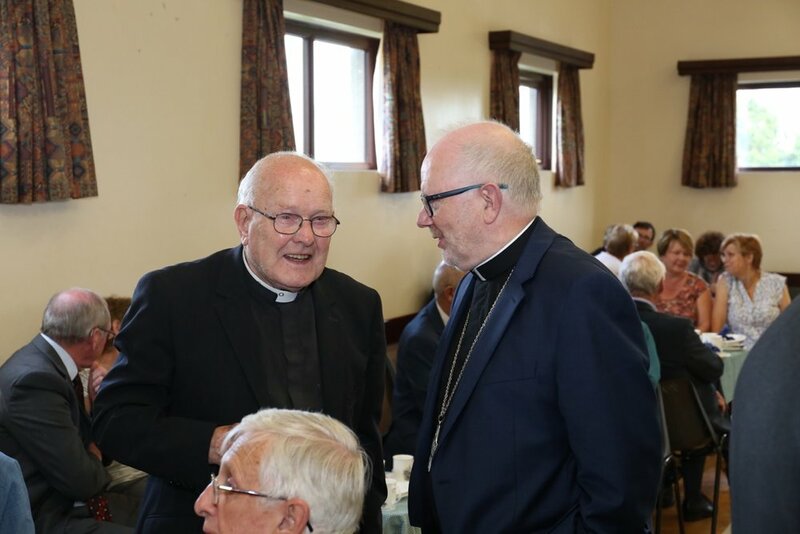 Irvine was rector of St Bride's from 1968 - 1974 and he was delighted to have been invited to take part in the celebrations and to join everyone for the evening for what was a delicious meal. Mrs Ruddock and Mrs Irvine performed the ceremonial cutting of the special cake made especially for the evening. 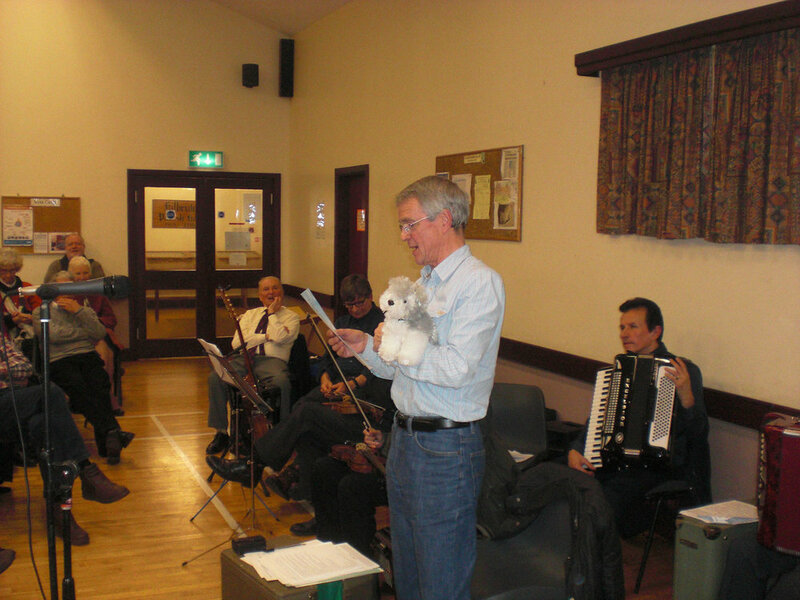 Tom Andrew provided some light entertainment reciting and telling a number of very amusing poems and jokes. 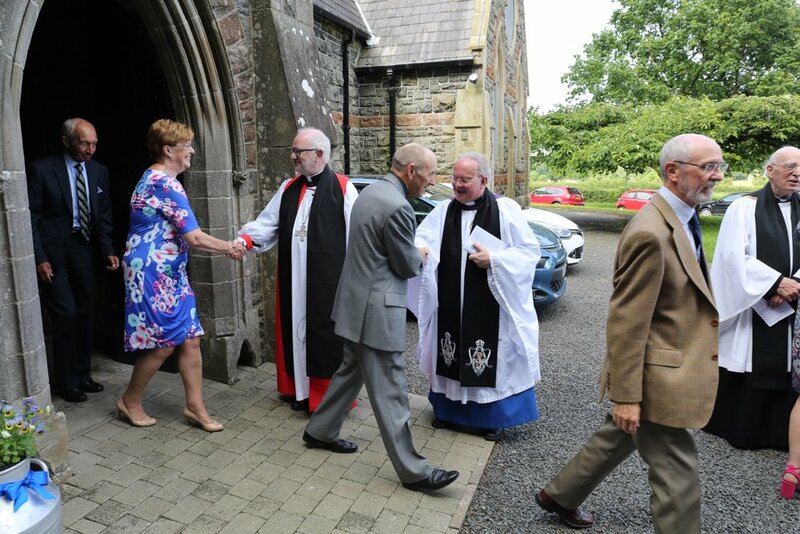 Congratulations were also offered to our Rector as he celebrated the 32nd anniversary of his ordination in Dromore Cathedral by Bishop Gordon McMullan. The annual presentation of prizes to all the Sunday School pupils took place during this morning's service. 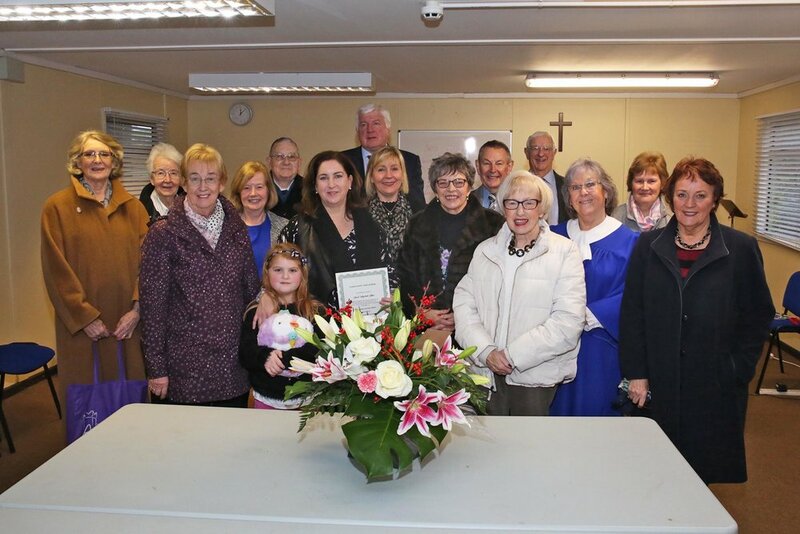 They were presented by the Sunday School superintendent, Eleanor Graham, who was delighted to be able to reward the young people for their good attendance throughout the year. Sunday School will now take a break for the summer and will resume again in September. Despite the bad weather there was a very good turn-out to go on the pilgrimage to the sites of six churches associated with Kilbride. Old Rashee Graveyard – the first stop on our pilgrimage to the six churches. It was here that the first church of the area was founded by St Patrick himself, perhaps while on his way to the Slemish area to try to convert his old master from the days of his slavery. The church at some stage fell into ruins – there is no trace of it now, but it is said that the old mort house was built from the stones of the ruined church. Sheltered by ancient trees and shrubbery, Rashee Graveyard is old and very beautiful. Not only does it have history, but it also provides a haven for wildlife of every sort. 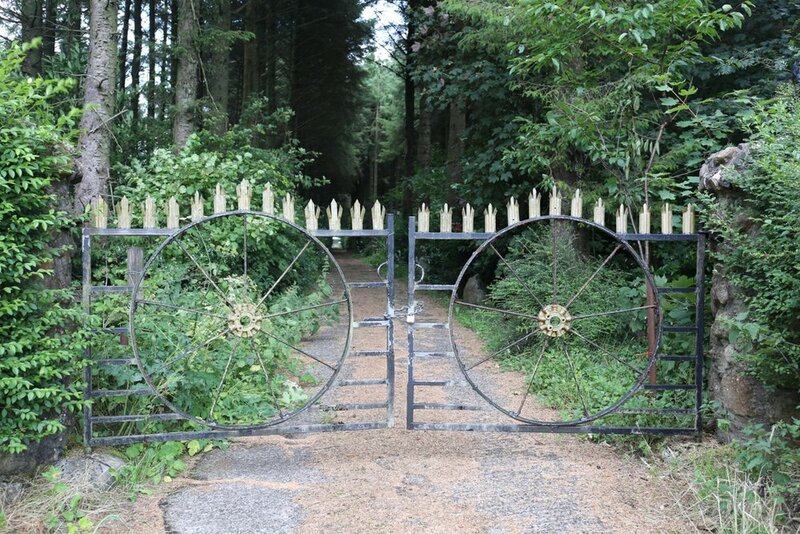 Posey Hill - the second of the six sites is the 'Graveyard Field' at Posey Hill (near the Ballymena Road). Unfortunately we were unable to contact the landowner in time, so we weren’t able to visit the site. The graveyard field lies at the end of a lane from Posey Hill. 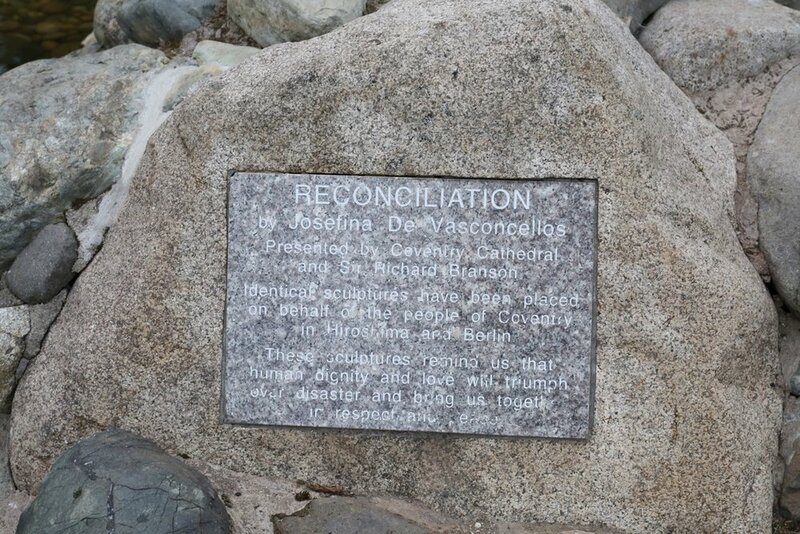 The precise site of the church is unknown, but in the field there is a little mound of stones which it is thought may be the remains of the church. The field was once a graveyard, but there are no signs of a burial site now. Kilbride New Cemetery - the third site was high up on the Bride, adjacent to Kilbride Presbyterian Church. 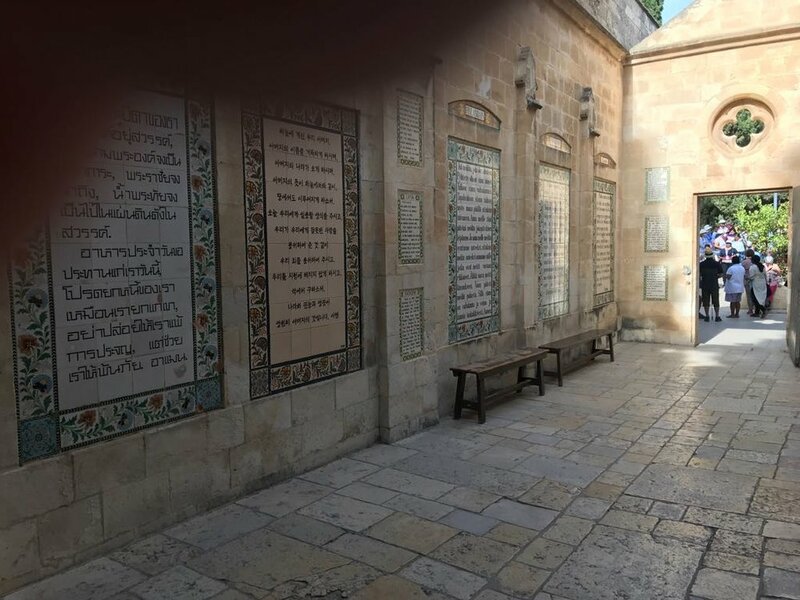 It is in this graveyard that Florence Mary McDowell is buried, and the pilgrims stood silently at her grave as a mark of respect. Florence McDowell is remembered as a gifted teacher and author and is fondly remembered by the senior folk at St Bride’s, where she worshipped. There is little sign of the old church now, perhaps just the remains of the foundations. Doagh Cemetery - the fourth church is the Church of St Mary of Doagh, located in Doagh Cemetery right in the middle of the village. In the graveyard itself is an ivy bush, about seven feet tall, under which is the only remaining wall of the church. Stones of various sizes are strewn around the base of the wall, which looks out beyond the graveyard to the Doagh River, beside which is a man-made mound, apparently built to protect the early inhabitants. From this area runs one of many souterrains, out of the graveyard and under the road. It was here that Pam sang an early Irish hymn, which inspired our devotions in this place. Ballyhamage House - the fifth site is the chapel of ease within Ballyhamage House on the Burn Road, built by Rev. McDowell Johnston, then Vicar of Donegore & Kilbride. At the time of his incumbency Kilbride had no church, so Johnstone refurbished a room in the house and asked the Bishop to consecrate it; he refused, but it seems that Johnstone was allowed to hold some services there. Note that the white building in the photo is NOT the chapel, but a swimming pool, added much later. 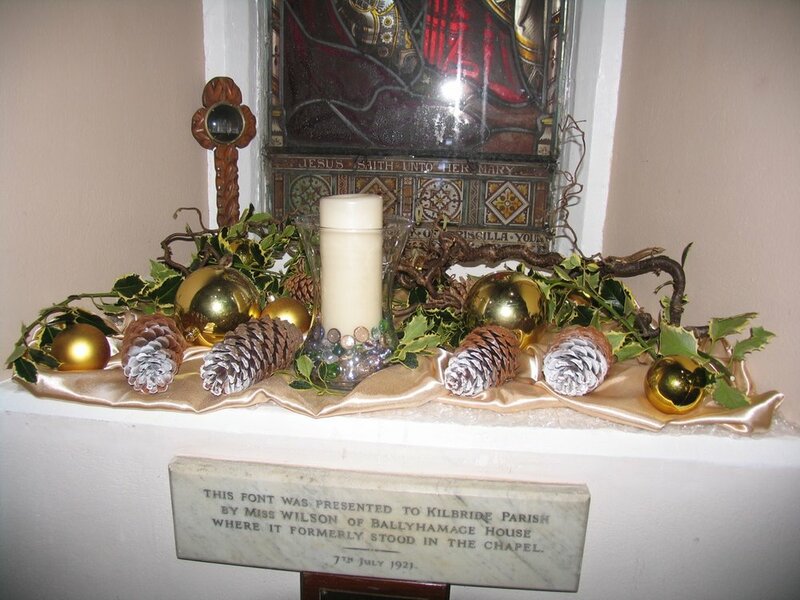 The marble font in St Bride’s Church came from the chapel in Ballyhamage House, the gift of Miss Wilson. St Bride's - the sixth site is, of course, St Bride’s itself, consecrated 150 years ago on 9th June 1868. We concluded our pilgrimage with prayers in the church, offering thanks to the Almighty for 1500 years of Christianity in the parish. 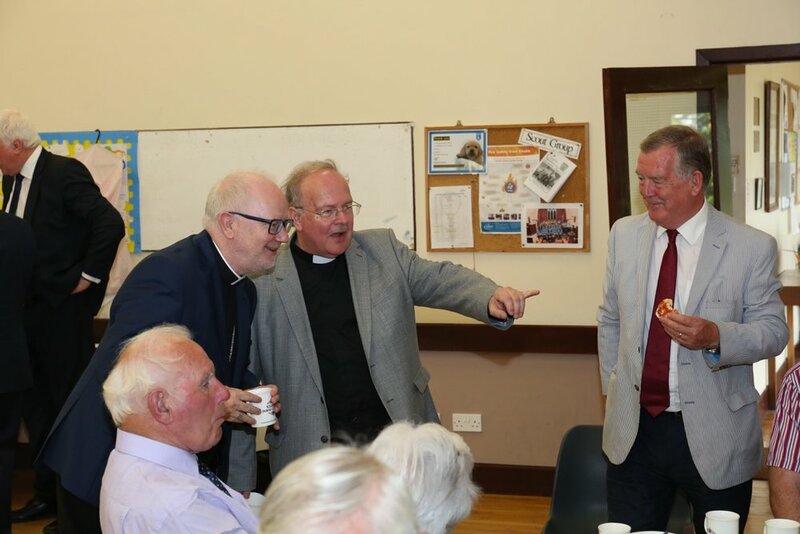 On a very wet evening, the last stop was the Parish Room, where hot tea was very welcome. This evening's ramble was the most challenging to date as the ramblers followed in the footsteps of St Patrick and climbed Slemish. It was a lovely evening for the walk and the views from the top were well worth the effort of getting there. Scotland was just visible in the distance looking east as well as Cavehill to the south. The skies were a little grey to start with but soon the landscape below this iconic hill was flooded with sunlight as the clouds cleared in the western sky. 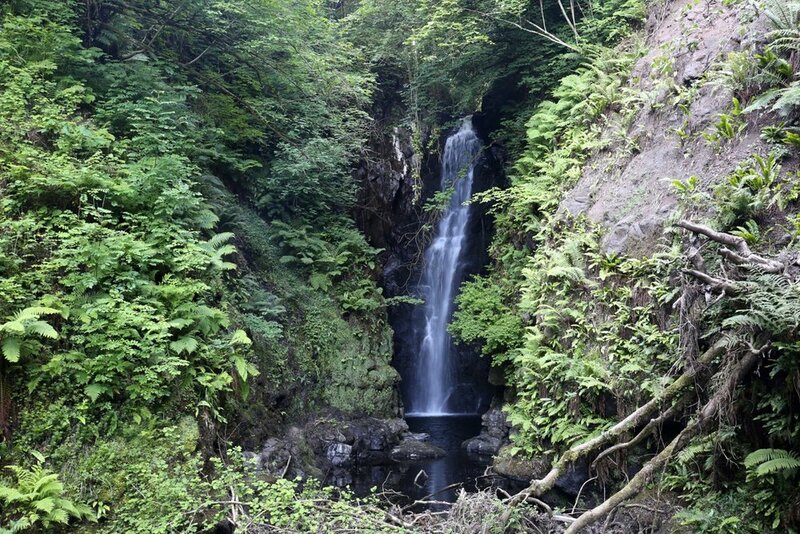 Next week it's Cranny Falls in Carnlough with another early start, leaving the Square car park in Ballyclare at 6:30pm. 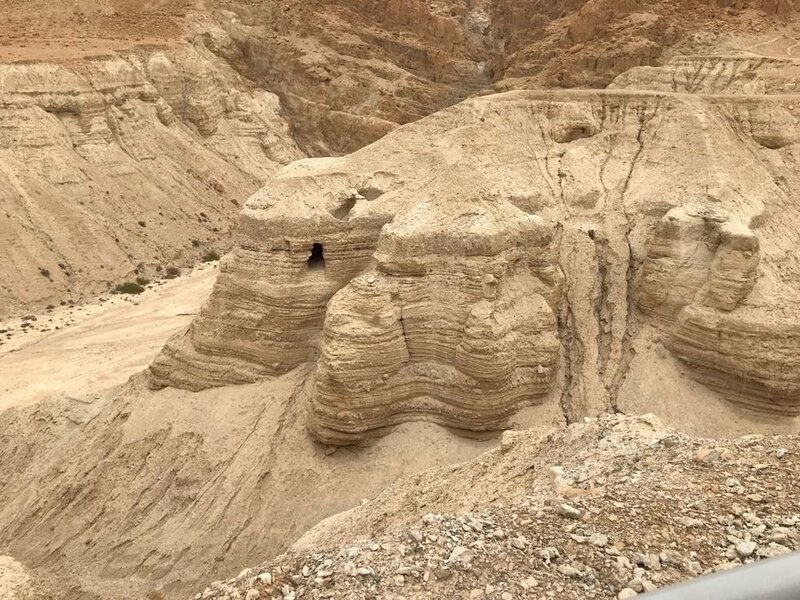 It is a linear route (total length 2.4 miles there and back) on pathways and only gentle slopes to walk up and well within many people's ability. It would be good to have a few more join the group on this ramble. This afternoon a special service was held in St Bride's to celebrate the 150th anniversary of the church's consecration on 9th June 1868. 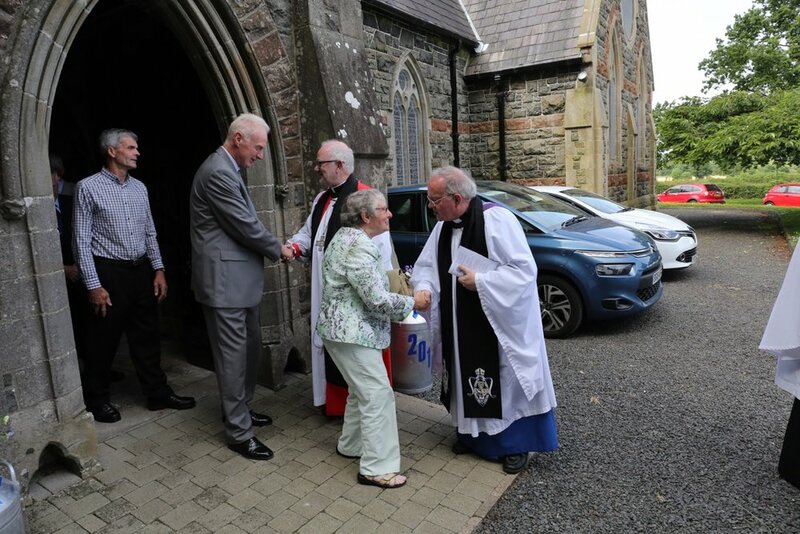 Today was therefore a very special day in the history of the church and it was well filled with parishioners and visitors to join in the celebration and to reflect on the past 150 years both in the life of the church and in society which has changed immensely over those years. The Archbishop of Armagh and Primate of Ireland, the Most Rev. 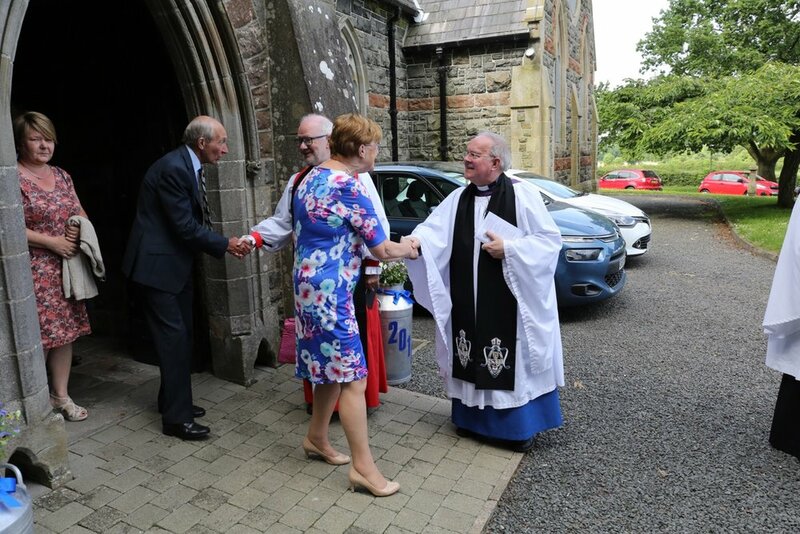 Dr Richard Clarke, was the guest preacher and in his sermon he put the church into its historical context being consecrated only a short time before the disestablishment of the Church of Ireland by the Westminster government. He also mentioned St Brigid (St Bride) after whom our church is named and what a significant influence she had in Ireland and beyond during her lifetime and since. The church choir led the praise supported by a number of guest singers, conducted by Beth Aiken and accompanied on organ and piano by Dr Joe McKee. 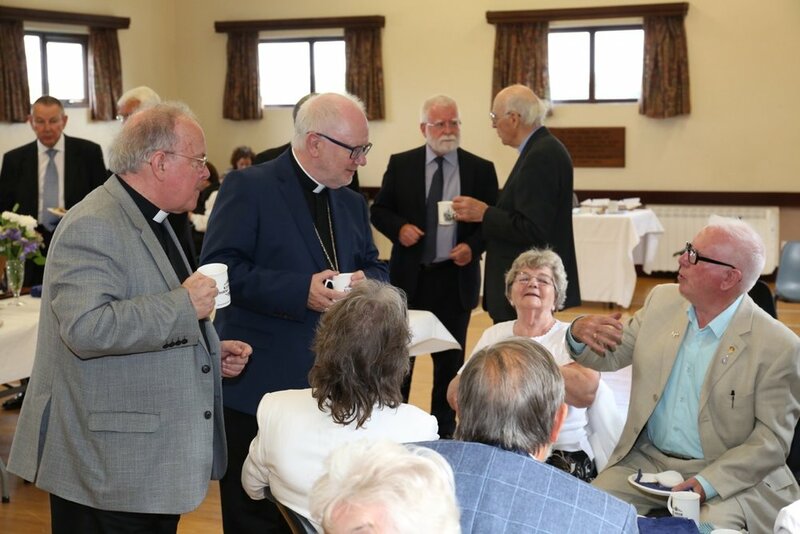 Immediately following the service the Archbishop took time to enjoy some refreshments in the parish hall where he was able to meet many of the congregation before leaving for another engagement in Dublin. Rev. 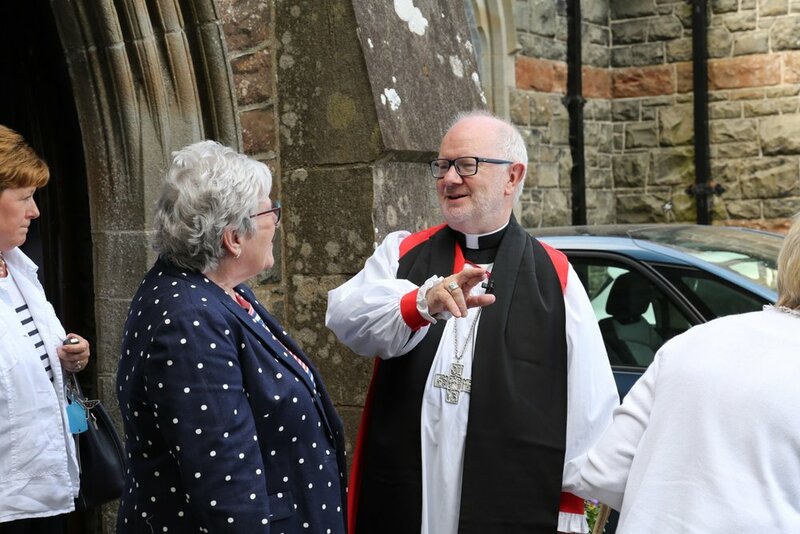 Clyde Irvine, a former rector in St Bride's, was also a special guest and he enjoyed chatting with many familiar parishioners after the service. This morning saw the first of the summer car boot sales at the church. Enthusiastic sellers were on-site early to set their stand out and there were bargains to be had with a wide variety of items on sale. 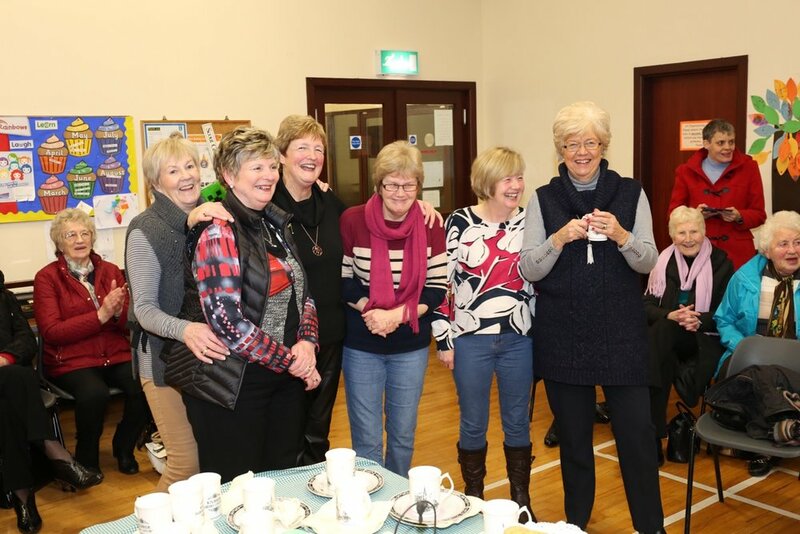 The Ladies' Group looked after everyone with cups of tea and coffee in the parish hall. 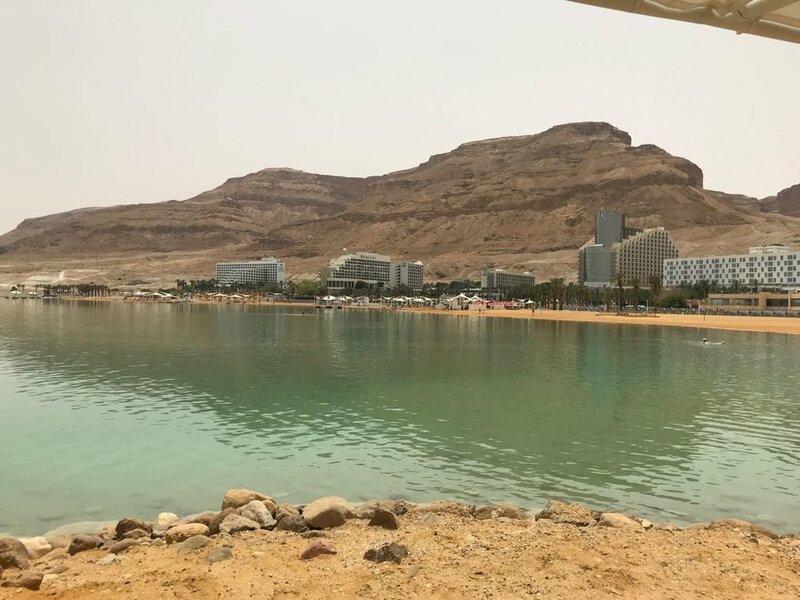 It was an encouraging start to the series of summer car boot sales which will continue until mid-August with a two-week break over the main July holidays. 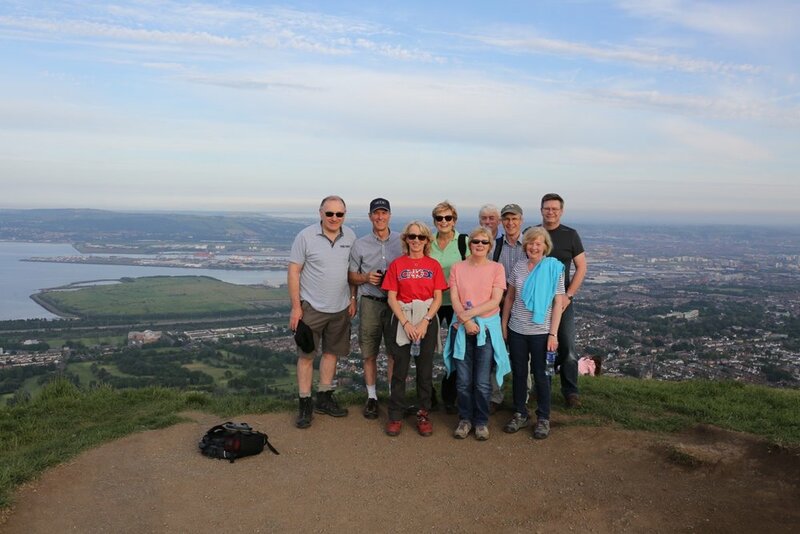 This evening's ramble took nine enthusiastic walkers to the top of Cavehill where the view over Belfast was superb. Despite a little haze Slieve Donard could be seen in the distance as well as Carrickfergus, Scrabo Tower, Strangford Lough and the Copeland Islands. There was an Anglican twist to the visit as everyone tried to identify the various Anglican churches around Belfast. Closest was the Chapel of the Resurrection built by the 3rd Marquis of Donegall in 1869 but now deconsecrated and now sitting in a building site as houses are being built all around it. St Mark's in Dundela could also be seen with the naked eye in the bright evening sun, right across the city. The evening was completed with the obligatory cup of coffee in Glengormley. Using a fitbit the walk clocked up around 9000 steps, a climb equivalent to 40 floors and around 6km distance. 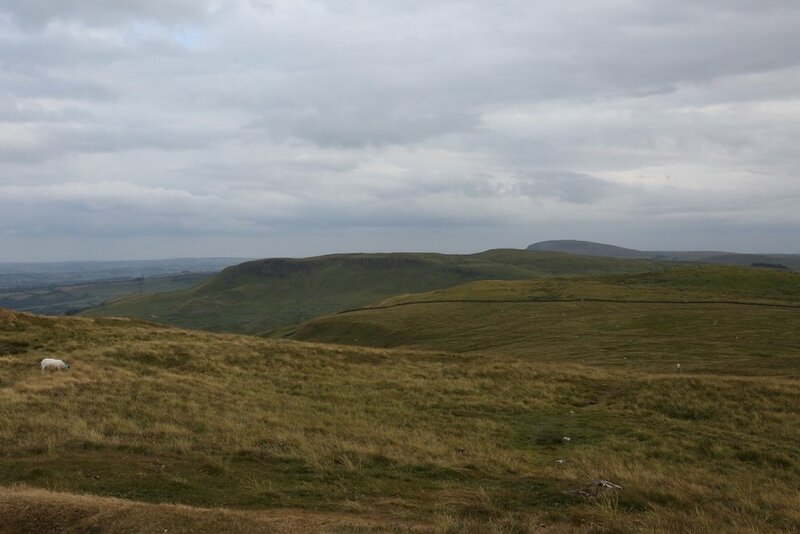 Next week it will be Slemish (subject to weather) so if you would like to get out into the fresh air for some exercise please make a point of coming along. Leaving the Square car park in Ballyclare at 6:30pm. The last day of tours before flying home on Friday morning. 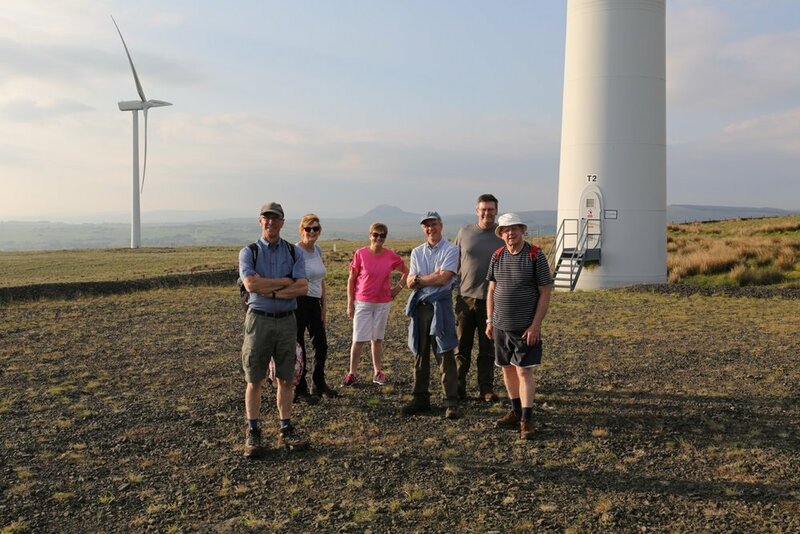 The fine weather made for a very pleasant evening walk into Wolf Bog wind farm only a short distance from Ballyclare. The skyline is dominated by these massive machines, even from the Collin Road, but especially up close when their true size is really apparent. Fantastic views over to Slemish and across the Six Mile Water valley and as far as Cavehill and Divis. A good brisk pace meant everyone was back in Ballyclare for a coffee before closing time. 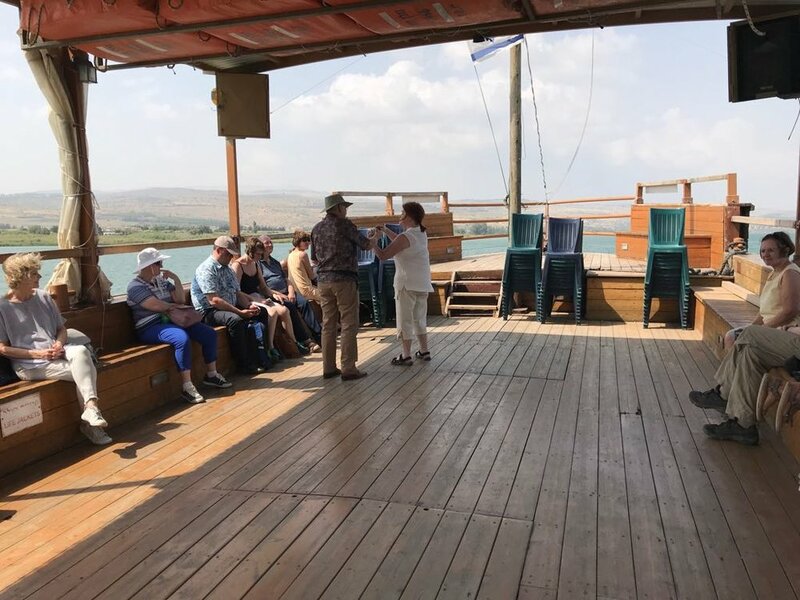 The pilgrims have been based at the Ron Beach Hotel at Tiberius on the Sea of Galilee for the past two days and have enjoyed a boat trip as well as a trip to Capernaum. 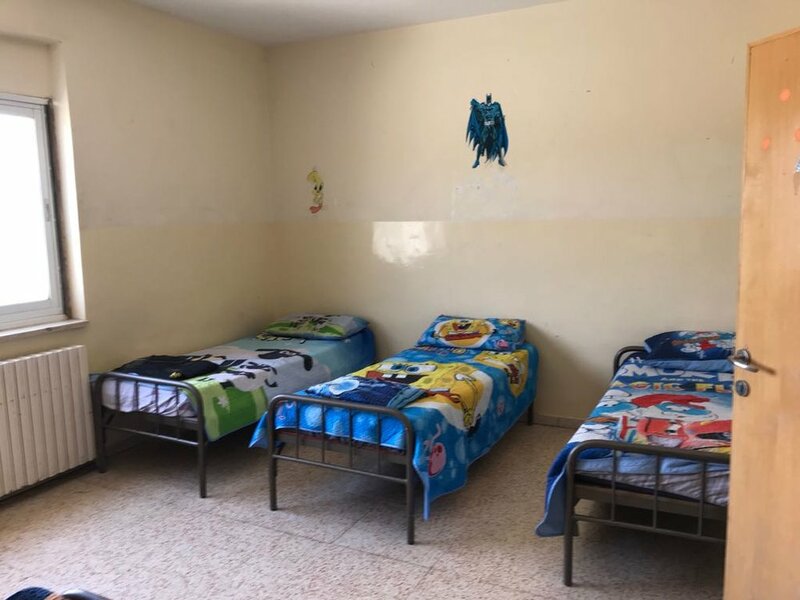 The tour continued today with a trip to Jericho and to the Jeel al Amal orphanage. Today's Service of Morning Prayer was conducted by Rev. Canon Ken Ruddock. The Canon is well known in St Bride's and he always enjoys attending and assisting at services when required. 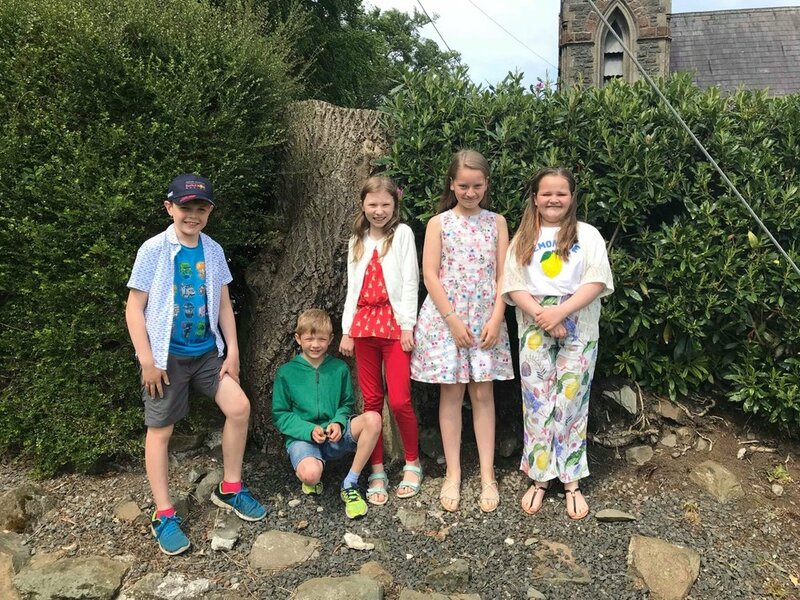 It was another beautiful day as the spell of good weather continued so the Senior Sunday School class took the opportunity to have their lesson and to enjoy the summer sunshine out in the church grounds. 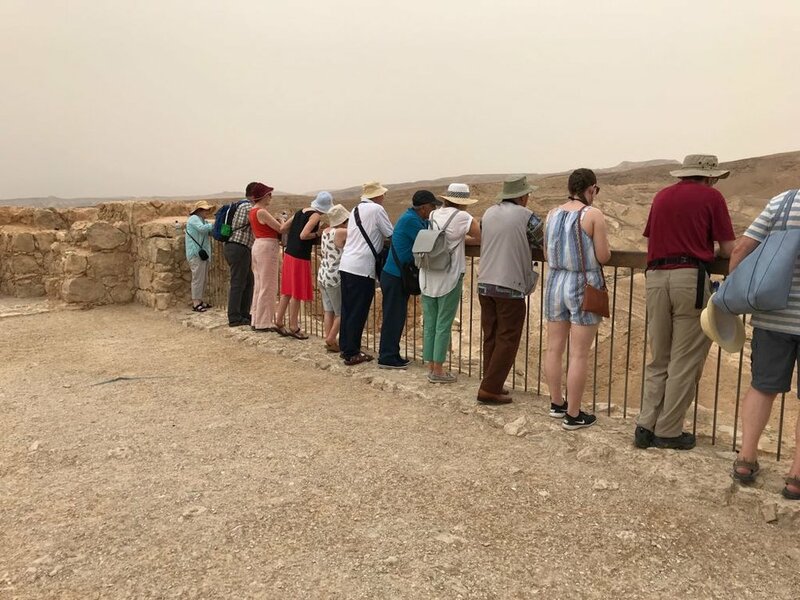 The pilgrimage left the city of Jerusalem today to explore the Dead Sea area. 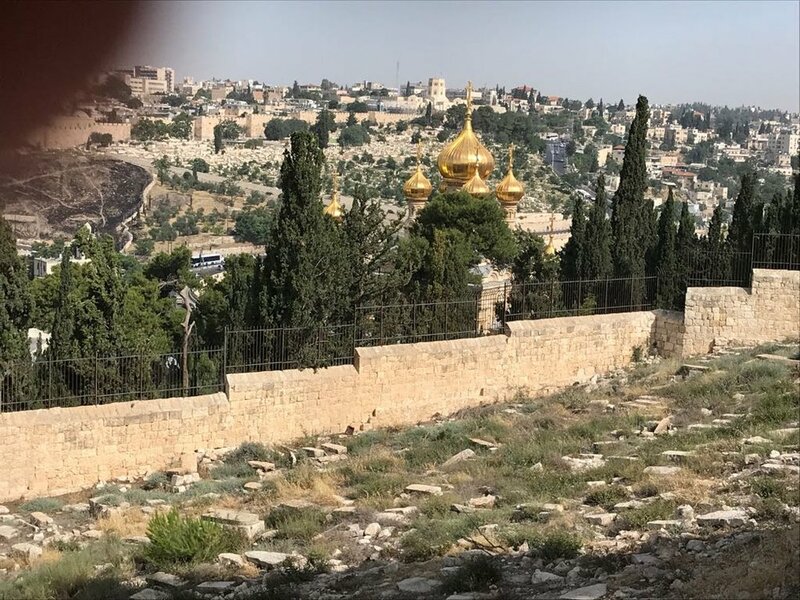 The pilgrims visited significant places of interest on the Mount of Olives. 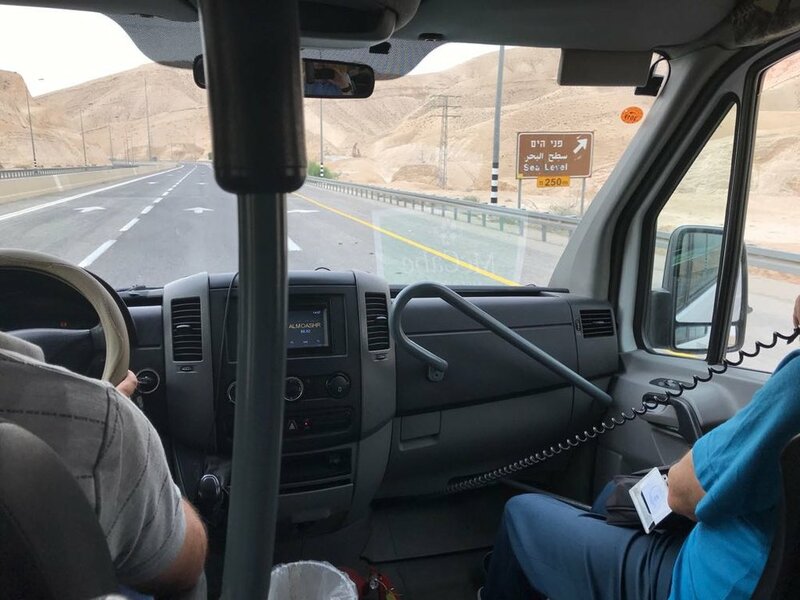 Despite the disrupted travel yesterday, the first full day's excursion took place as planned. 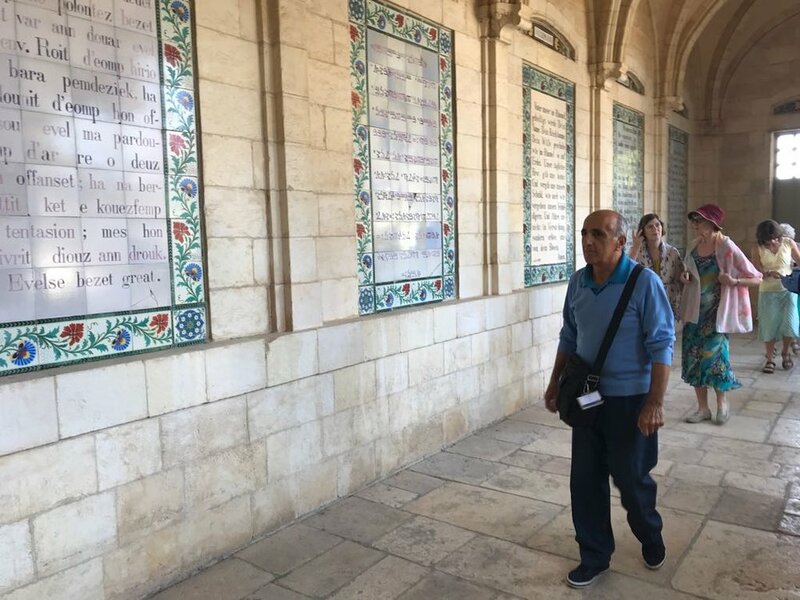 The first trip was to the shepherds' fields near Bethlehem where a local guide called Rafi explained the significance of the site. Rev. 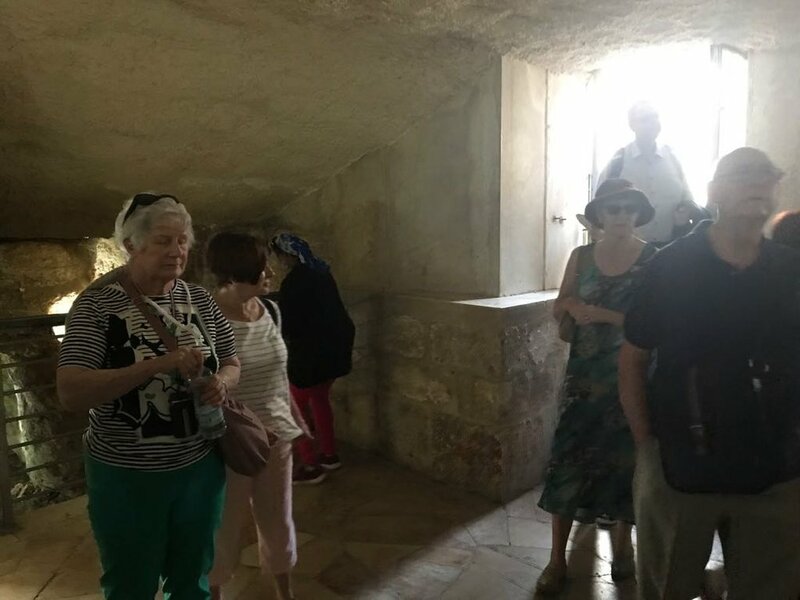 Canon Walter Laverty celebrated the Eucharist in the nearby shepherds' caves. 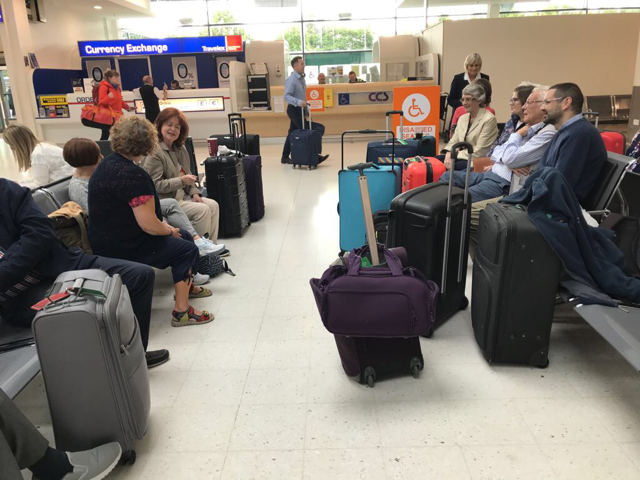 This year's annual pilgrimage to The Holy Land began this morning as pilgrims assembled in Belfast City Airport for the first leg of their journey, via London, to Israel. Unfortunately things didn't go quite according to plan as the flight was cancelled and everyone had to be put on to a later flight to London Heathrow. 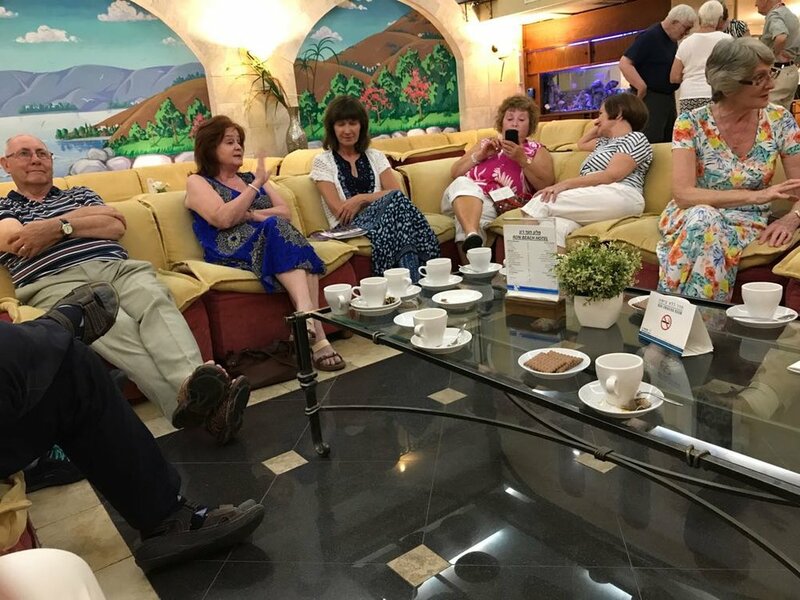 However spirits were high and despite a few more travel bugs that meant getting the later flight to Israel everyone arrived in Tel Aviv just in time for breakfast! Congratulations to Stacey and Scott on their marriage. Best wishes for a long and happy life together from everyone in St Bride's. A service of Choral Evensong was held in St Bride's this afternoon led by Rev. Canon David Humphries. This was the first such service in St Bride's in a number of years and joining the normal church choir were a number of guest singers from other churches. The service included 'Magnificat' and 'Nunc Dimittis' by Basil Harwood in A flat as well as the anthem 'Look at the World', written by John Rutter, with the lessons read by Rev. Canon Walter Laverty. The choir was conducted by St Bride's Director of Music, Beth Aiken, and was accompanied on the church organ by Dr Joe McKee. An uplifting service of music that was greatly appreciated by the congregation. A Service of Thanksgiving for the 150th anniversary of the consecration of St Bride's will be held on Sunday, 10th June, at 3:30pm. The day's early rain cleared by lunchtime and the first organised walk of the season got off to a great start in brilliant evening sunshine. The ramblers assembled in the car park in the Square before making the half hour journey to Brown's Bay in Islandmagee. The walk was around the Skernaghan headland on the northern end of Islandmagee, an area not frequented by many, but it made for a very enjoyable walk. The walk didn't finish in time to go for a coffee but everyone enjoyed an ice cream in the Rinkha before heading home. Look out for details of next week's walk on the Diary Dates page in the next few days. Celebrating their marriage were John Wilson and Lauren Crowe who were married in St Bride's on Saturday. Congratulations from everyone in St Bride's as they begin married life together. The Ladies' Group outing to Harrison's in Greyabbey on Friday evening was a great success. 53 ladies and gents left Kilbride for Harrison's Nursery and Garden Centre where we met up with a few others who had arranged to meet us there. 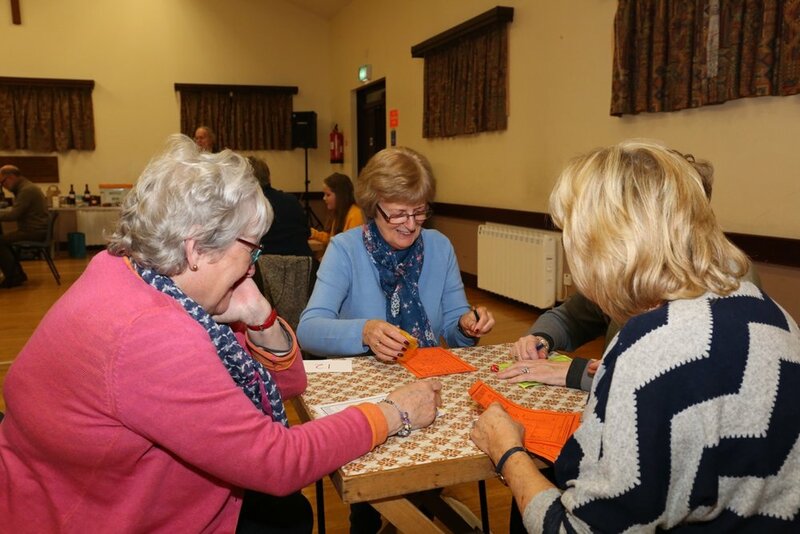 Some purchases were made from the lovely array of gifts and cakes available in the gift shop before we all made our way into the restaurant where the view over Strangford Lough was spectacular in the beautiful evening sun. Dinner was served promptly to everyone followed by delicious desserts and tea and coffee. The food and service was excellent! The guest artist for the evening was the well known Gospel singer Warren Smyth who presented the evening with sing-a-long hymns and inspiring stories about each of the hymns. Half way through the evening there was a power cut in the Ards Peninsula, but David and Helen Harrison were well prepared and their generator came to the rescue. The electricity came on a short while later. It was fortunate that dinner had already been served and this ‘interruption’ did not spoil the evening in any way, in fact it may have added to it! Warren hosted the evening in aid of the The Smiles Foundation, a charity which he is closely involved with and he was delighted to announce that £1,600 had been raised. The evening came to a close around 9.30pm when everyone boarded the bus for the journey back to Kilbride. Both David and Helen Harrison made the group feel very welcome and thanked everyone for coming to share in the Gospel Evening. It was a very inspiring evening with excellent food, company, singing and craic and it was great to have some gentlemen join the ladies on their annual outing! The General Data Protection Regulation (GDPR) will take effect in the UK from 25 May 2018 and will replace the existing law on data protection (the Data Protection Act 1998). It gives individuals more rights and protection on how their personal data is used by organisations, including churches. All parishes must comply with its requirements, just like any other charity or organisation and St Bride's has produced a Privacy Notice which is now available to read on the 'Useful Information & Links' page of this website. 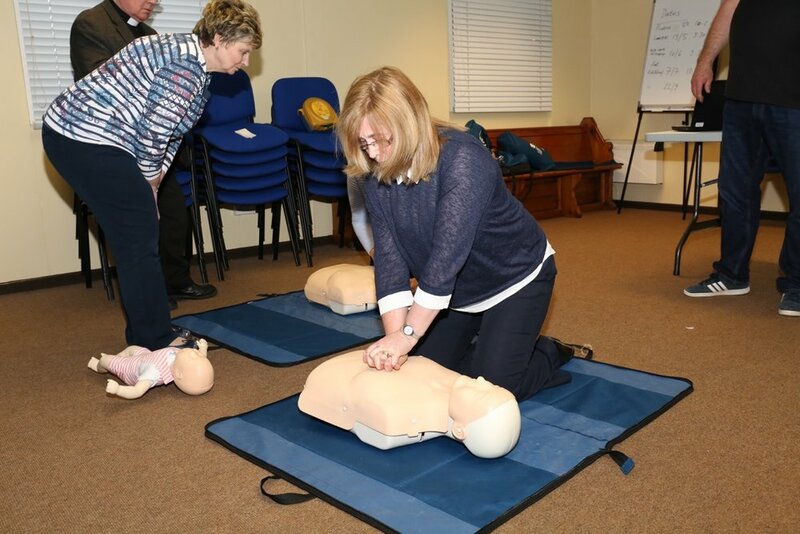 This evening nine people from the church were given some very valuable training in the use of a defibrillator as well as some refresher training in CPR. 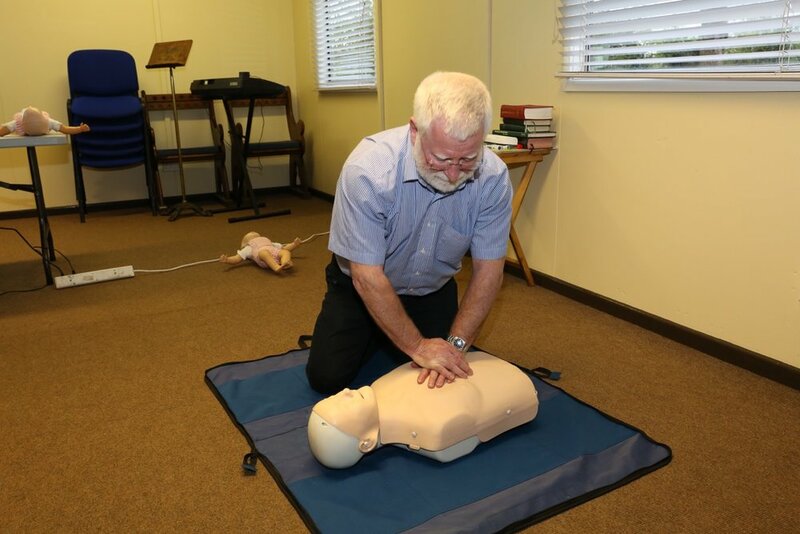 The Select Vestry, choir, Sunday School and youth organisations were represented and our Rector also took the opportunity to learn how to use this very important and potentially life-saving device. There is one defibrillator available at the moment and it is stored in the church. 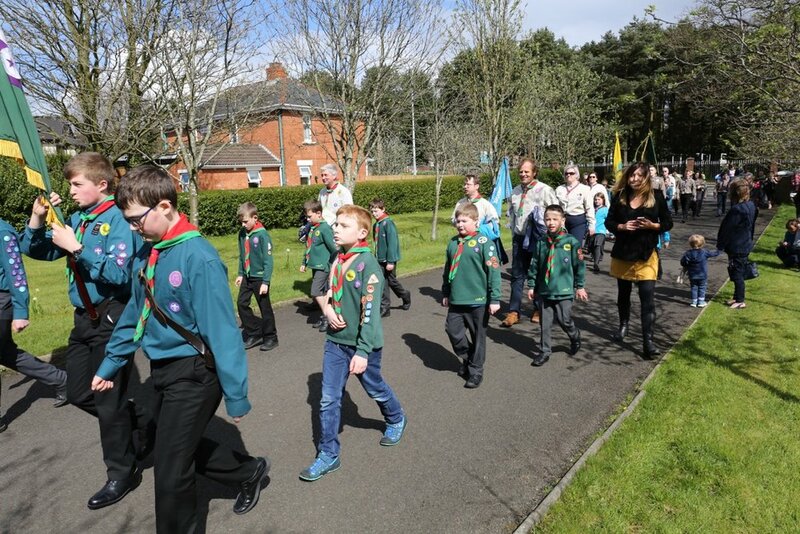 This afternoon the scouts from 1st Kilbride joined with the various troops from around SE Antrim on the annual parade which this year was hosted by 1st Cloughfern. They paraded from the grounds of Abbot's Cross Primary School the short distance up the road to the Church of the Ascension where the District Chaplin, Rev. Mark Taylor, conducted the annual service. The weather was very kind as, with the exception of a few spots of rain just at the start, it was warm and sunny throughout. 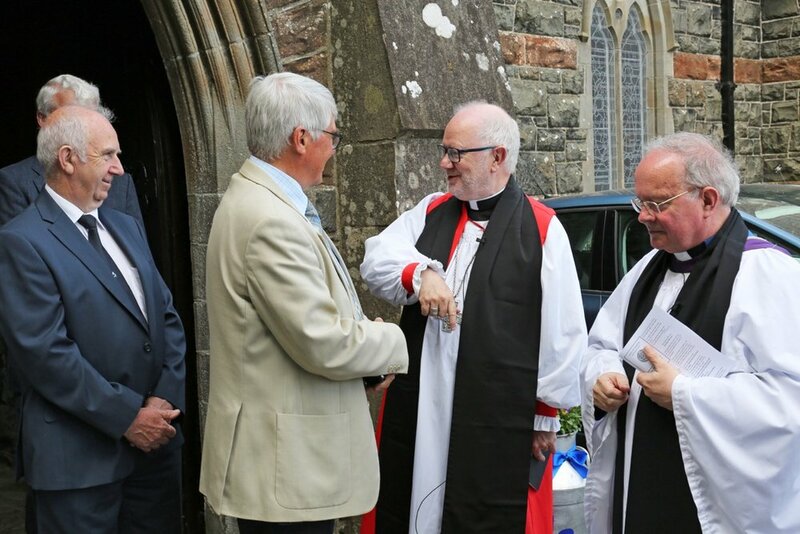 St Bride's was delighted to welcome back its former rector, Rev. Paul Redfern, as guest preacher for this morning's service. 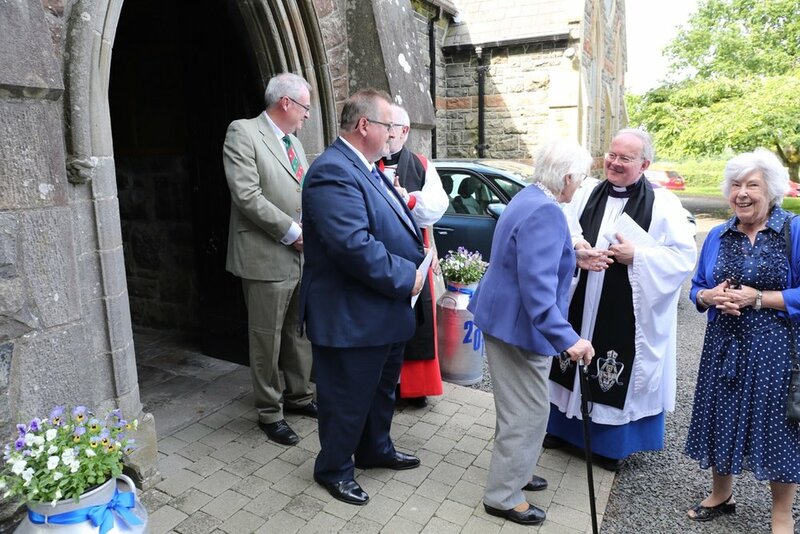 Paul was accompanied by his wife Betty and both received a very warm welcome from Rev. Canon David Humphries and the members of St Bride's. Paul has officially retired but does help out occasionally at other churches when the need arises. 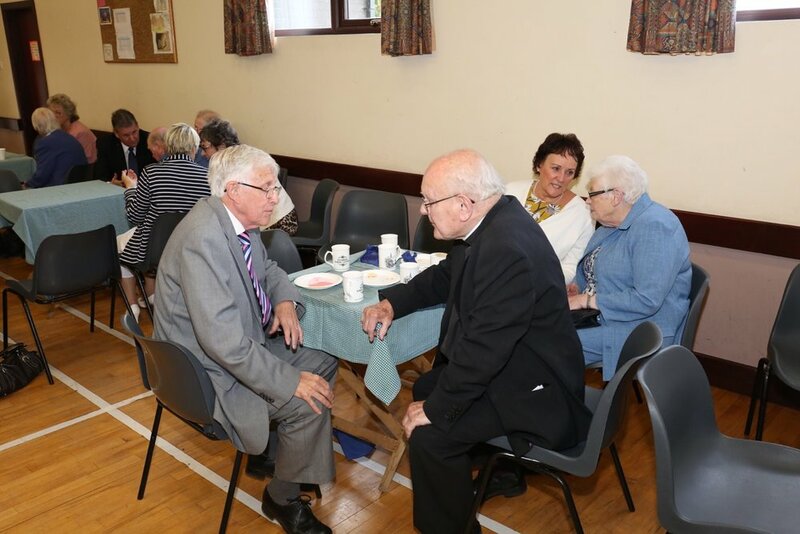 Parishioners had the chance to catch up with how Paul and Betty have settled into retirement immediately after the service. This afternoon saw the continuation of the Kilbride recital series presented by scholars of the Down & Dromore and Connor Organ Scholarship Scheme and Friends of Music at Kilbride. Rev. 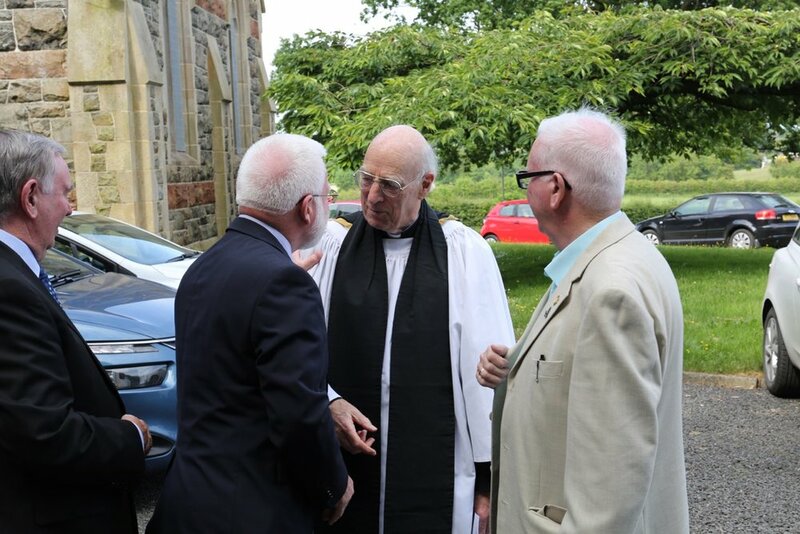 Canon David Humphries welcomed everyone to the church and explained the purpose of the scholarship scheme. Canon Humphries is the outgoing chairperson of the scholarship scheme having been at the helm for a number of years. Beth Aiken, Organist and Director of Music in St Bride's, is coming to the end of her three year scholarship and was delighted to be able to offer public thanks to one of her tutors on the scheme, Dr Joe McKee, who was assisting at the recital. 'Clare Benediction' by John Rutter. Following the recital the audience enjoyed some light refreshments in the church hall provided by the Ladies' Group. The latest edition of The Herald has now been published and a copy can be seen on this website - follow this link to the 'The Herald'. Deadline for the next edition is Sunday, 10th June. L to R: The Rector, Deputy Mayor of Antrim & Newtownabbey Council Councillor Vera McWilliam, Alex Hill and Bob Adams. These were pictured this evening at the end of the two-week long Exhibition on the History of Doagh, compiled by Alex and Bob. Many people came to view the exhibition and to ask questions of Alex and Bob. 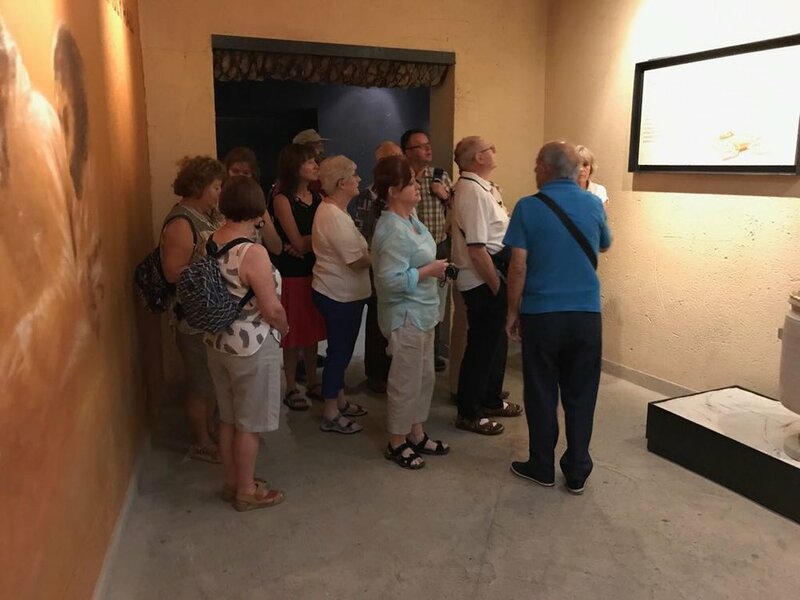 Much talking took place, as the exhibition rekindled memories for many of our older folk, and others were pleasantly surprized that our little village had so much history. 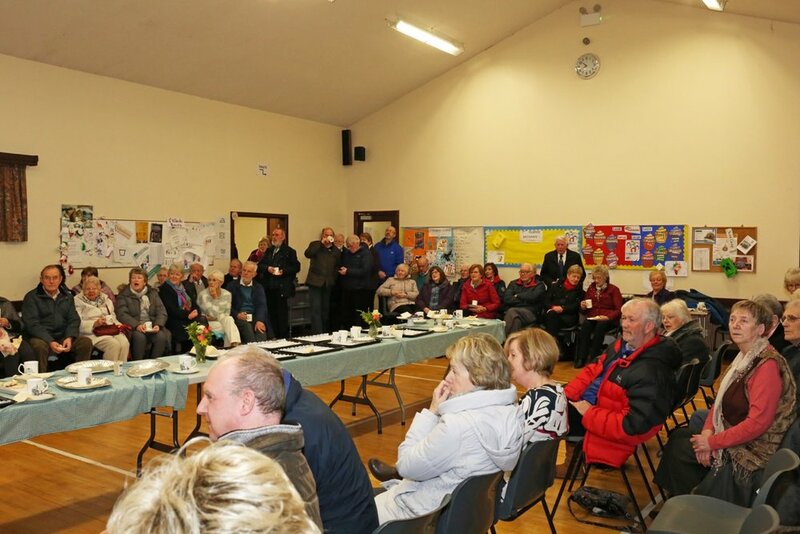 The exhibition on the village of Doagh got under way on Easter Monday and has been well attended. 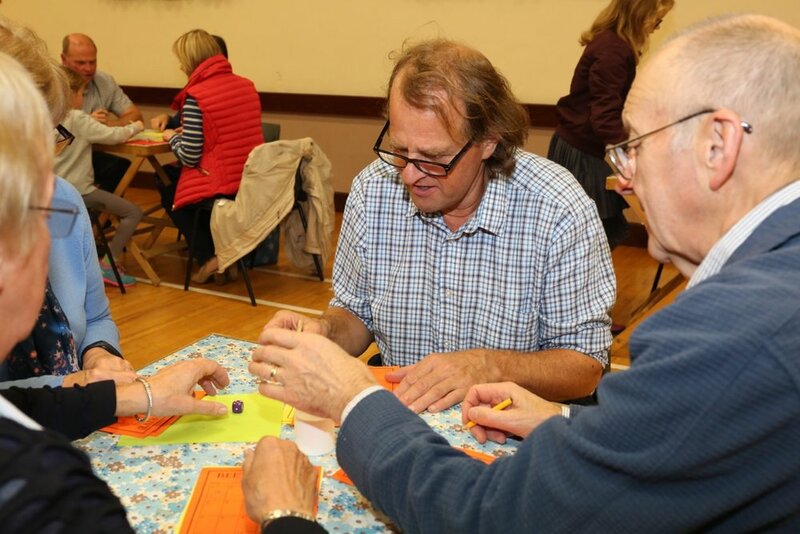 It has been organised by Alex Hill and a number of friends and Alex has been on hand every evening to share some interesting facts about life in the village over the years. It ends on Friday, 13th April, so if you haven't had look as yet now is the time to go along and enjoy a cup of tea as you look around. 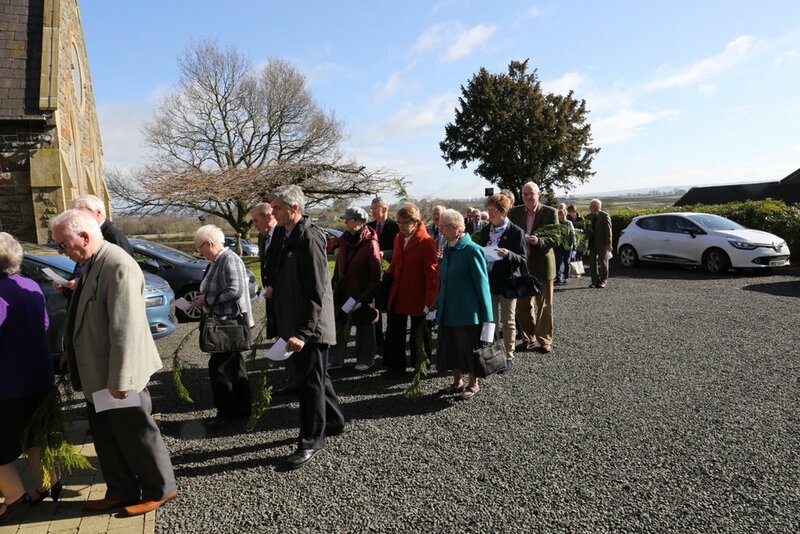 This morning we celebrated Palm Sunday with our traditional procession from the church hall into church just prior to the start of the Service of Morning Prayer. 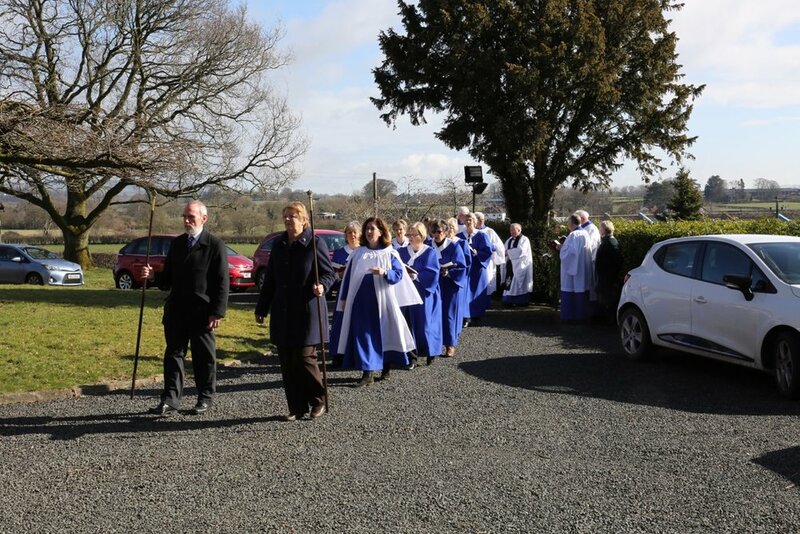 The early morning mist very quickly burnt off in time for the start at 10:50am and we were greeted by brilliant sunshine and a beautiful blue sky as everyone processed up the path to the church. 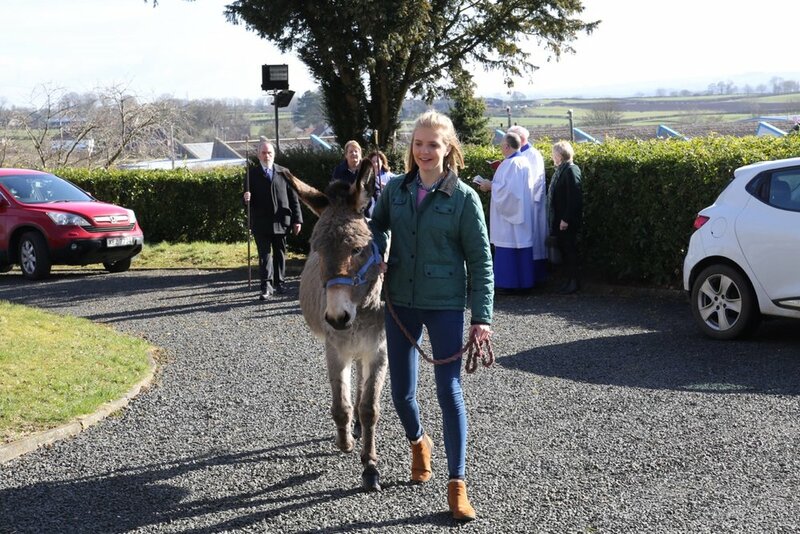 This year the procession was again headed by Annie the donkey, led by Kerry who made sure she stayed calm with constant words of encouragement and reassurance. 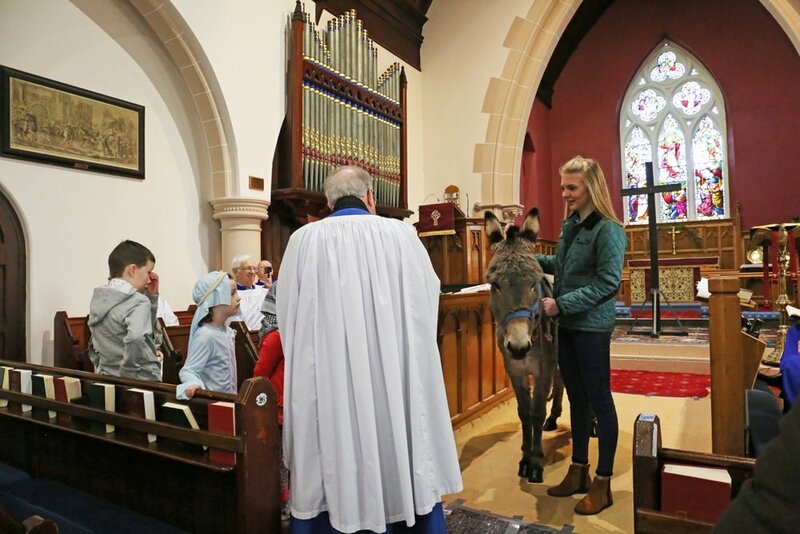 Inside Annie was very well behaved and stood quietly while our Rector explained the significance of a donkey in the Easter story to the children who had dressed-up in Biblical costumes for the occasion. Annie is 8 years old. 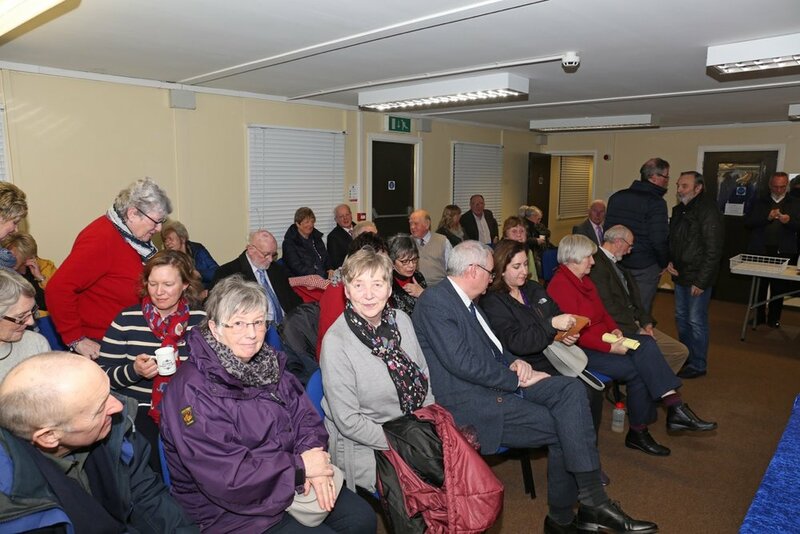 This evening there was a very good attendance at the annual Easter General Vestry meeting. 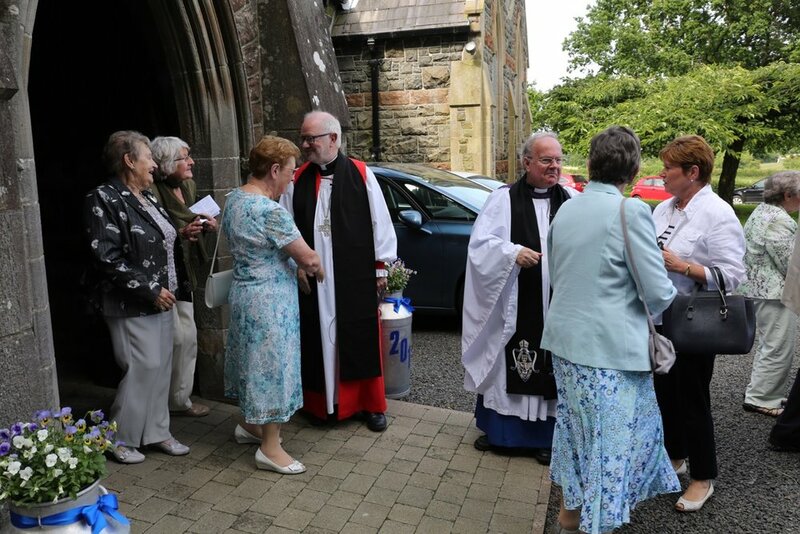 The evening began with a service of Holy Communion in the church following which everyone made their way across to the Parish Room to conduct the business of the evening. Our Rector opened the meeting with prayer and presented his report for the year just past. The Honorary Treasurer presented the financial report for the year following which all positions were declared vacant. Church and glebe wardens were appointed and twelve people were elected on to the new Select Vestry. 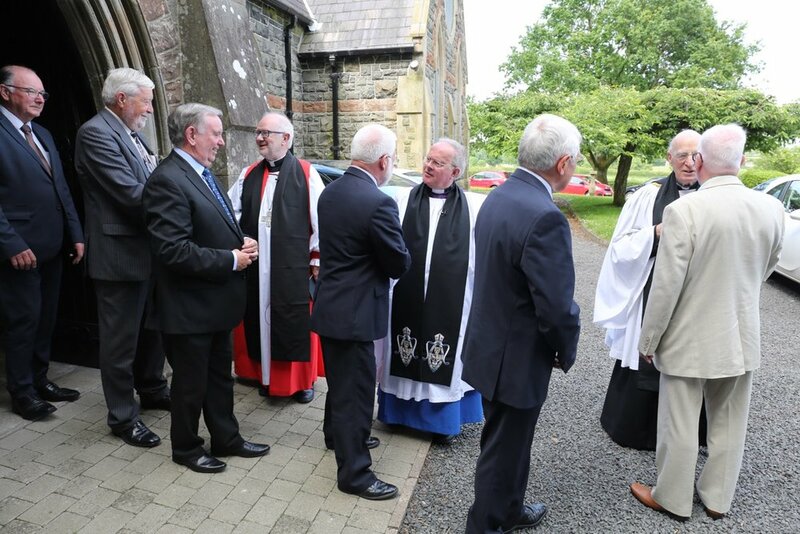 Everyone then enjoyed some refreshments before the Rector ended the meeting with a closing prayer. 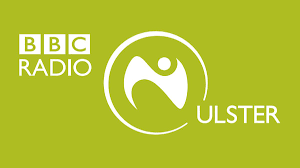 For the list of newly appointed parochial officers please see the 'Our People' - 'Parochial Officers' page of this website. Even though St Patrick's Day was yesterday we had a special service today that included many references to our patron saint, detailing his early life as a slave in Ireland and his eventual role in bringing Christianity to Ireland. Following the service many enjoyed a delicious lunch of stew and apple pie provided and served by the Church Ladies' Group. Clarence Gibson conducted a 'Dutch' auction with a beautiful hamper as the prize. 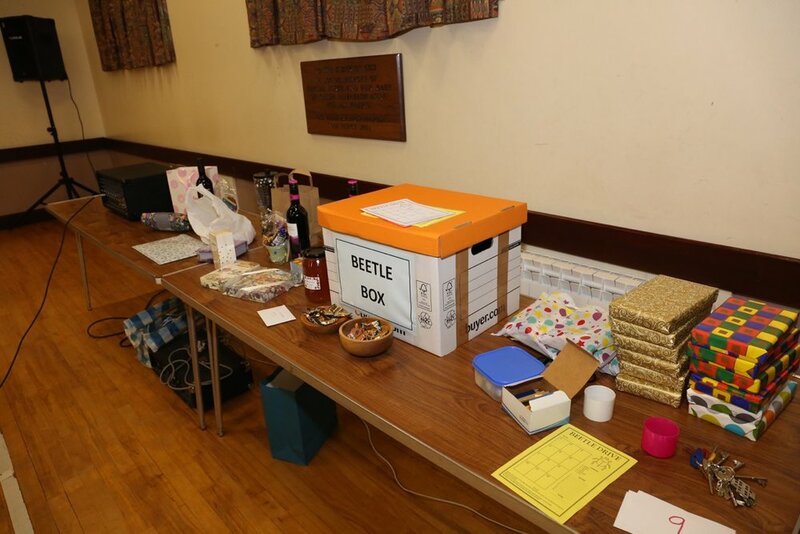 A beetle drive was held in the church hall this evening and was thoroughly enjoyed by young and old alike. Our rector kept everything running smoothly and the top six children, ladies and men all won a prize. 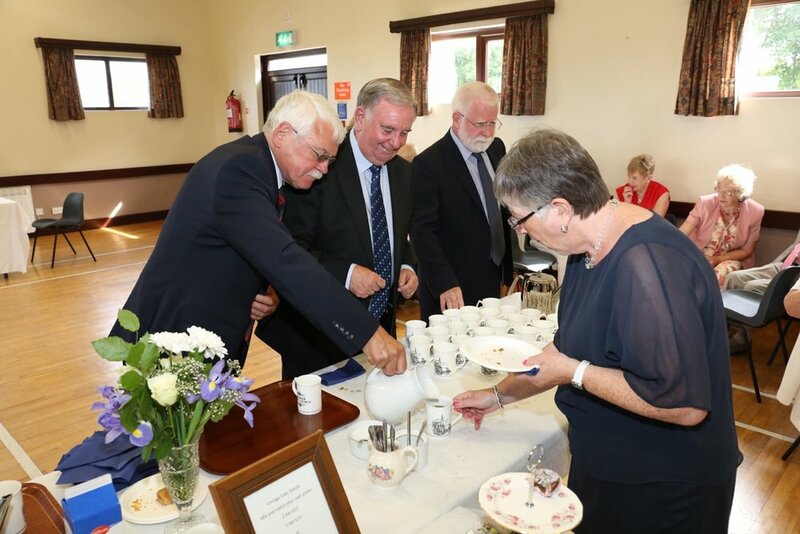 The Ladies' Group was on hand as always to serve tea and coffee during the interval. The Rural Deanery series of mid-week services for Lent continued this evening. 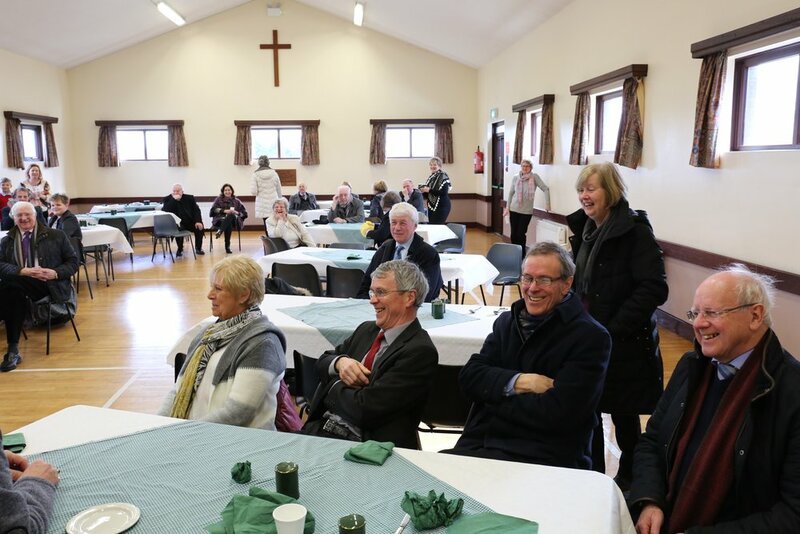 It was hosted by St John's in Ballyclare and despite the bitterly cold temperatures outside there was a very warm welcome given inside by Rev. Jonny Campbell-Smyth. 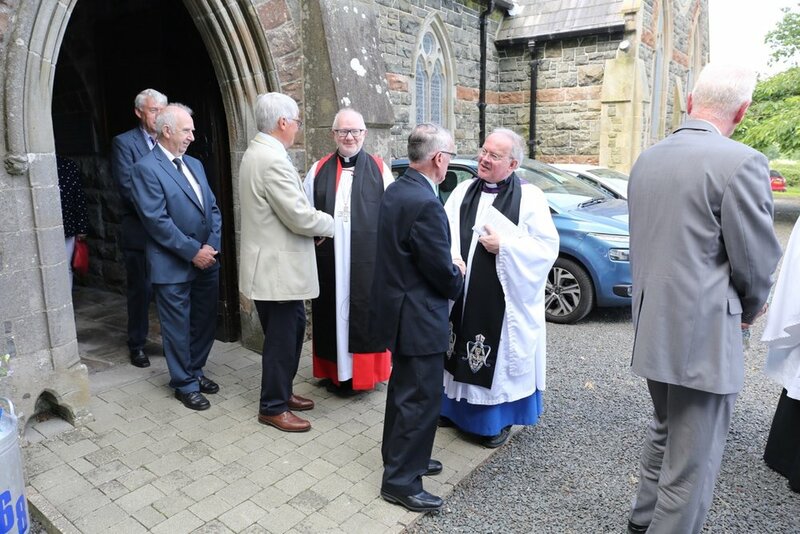 The church was well filled and Kilbride parish was well represented in the congregation. The theme of the service was a cruise around the Mediterranean looking at the letter of St Paul to the Ephesians. A warm cup of tea was enjoyed by all at the end. St Bride's hosted the second service in the Rural Deanery series this evening and welcomed parishioners from across the district. Brian Clements from St Columba's in Knock was the guest organist for the service. 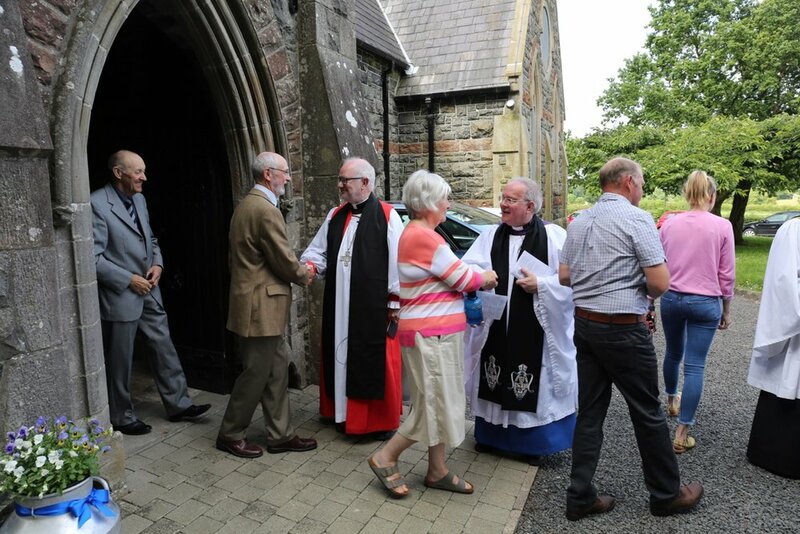 There were at least six incumbent or retired clergy present from the churches in the Rural Deanery. 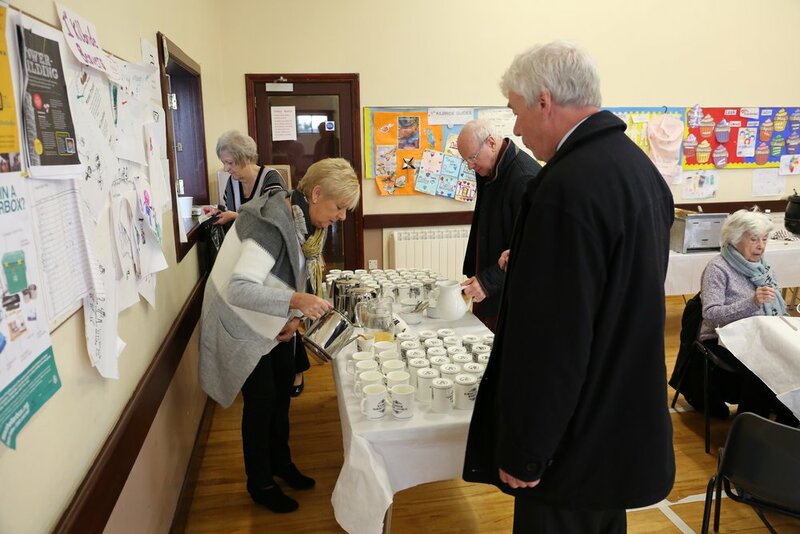 Refreshments were served in the Parish Room at the end when everyone had an opportunity to mingle and renew friendships over a cup of tea or coffee. During this morning's service of Morning Prayer a special honour was conferred on William Harper as he was given the honorary title of Reader Emeritus. 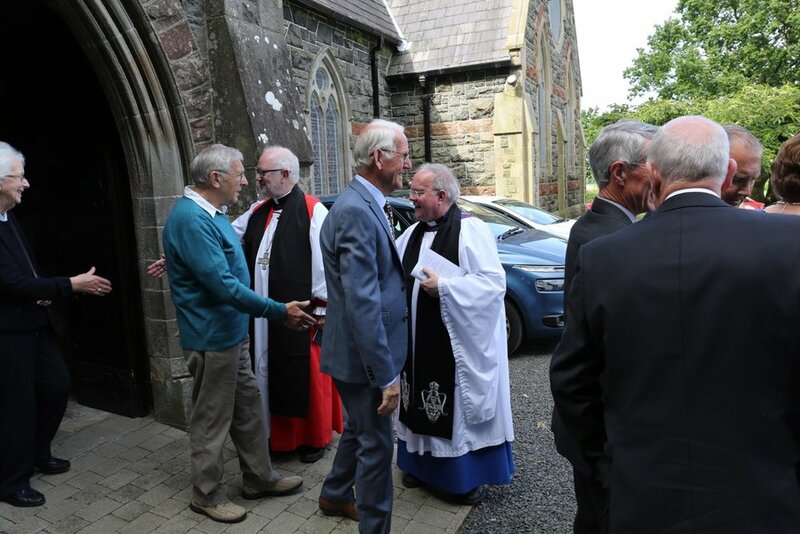 William has been an active member of the Church of Ireland for many years and has given exemplary service to the Church in a number of different roles. One particularly notable position he held until 2016 was that of Diocesan or Lay Reader. He was first commissioned as a Lay Reader on 3rd March 1971 in St John's Church, Whitehouse, by the then Bishop of Connor, Rt Rev. Arthur Butler. 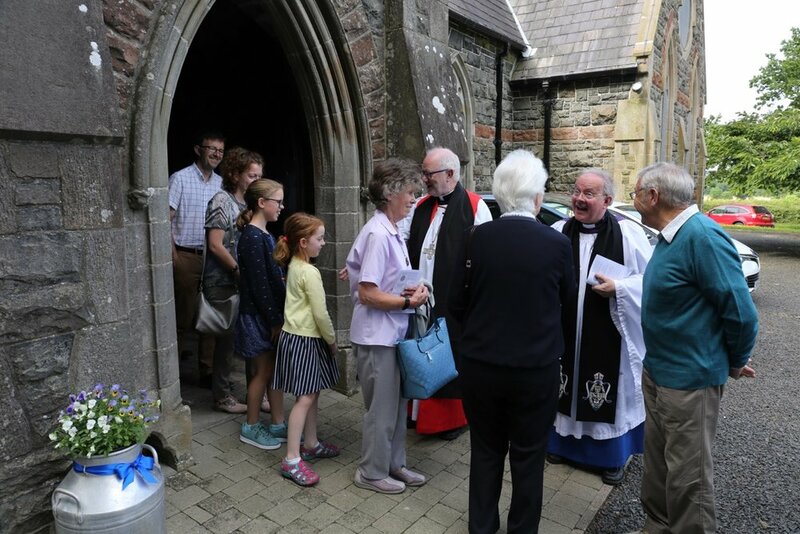 William has been a parishioner in St Bride's for many years and as he stepped down from a number of duties in the Church in recent times, it was felt that his excellent service should be acknowledged, and in particular his former position as Lay Reader. It was agreed that the title of Reader Emeritus would be particularly appropriate and this recommendation was proposed and duly implemented. Although William will no longer wear the blue scarf of office he will be able to use his new title for the rest of his life. William continues his service to the church as a member of the choir and as a regular reader of the Gospel. This morning there were two baby girls baptized in separate ceremonies. 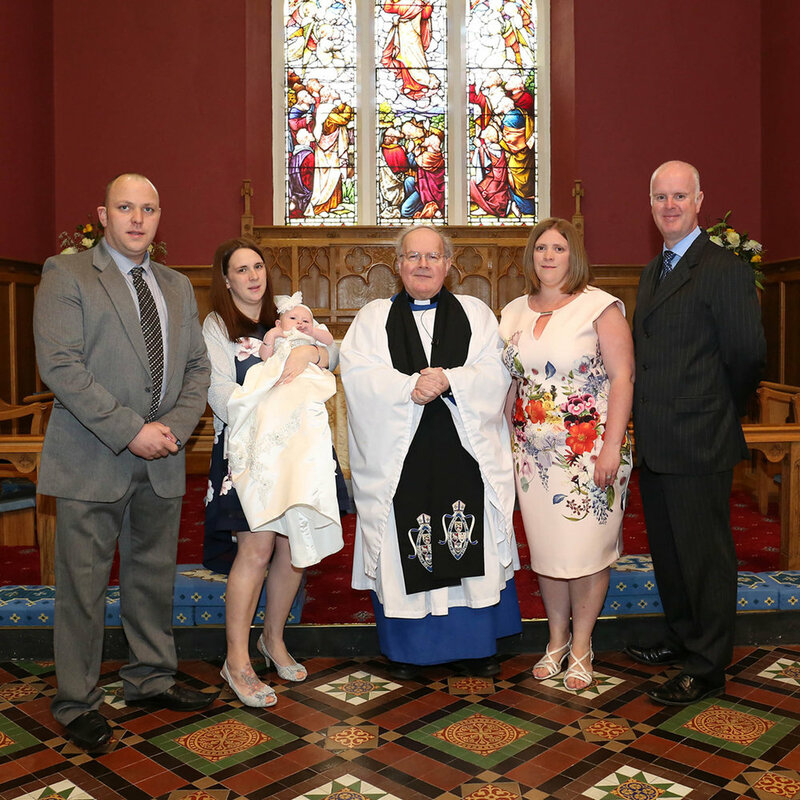 The first little girl was baptized Khaleesi Sheree and she is seen below with her mum and dad, Ciara and Mervyn, Rev. Canon David Humphries and her godparents. The second baby girl was baptized Sienna Amelia and she is seen here with her parents, Stephen and Charissa, Rev. Canon David Humphries and her godparents. Sienna is a baby sister for Lillie and Olivia. 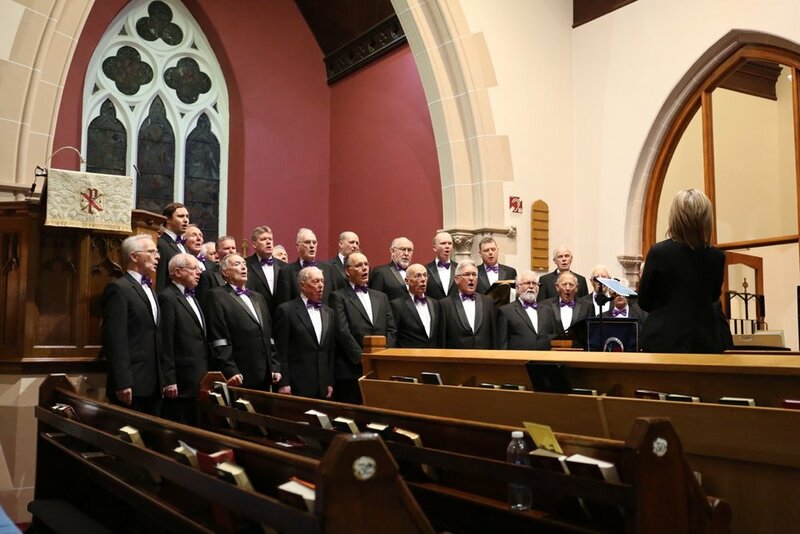 The church was well filled this evening for the visit of Ballyclare Male Choir and everyone was thoroughly entertained by a wonderful mixture of sacred and secular pieces, including a number of well known songs from the shows. Choir conductor was Paul Briggs with Sheelagh Greer as accompanist. Gerry McCarry and Hubert Greer were the soloists. 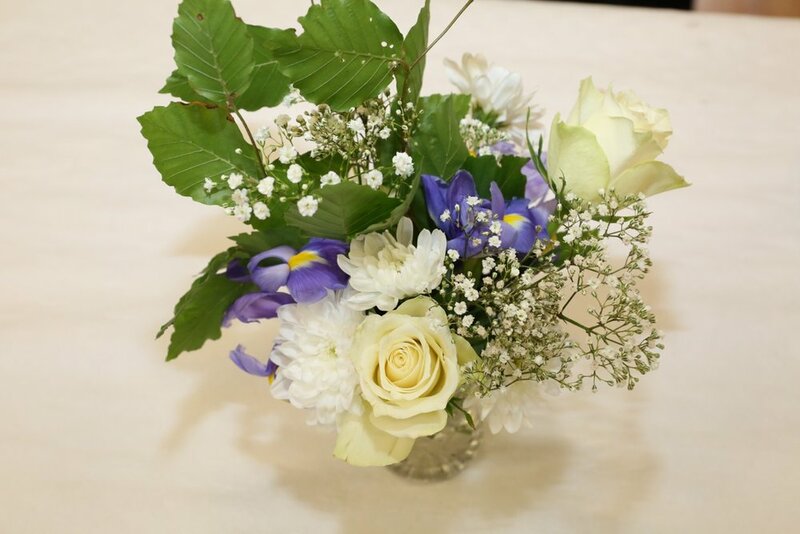 The recital was organised by Neil Paget and particular sincere thanks must go to him for arranging this very successful event and to all the ladies who prepared the delicious supper enjoyed in the church hall afterwards. The choir 'sang for their supper' at the end of the evening when members of the church choir (including the ladies!) were invited to join in. 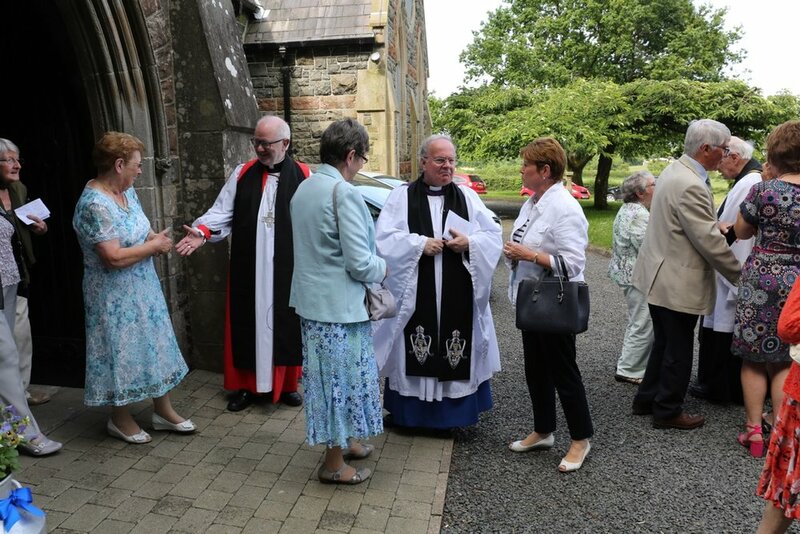 A group of ten parishioners from St Bride's received a very warm welcome at this evening's choral evensong in St Columba's church, Knock. The rector of St Columba's, Rev. Canon John Auchmuty, was very pleased that so many from St Bride's had made the journey into Belfast for the evening service which featured Basil Harwood's Magnificat and Nunc Dimittis in A flat. Two members of St Bride's choir joined the ranks of the choir for the evening and the congregation enjoyed listening to the wonderful singing throughout the service. The choir was conducted by Choral Director, Dr Joe McKee, himself a frequent visitor to St Bride's. This morning's Morning prayer service included another baptism of another baby boy. The little boy was baptized Luca Alexander and is pictured below with his mum and dad, Faye and Gary, his older sister Lola and Rev. Canon David Humphries.